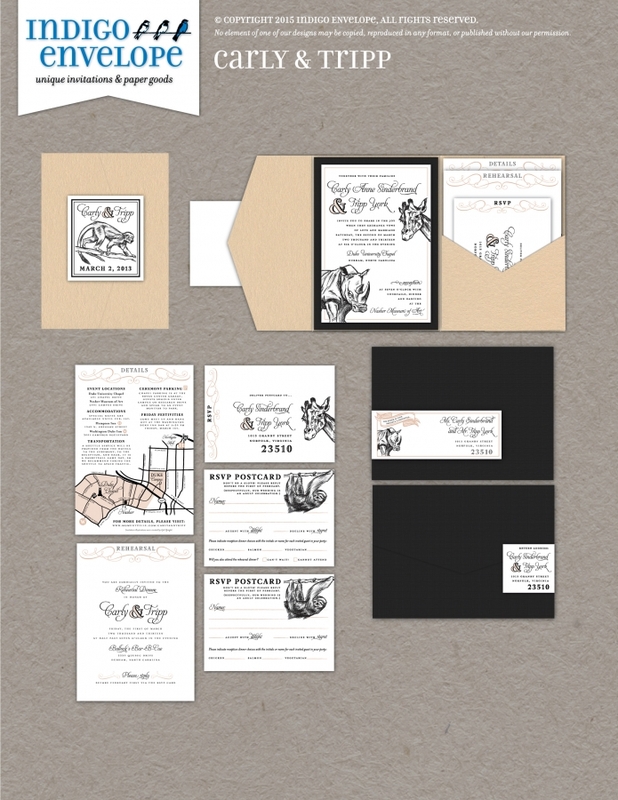 All of our made-to-measure designs are a great starting point for your special event, and a quick customization saves you $200 off our start-from-scratch design fee. 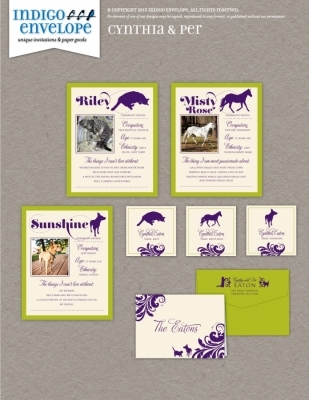 We will transform any of these designs into something special just for you. 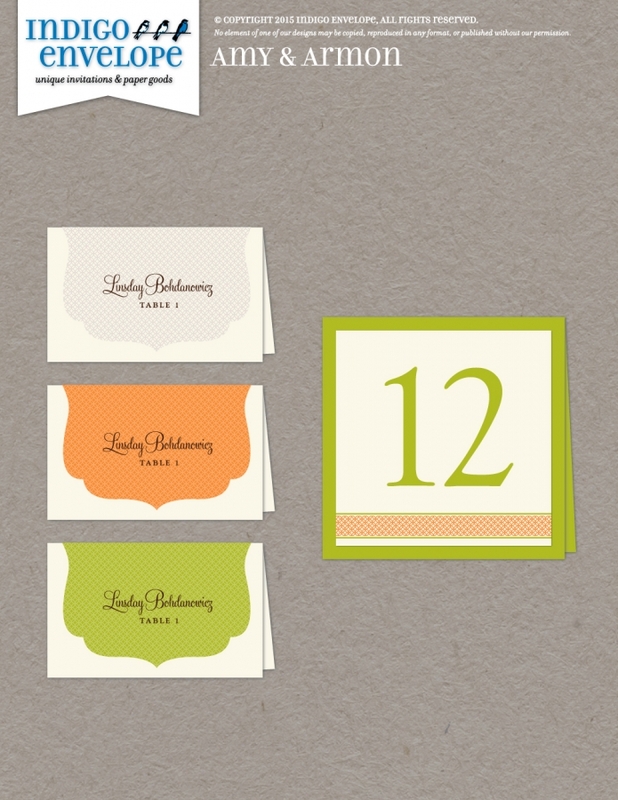 You can pick a layout, then choose from more than 300 colors of paper, and you can even change one font. 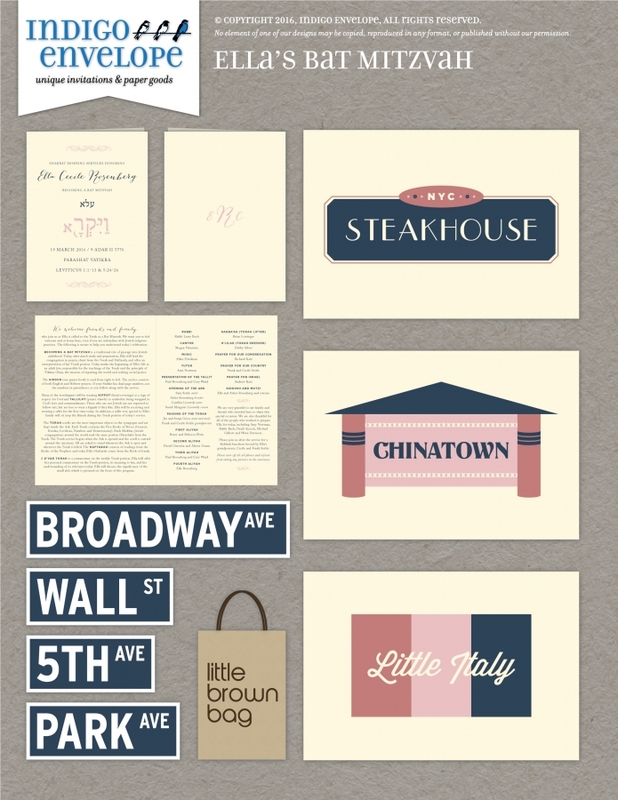 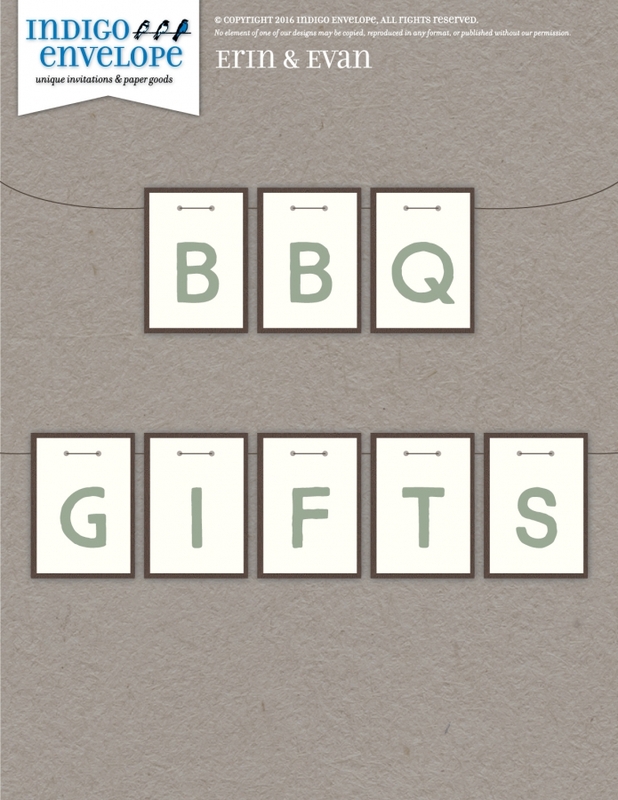 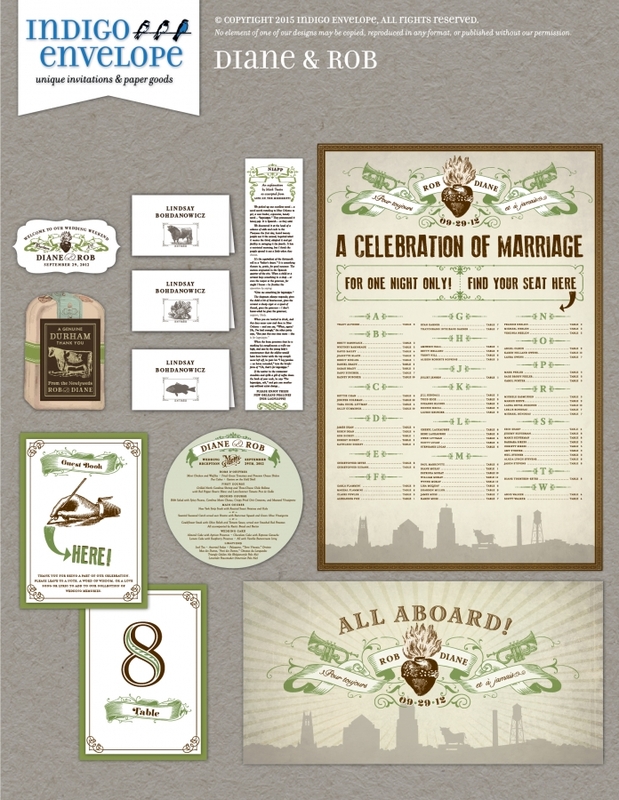 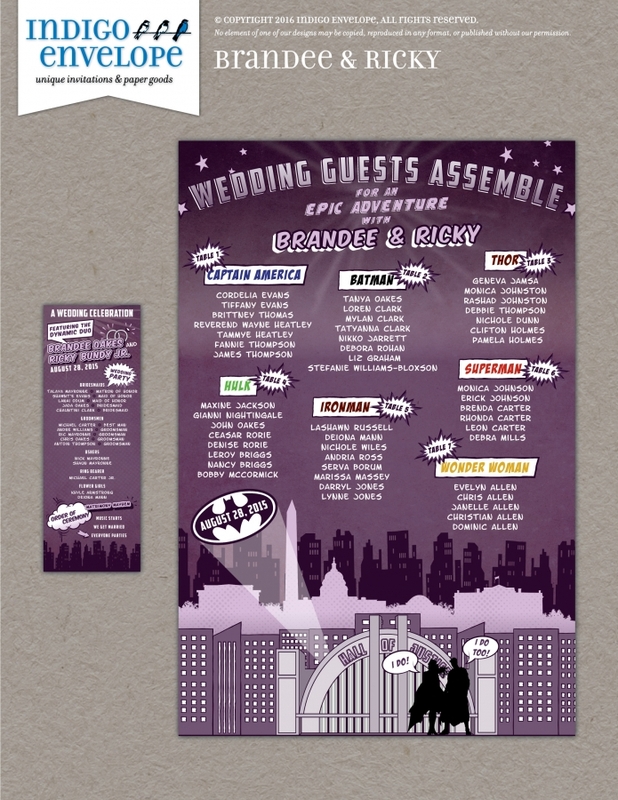 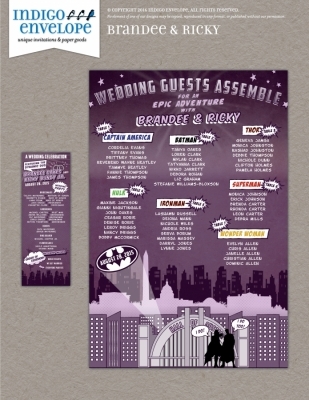 We will send you design ideas, after selecting some possibilities from our collection of more than 3,000 fonts. 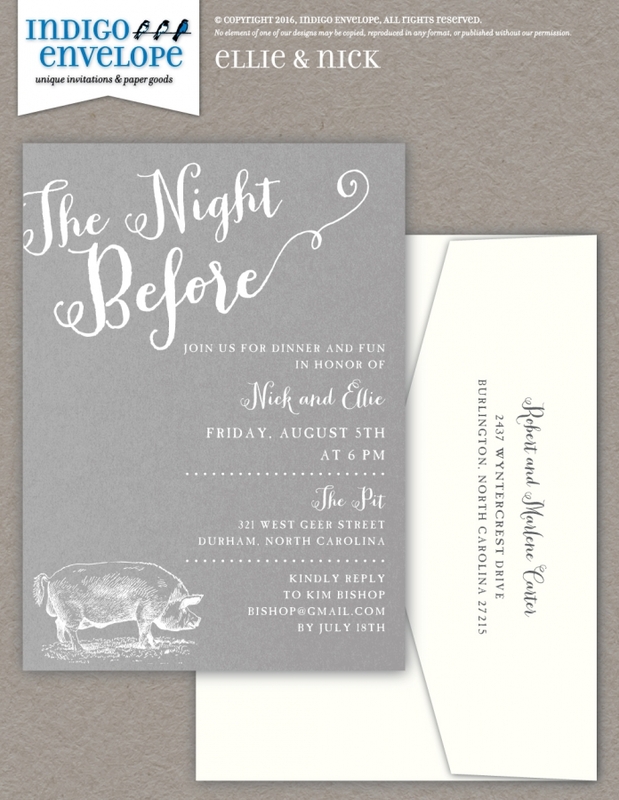 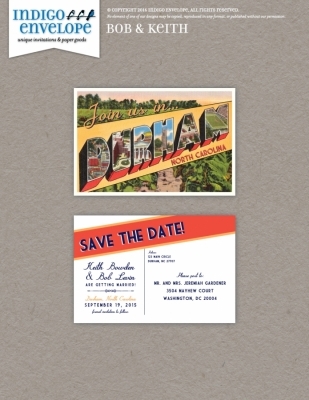 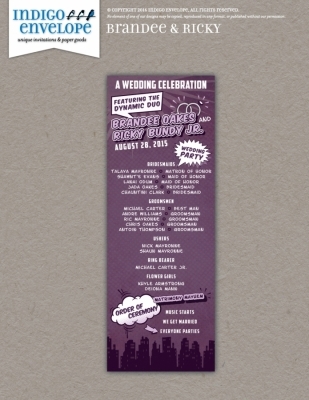 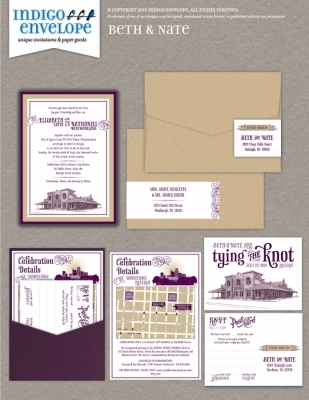 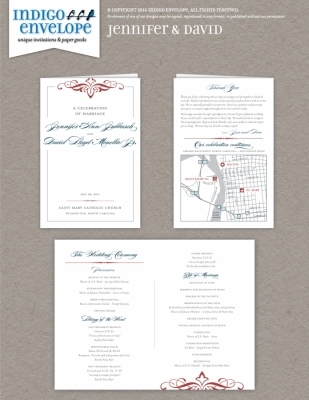 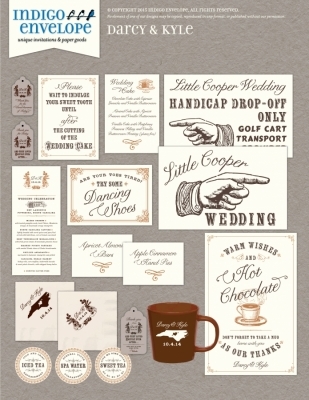 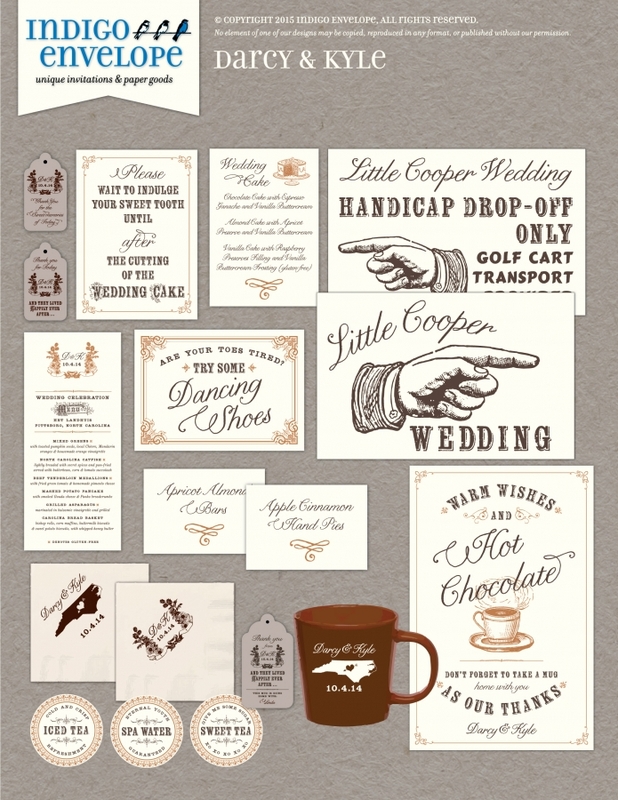 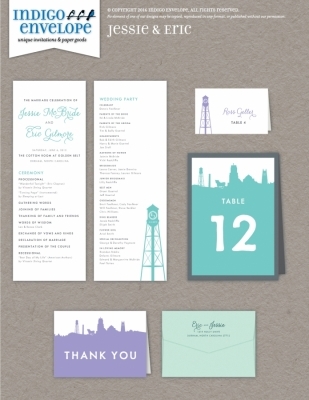 You have printing options: digital, letterpress, foil-stamping, or thermography. 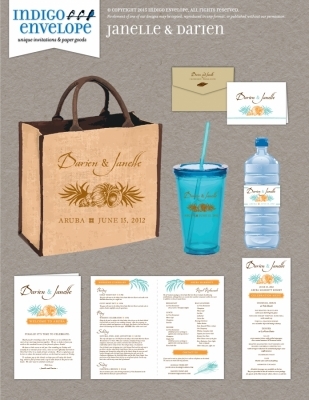 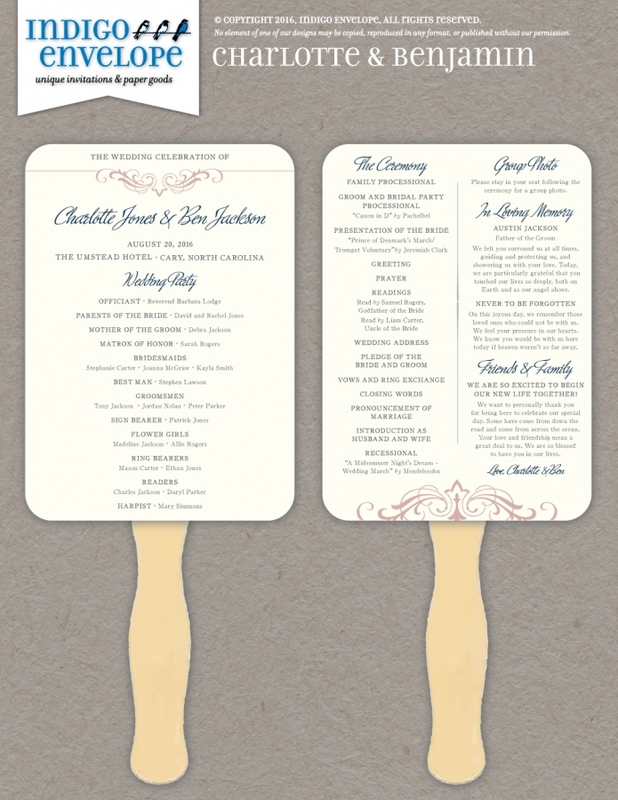 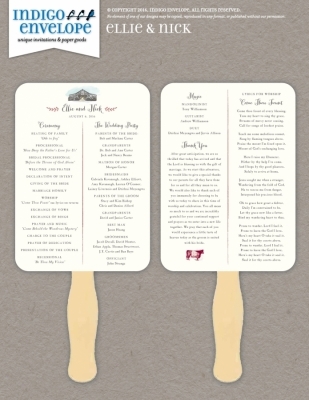 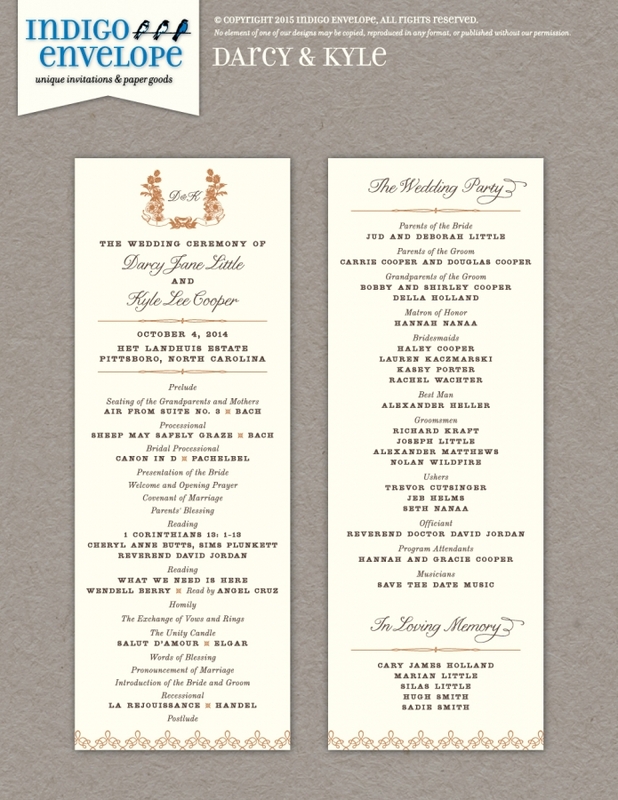 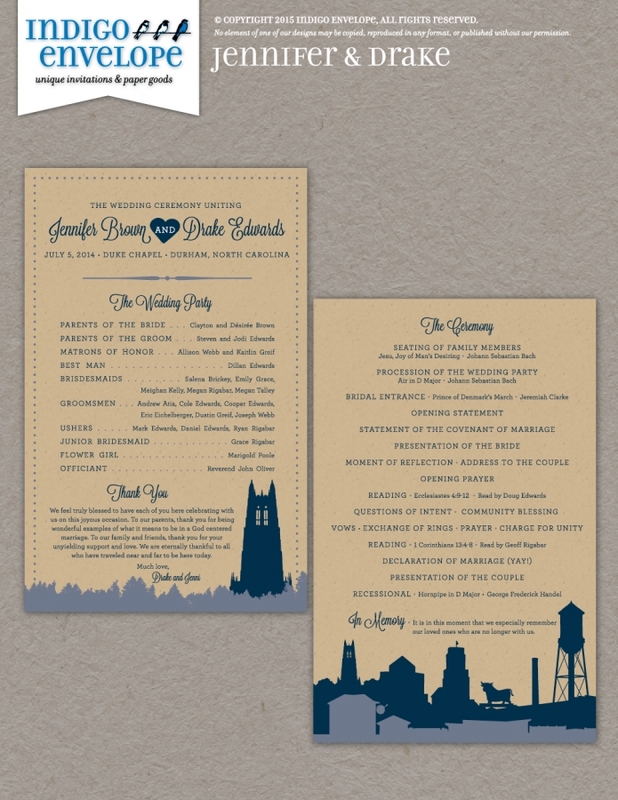 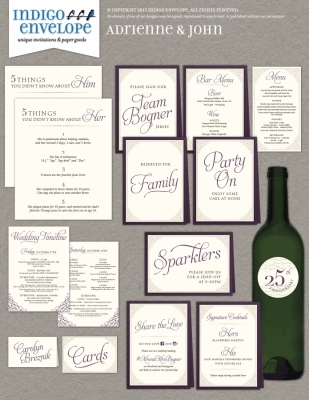 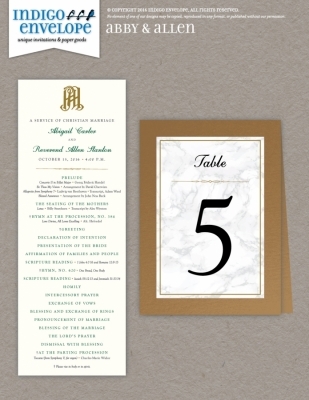 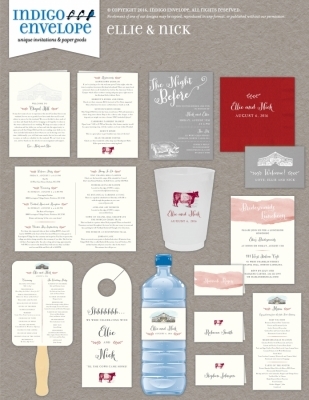 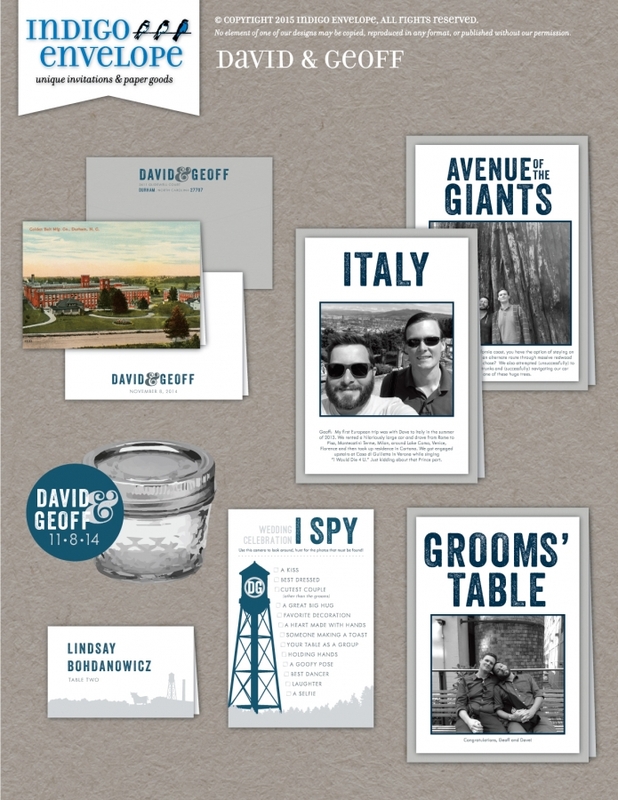 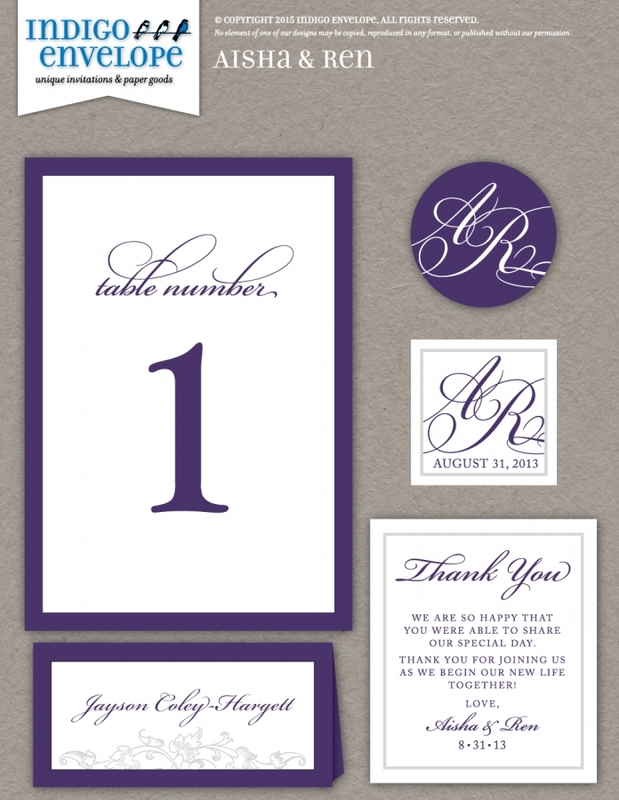 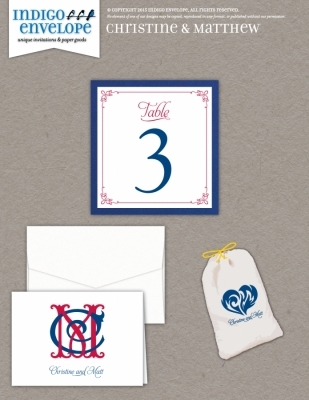 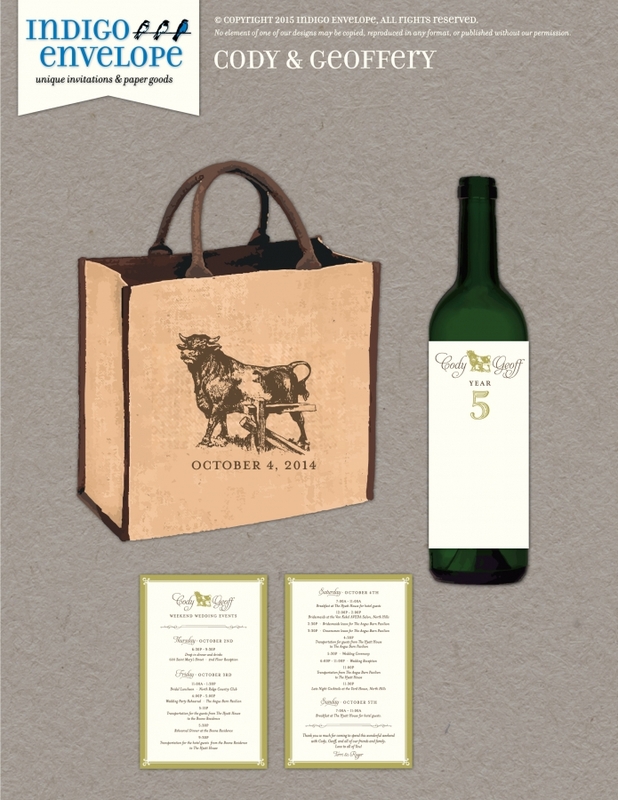 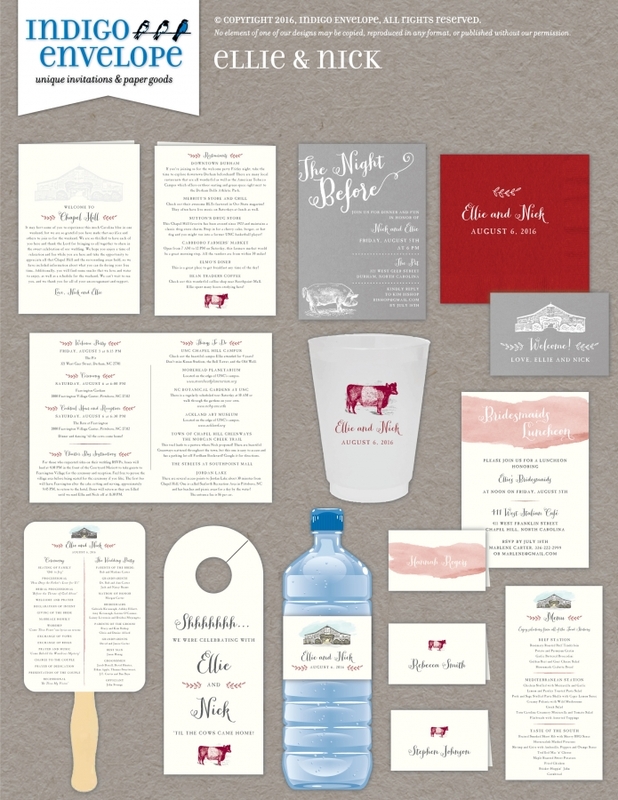 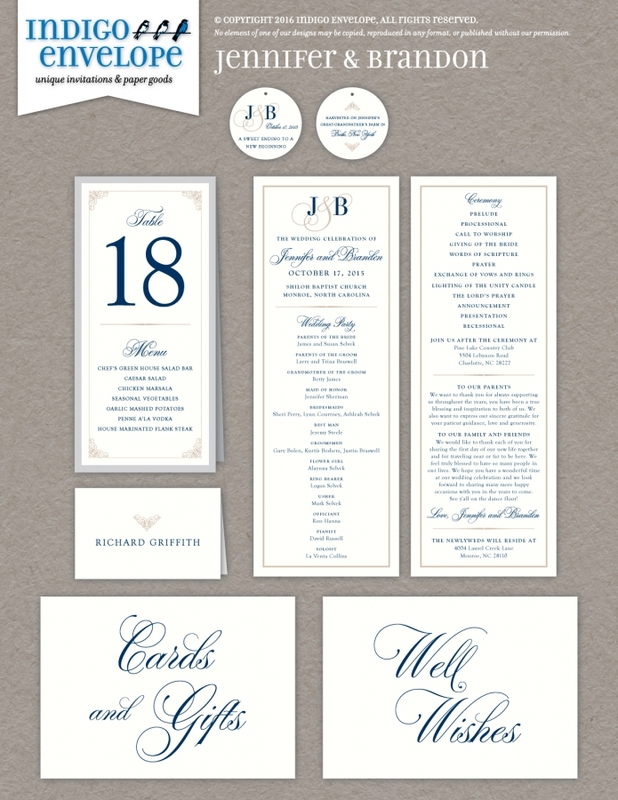 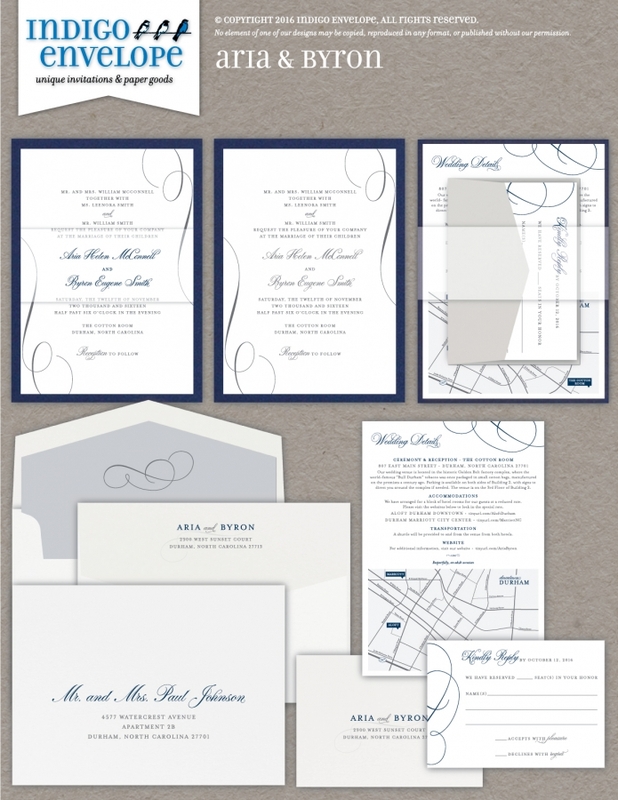 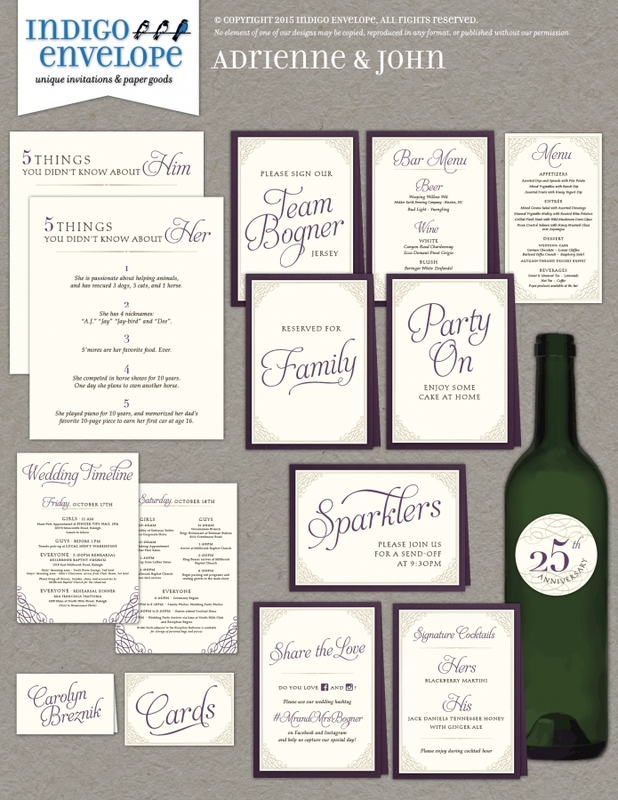 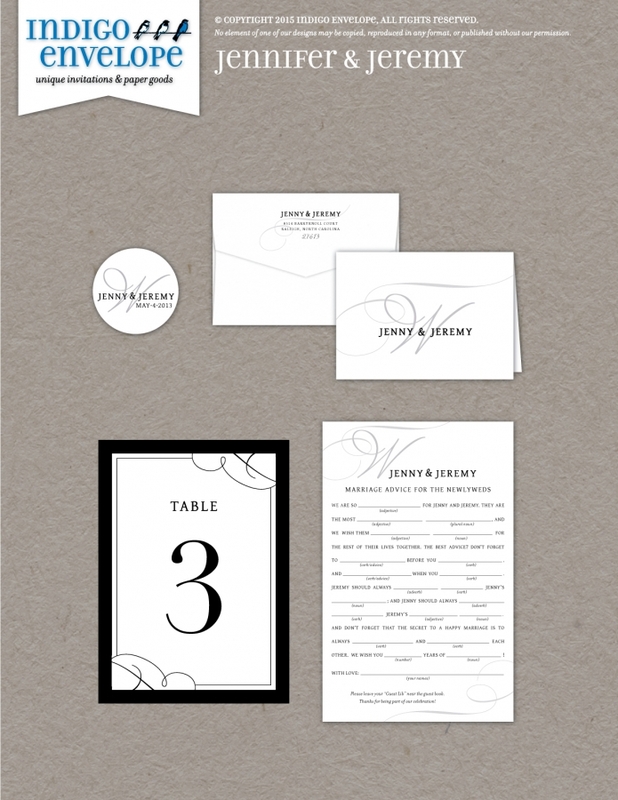 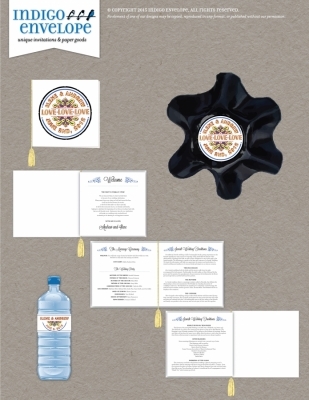 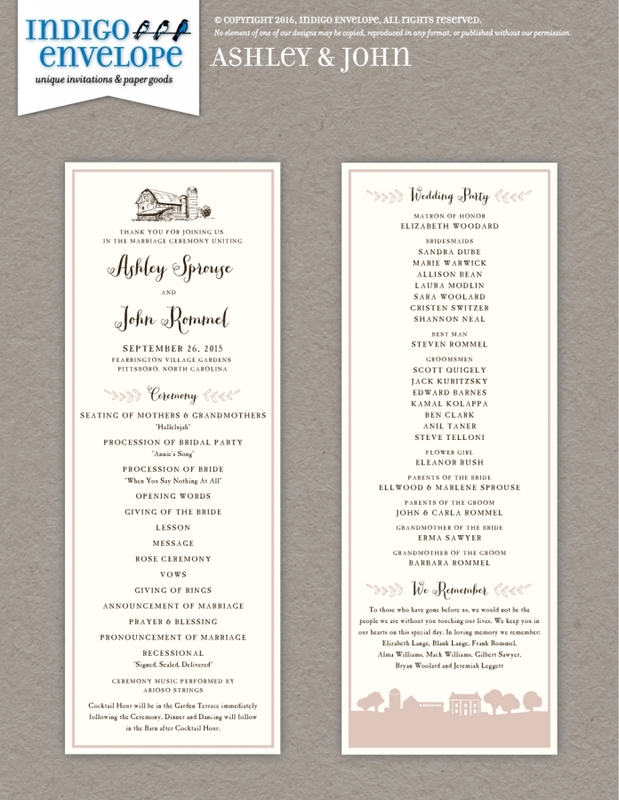 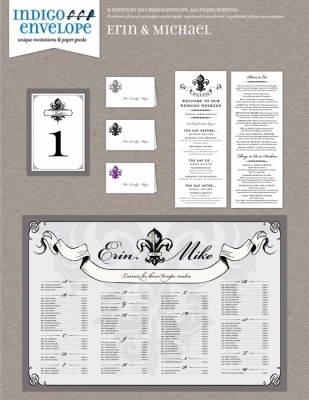 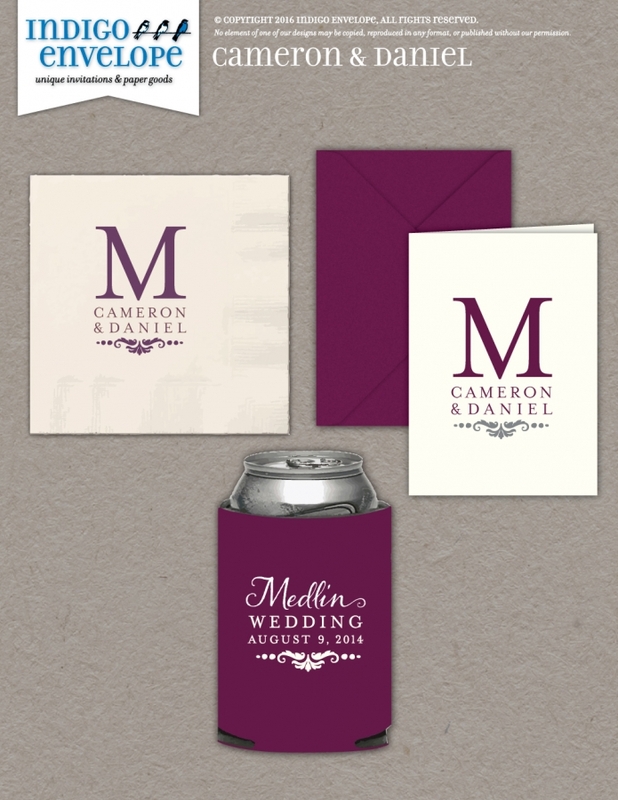 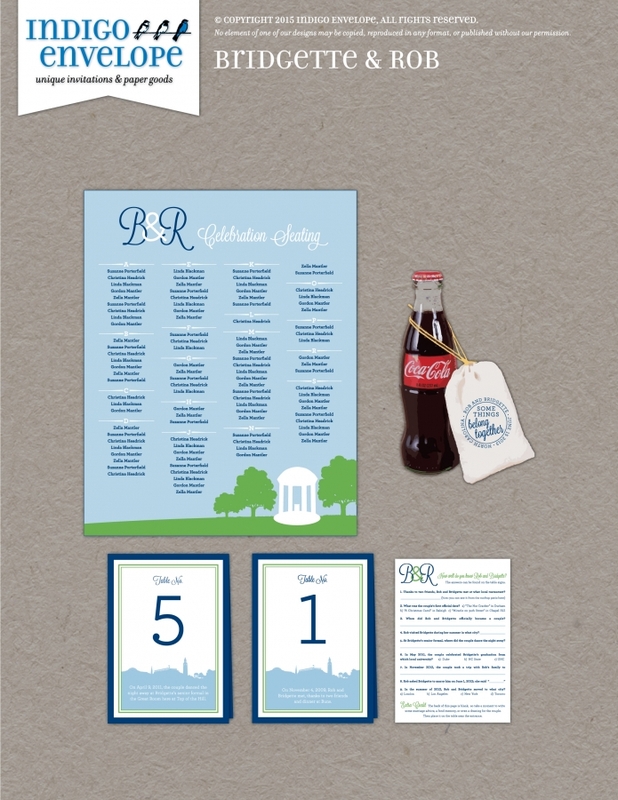 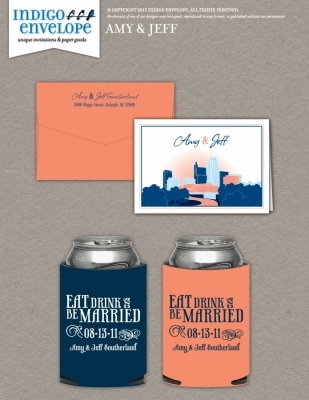 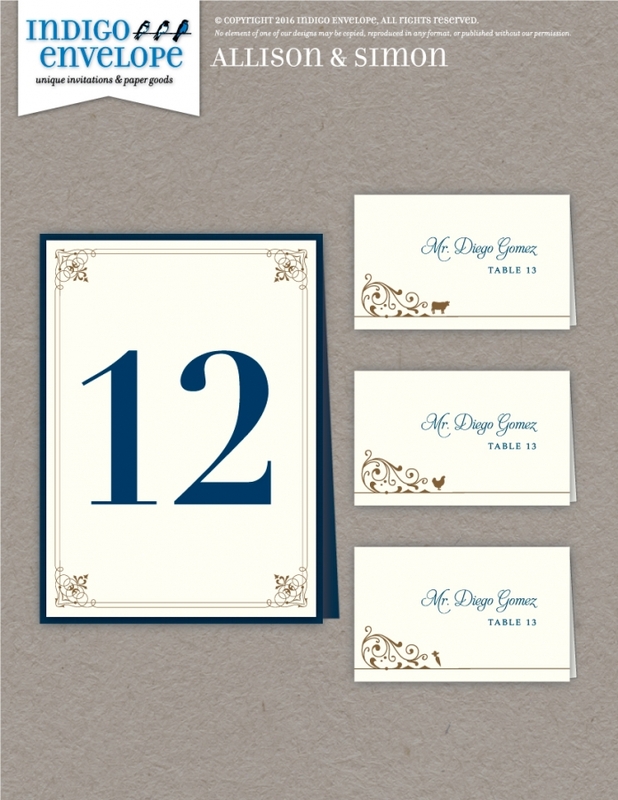 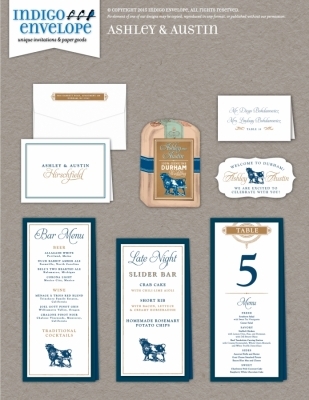 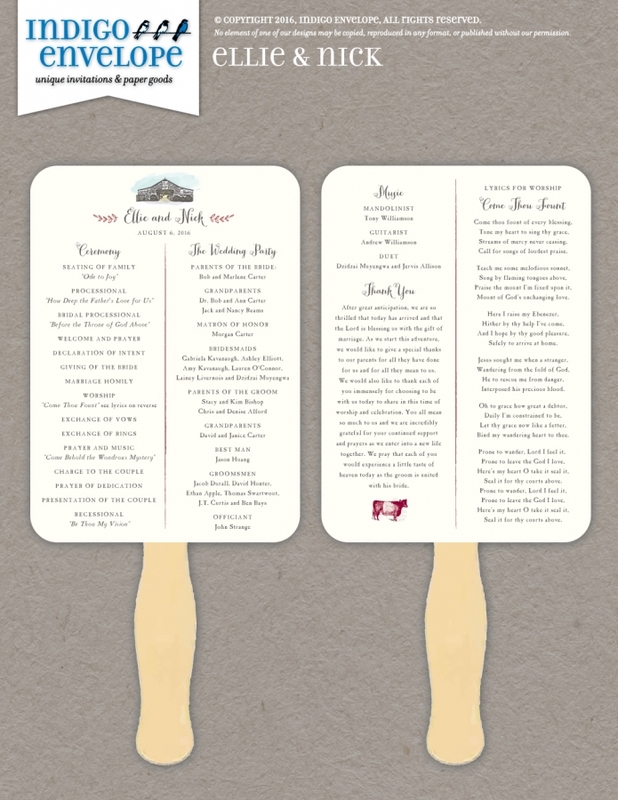 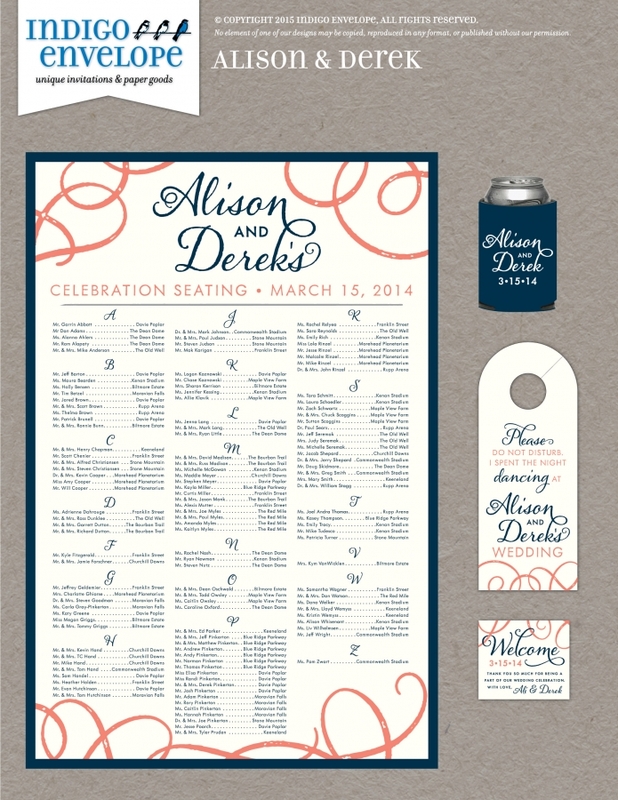 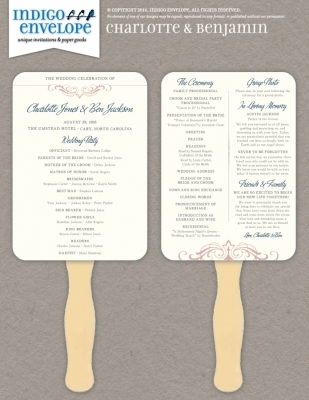 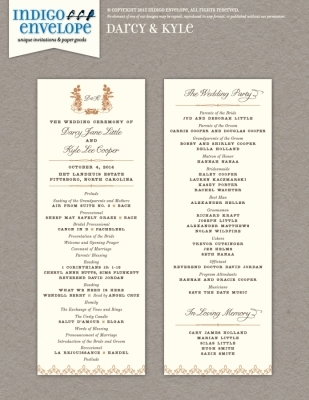 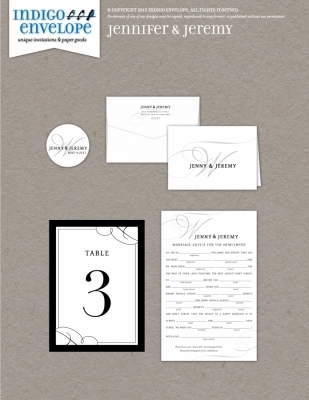 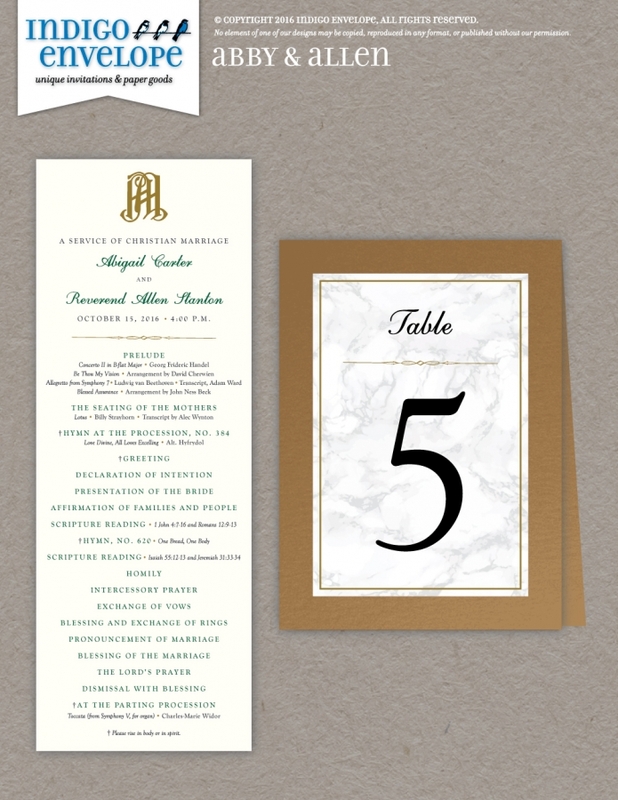 And you can change the format, such as turning a flat card into a Pocketfold enclosure design or vice versa As part of your package, we will also create a custom monogram or wedding logo to use for your event at no extra charge, if the design calls for that. 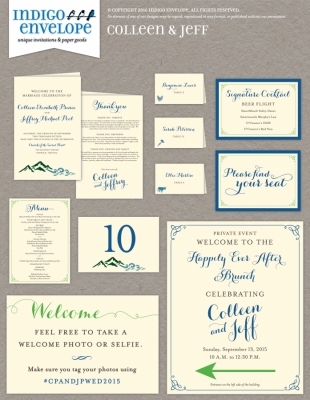 Please use this gallery to note your favorite ideas. 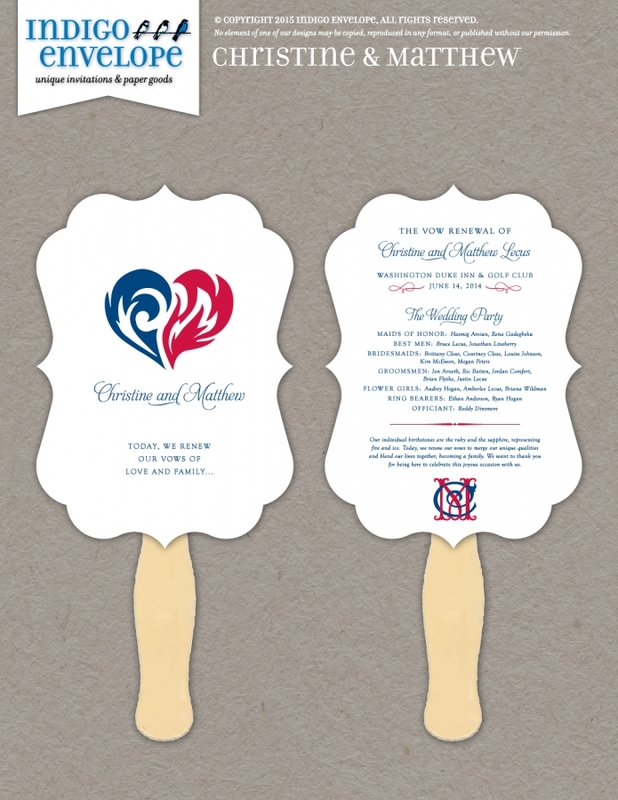 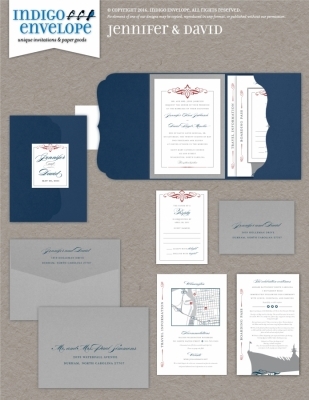 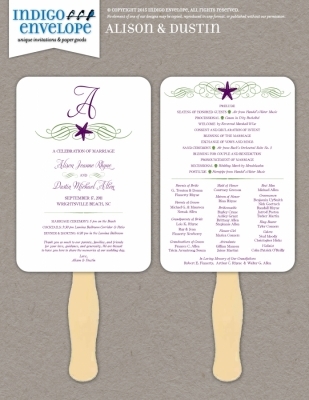 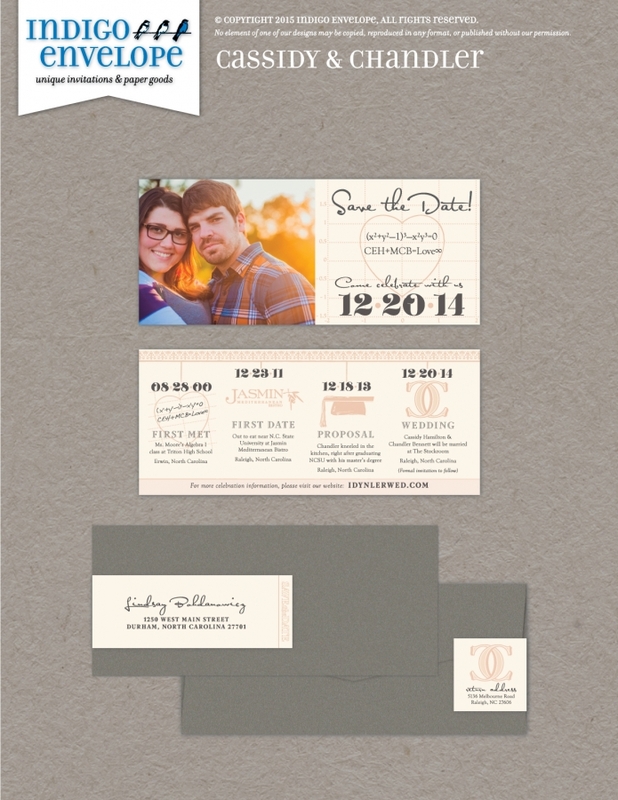 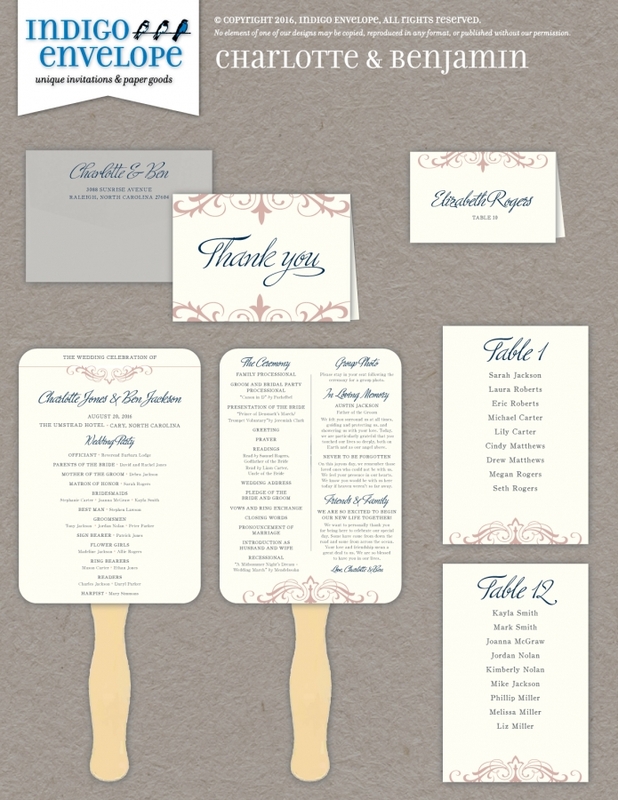 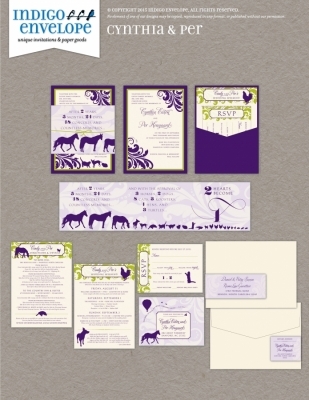 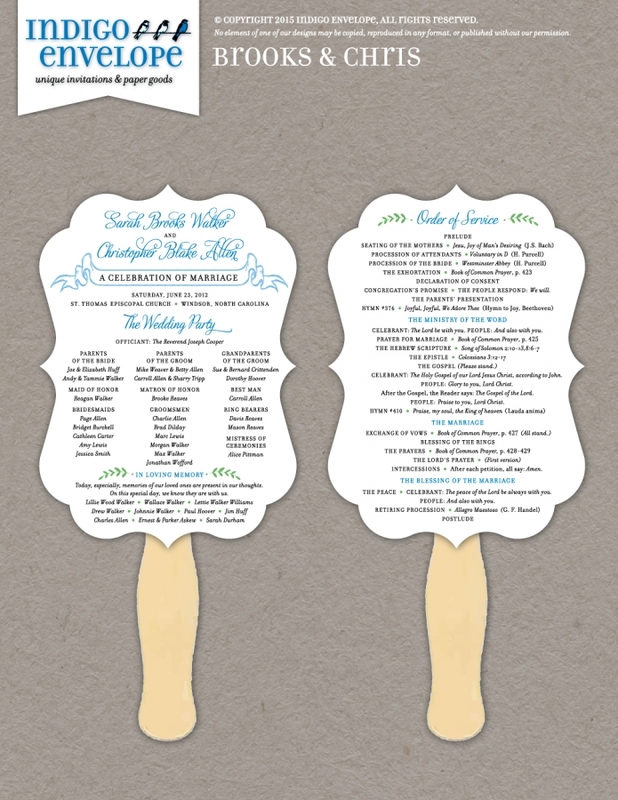 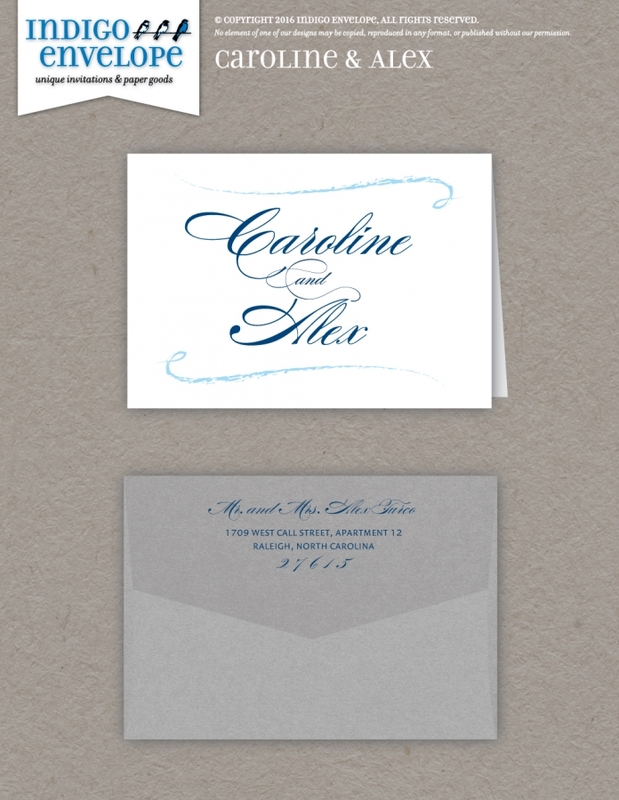 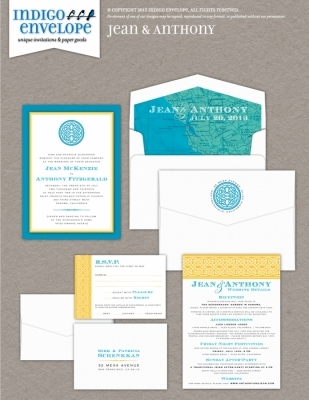 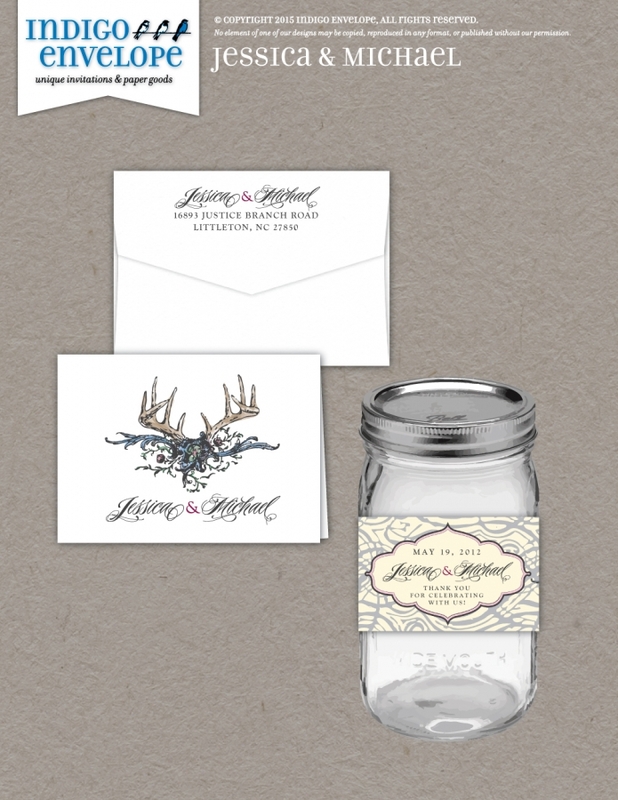 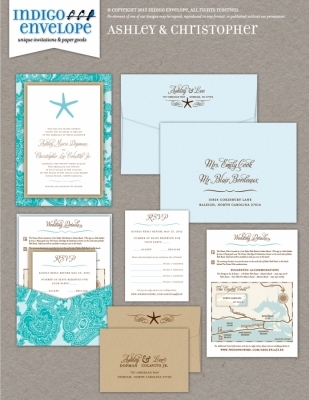 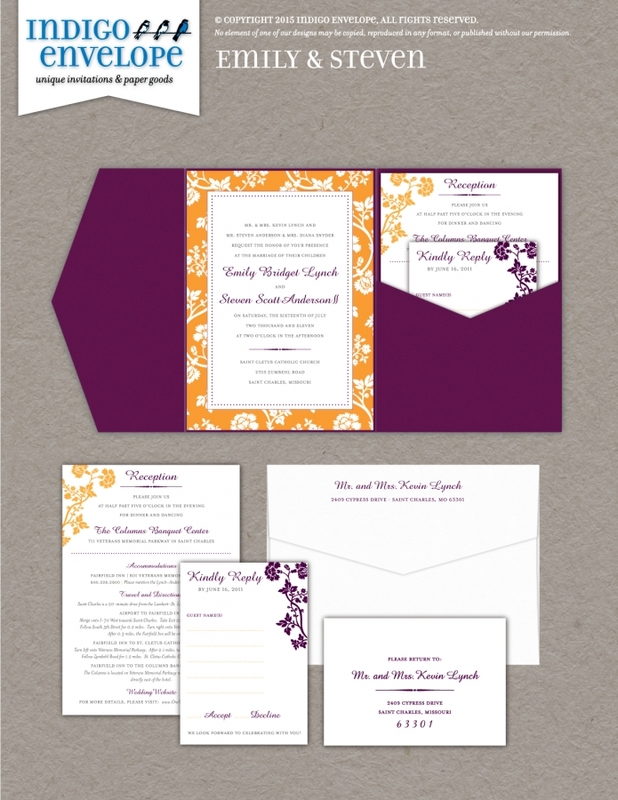 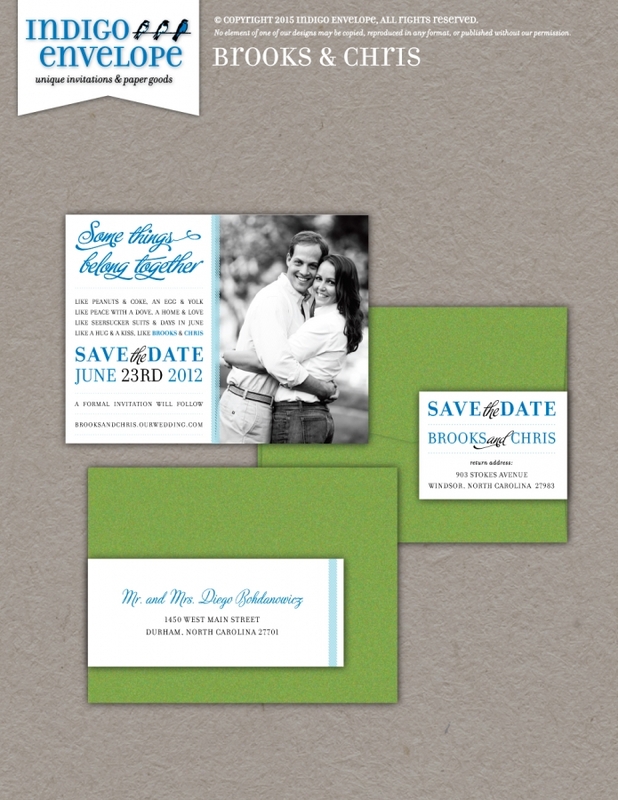 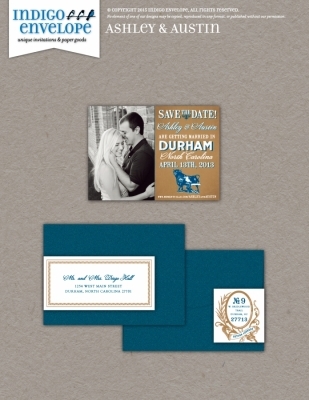 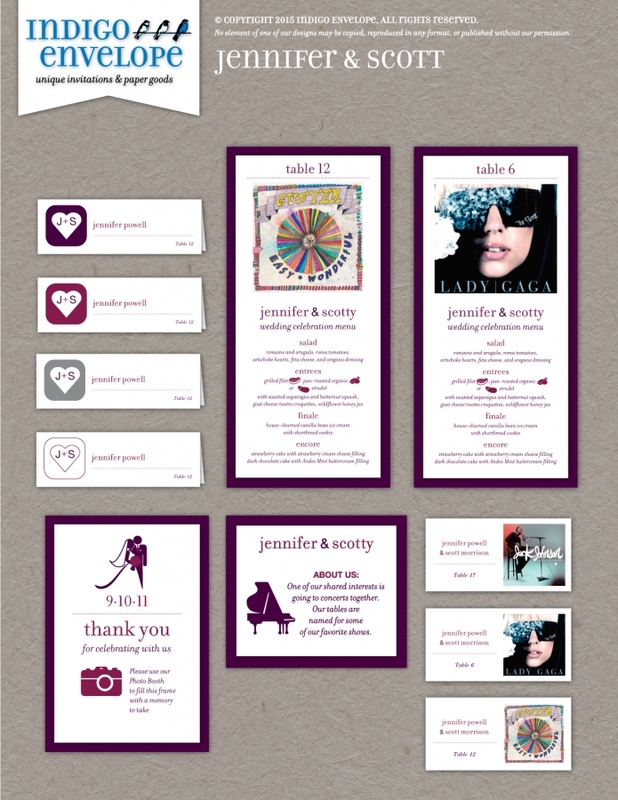 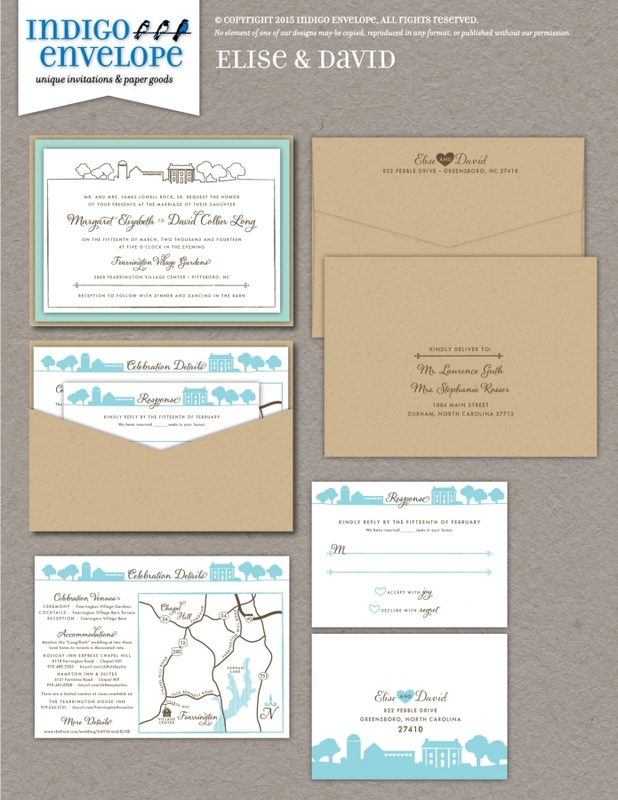 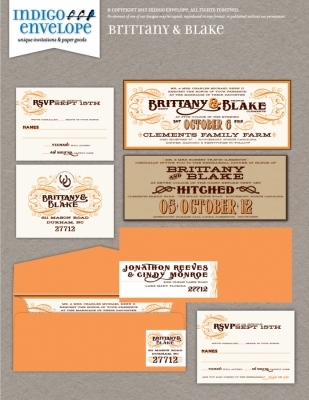 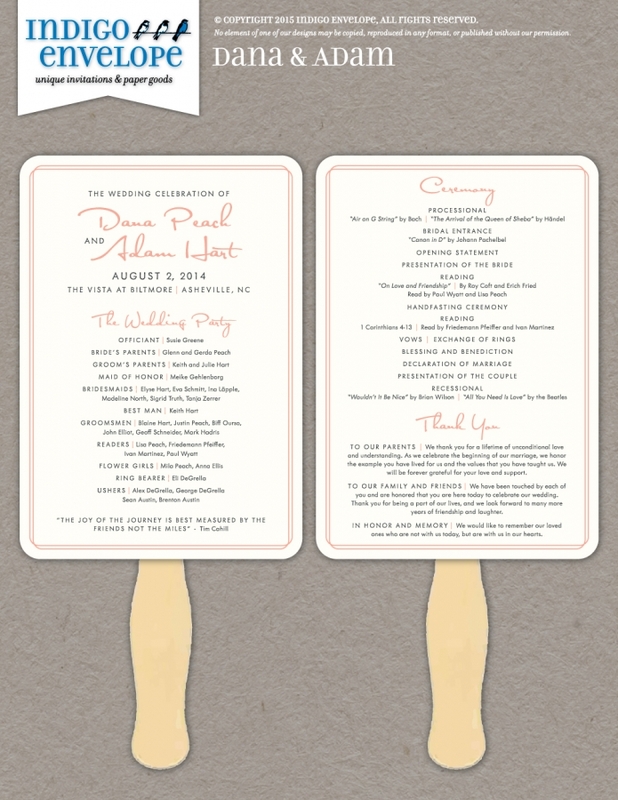 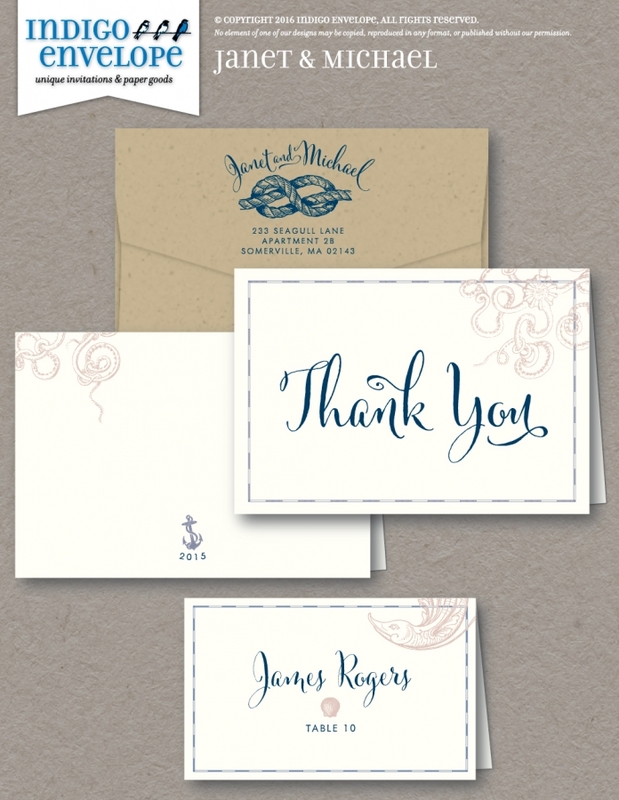 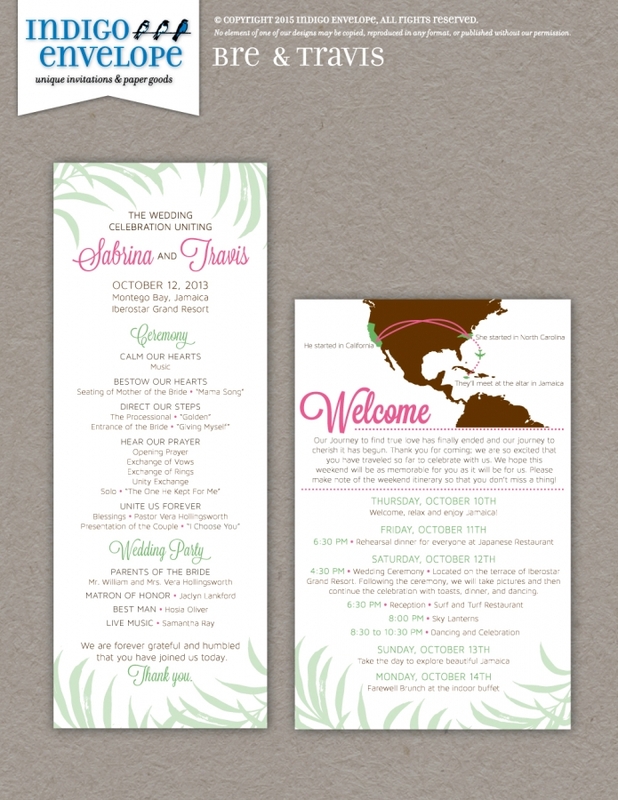 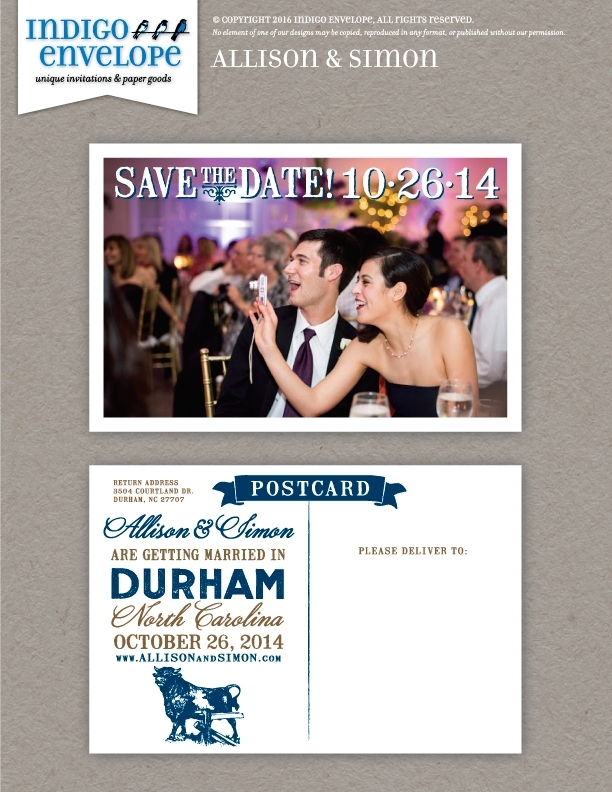 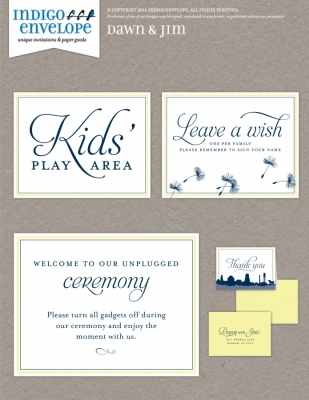 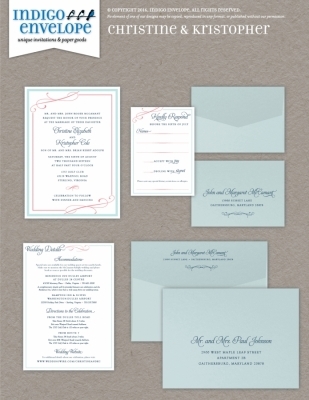 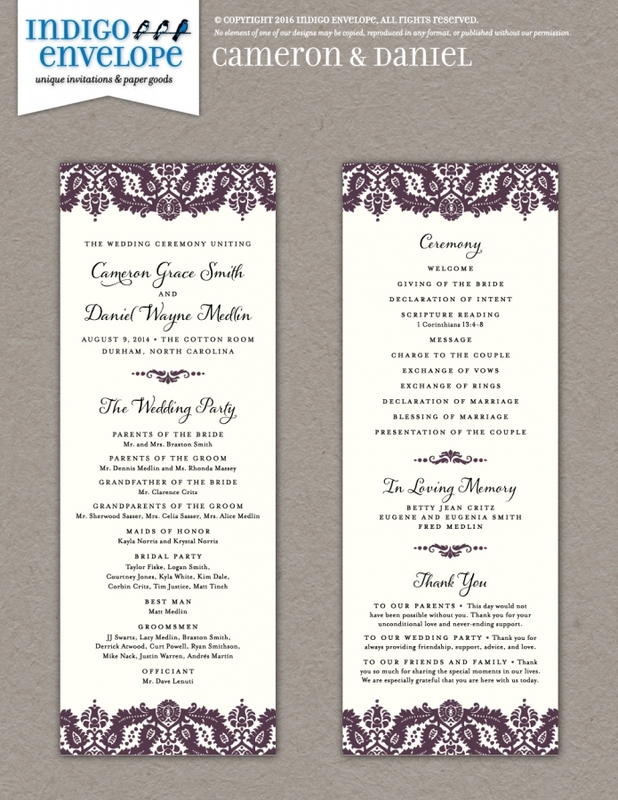 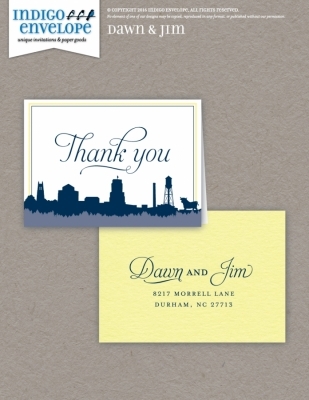 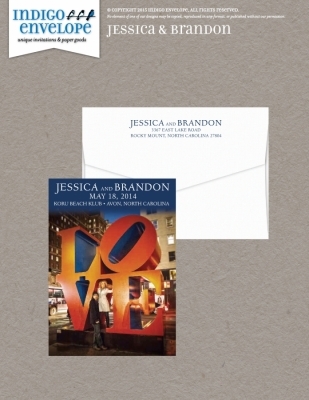 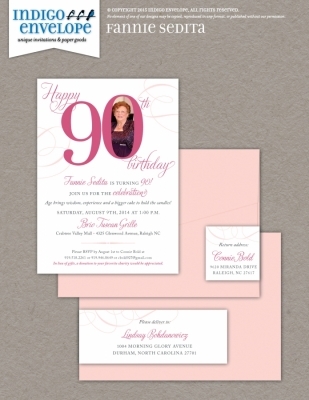 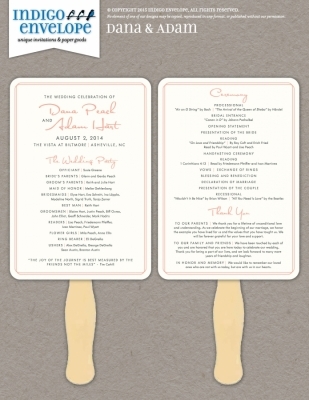 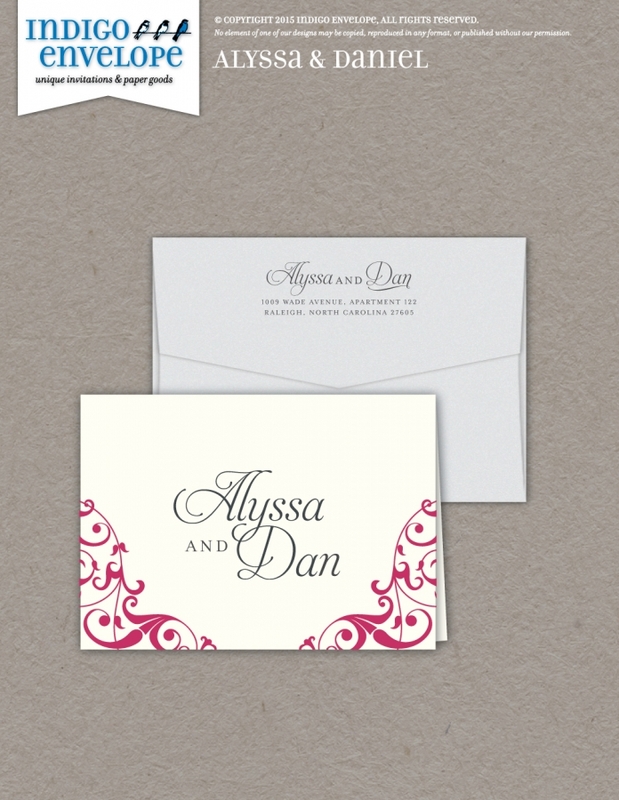 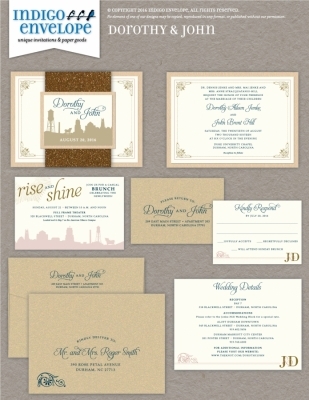 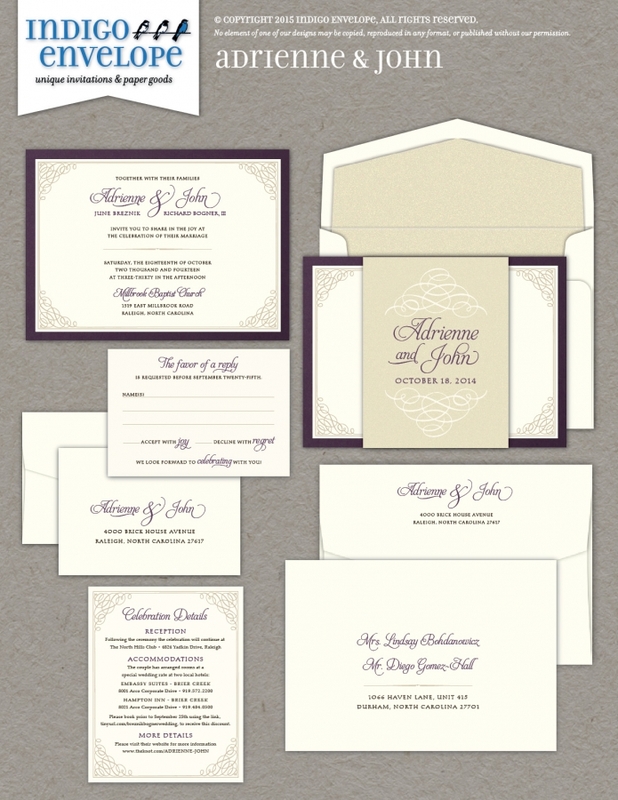 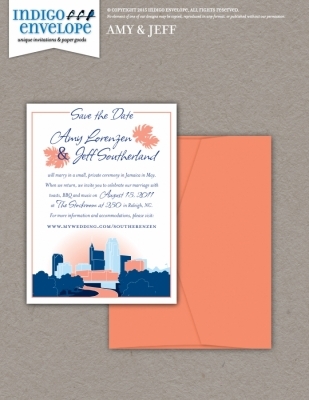 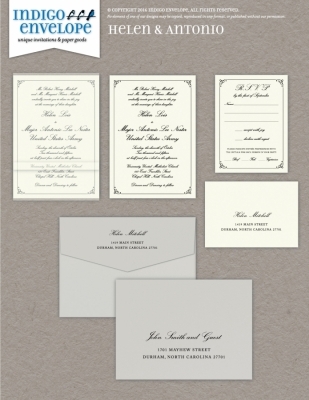 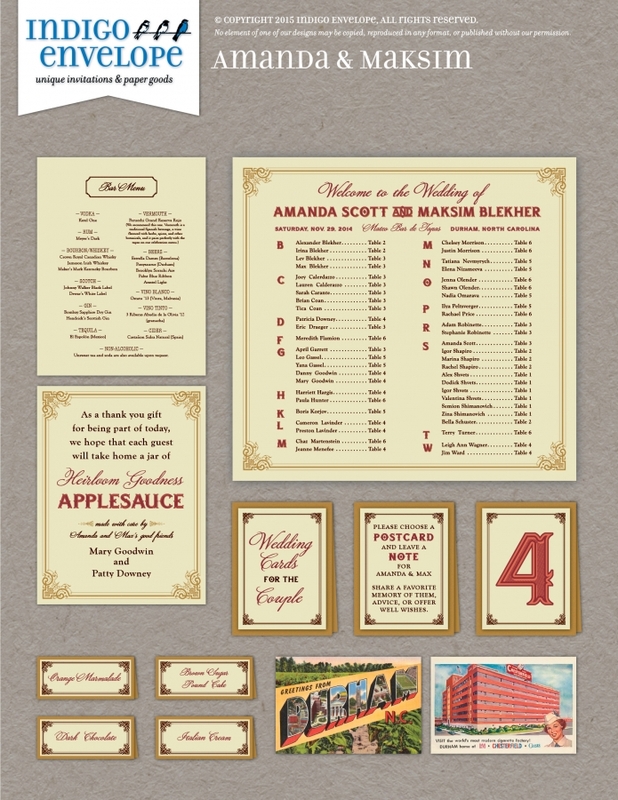 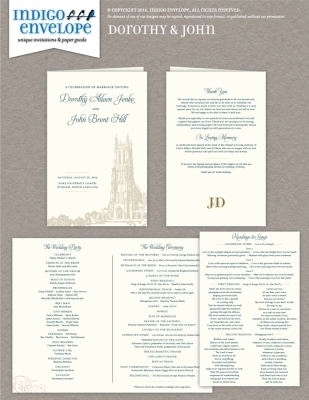 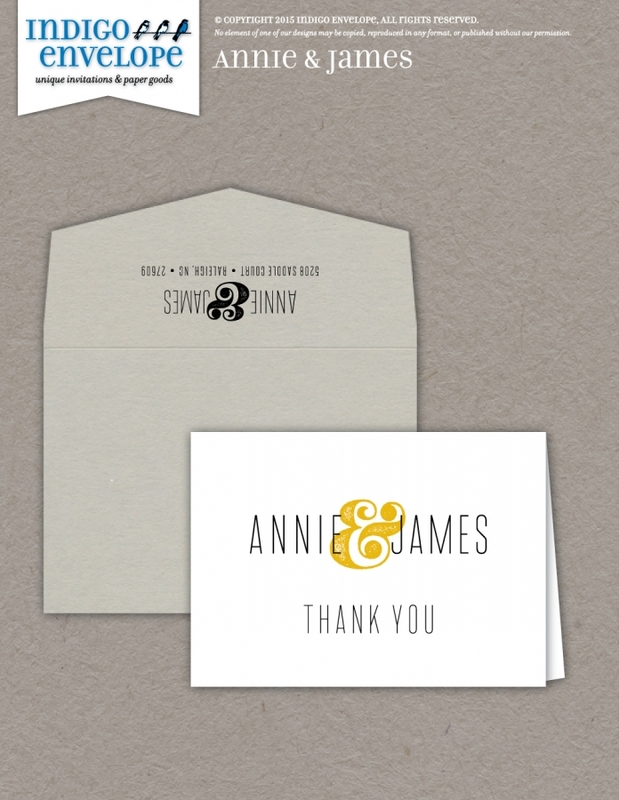 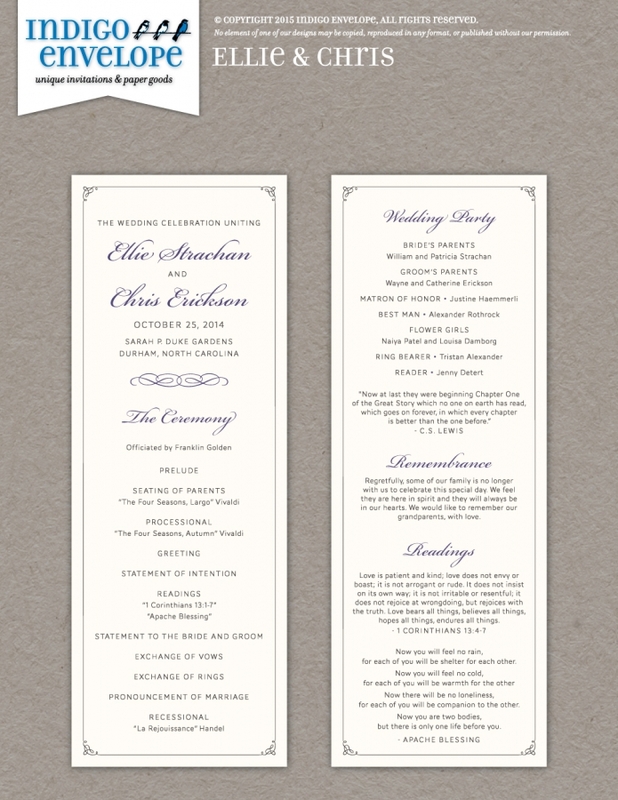 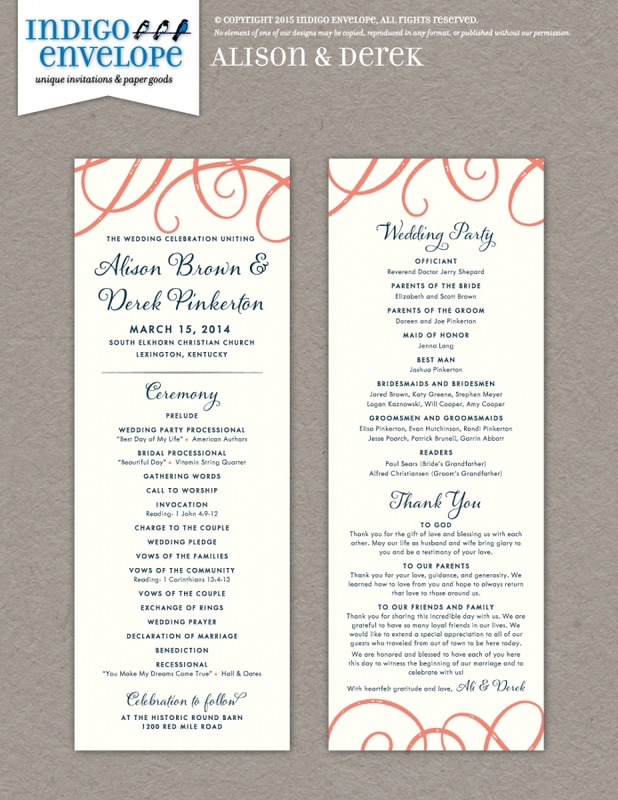 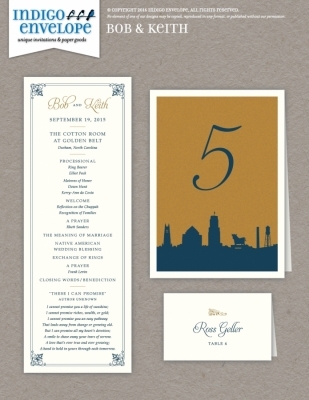 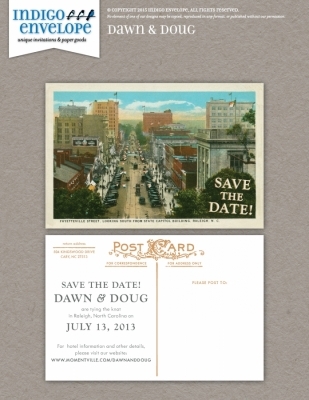 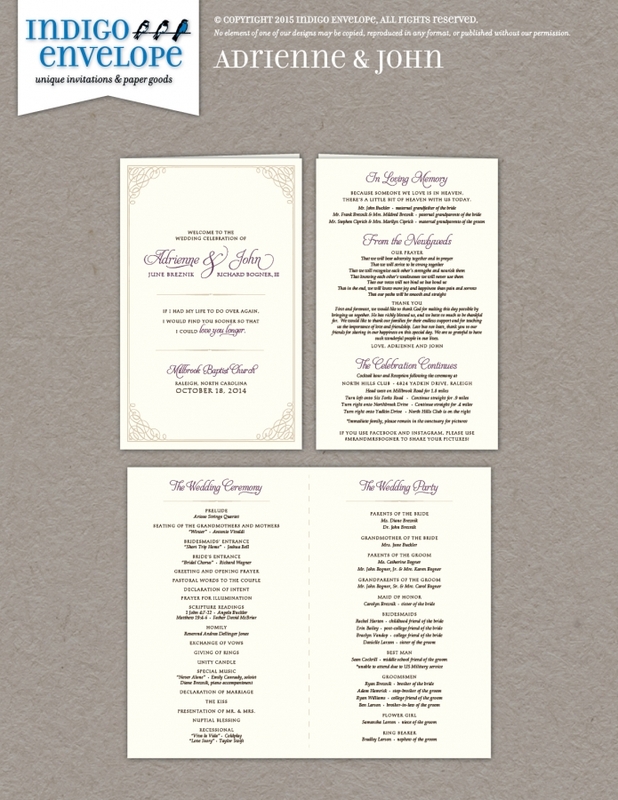 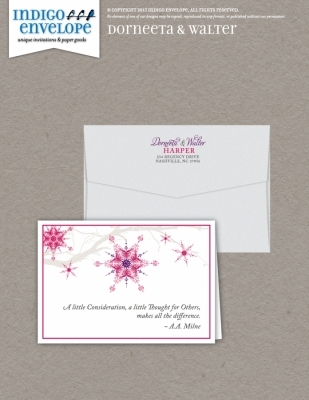 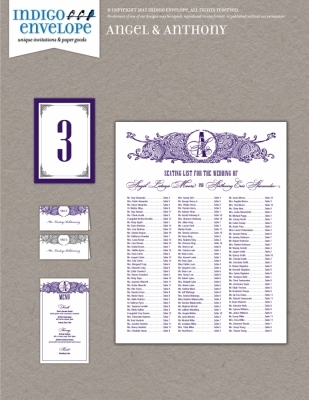 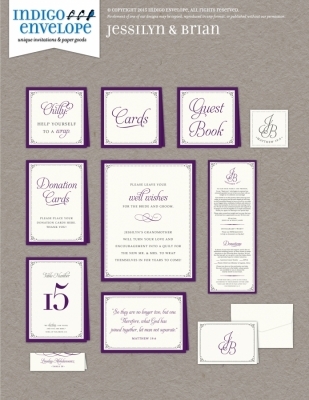 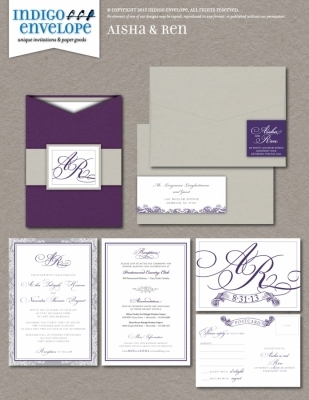 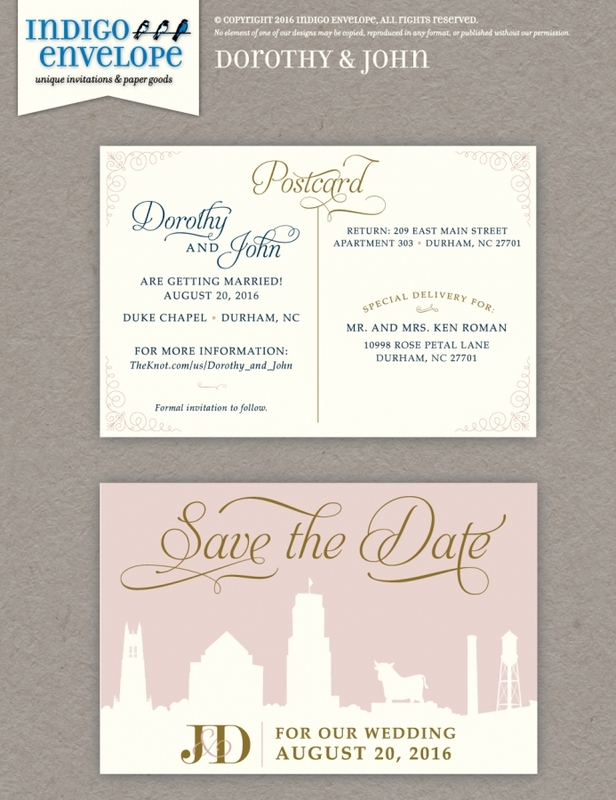 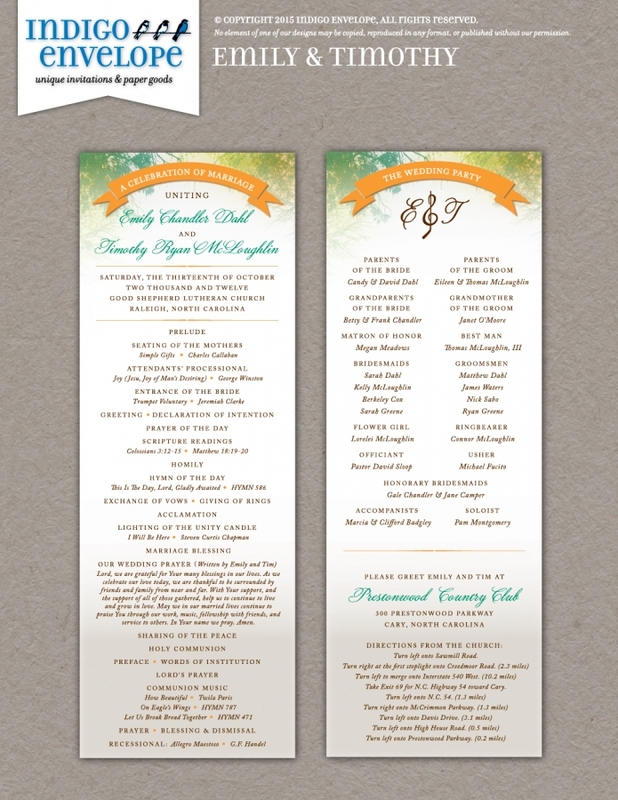 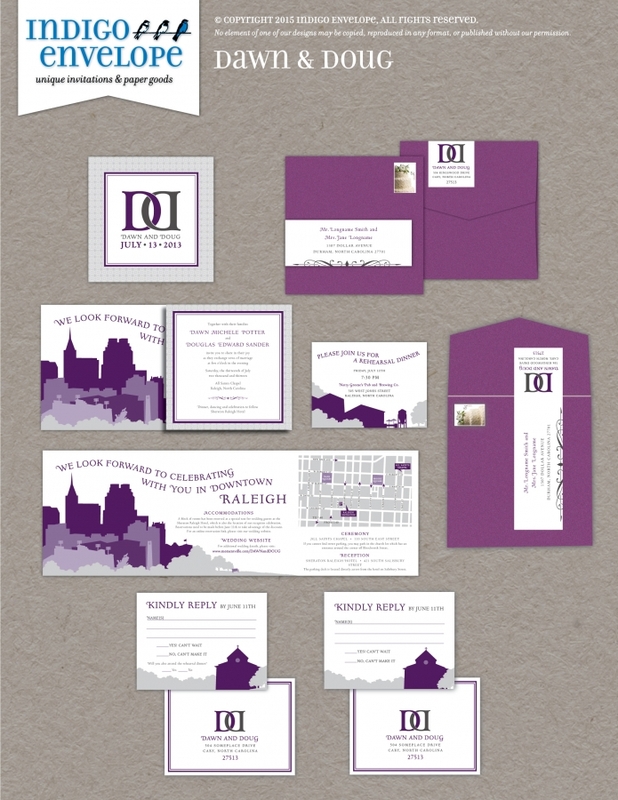 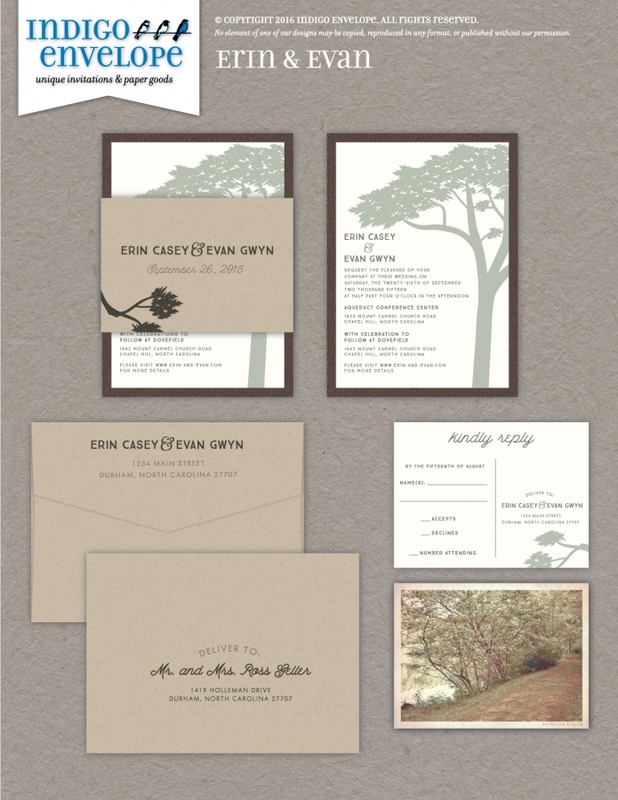 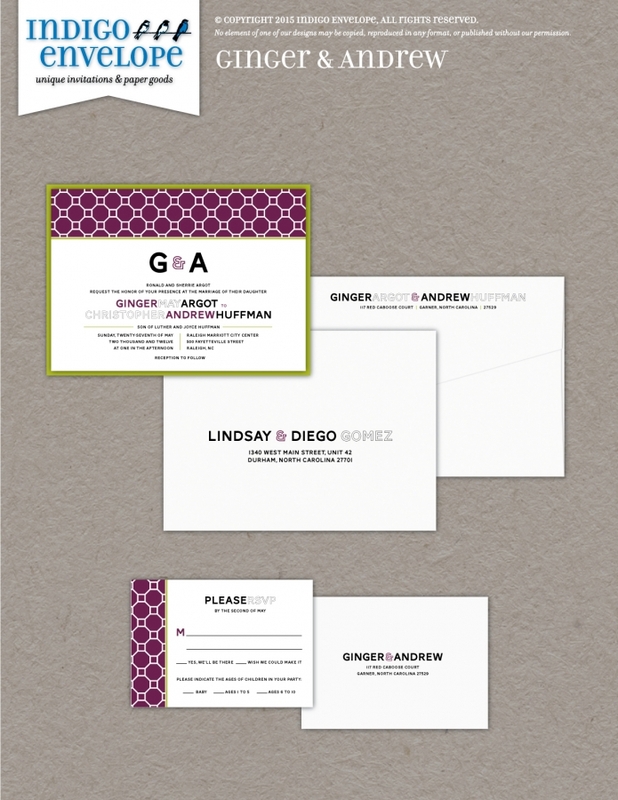 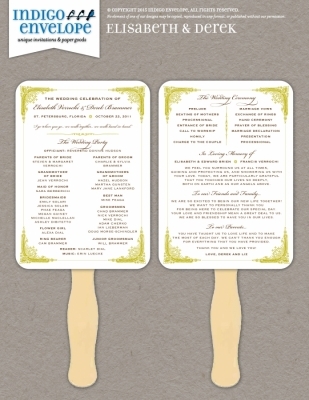 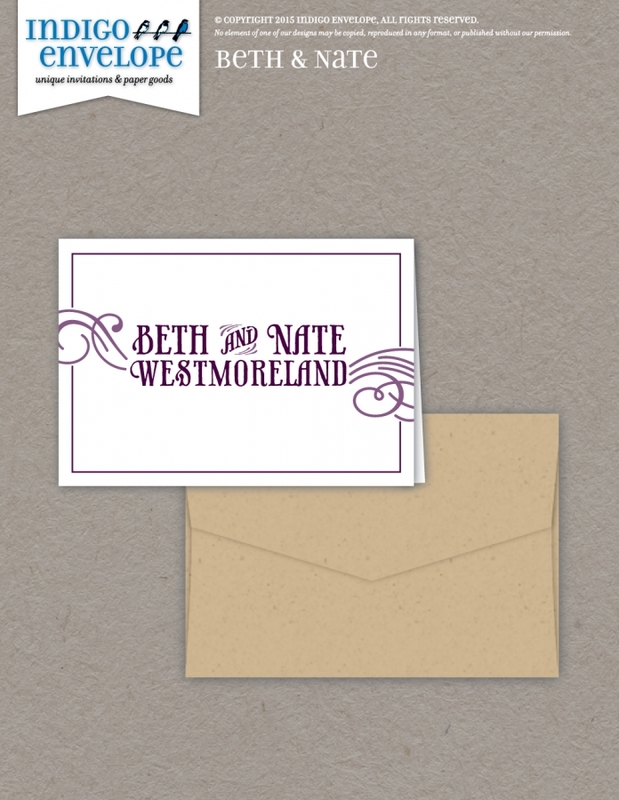 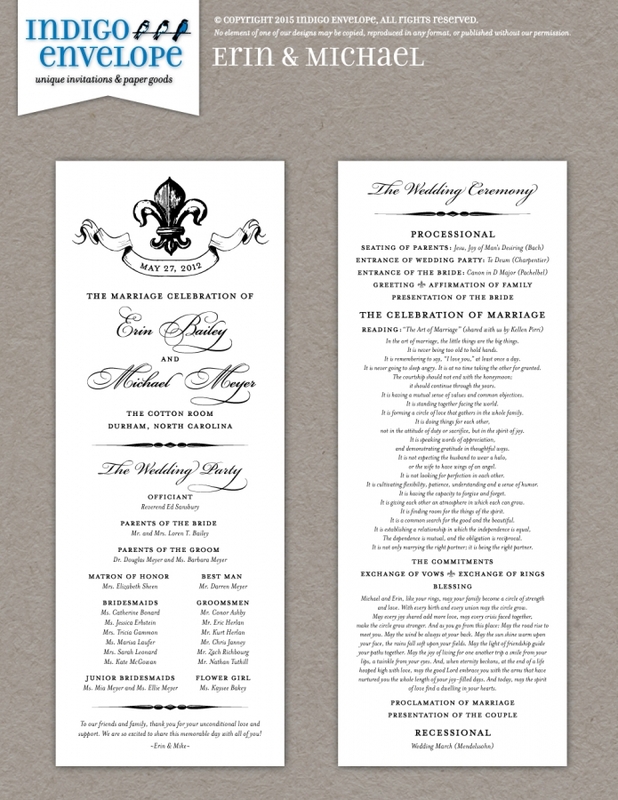 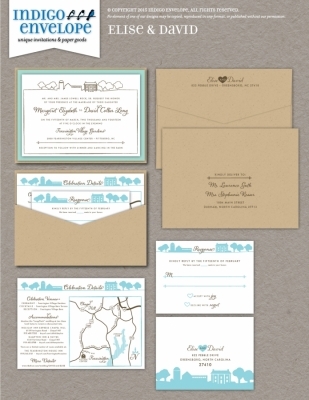 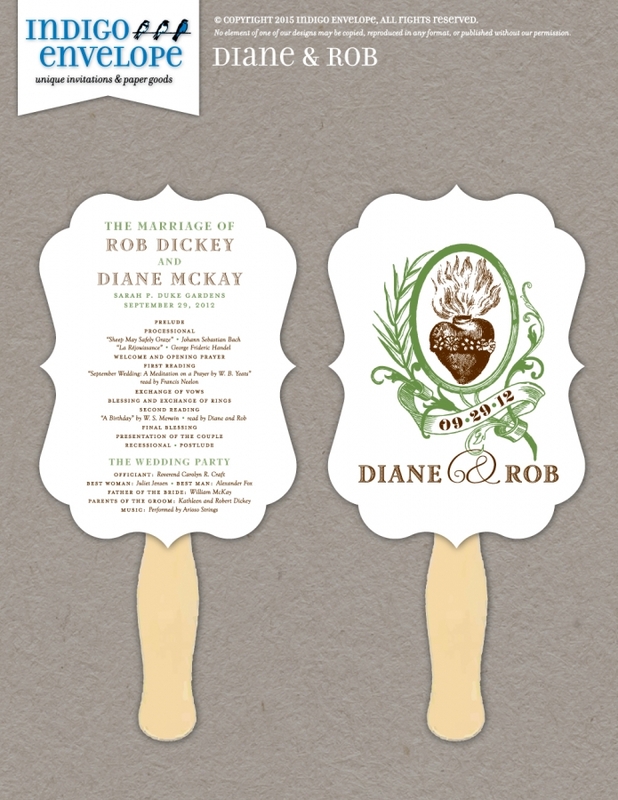 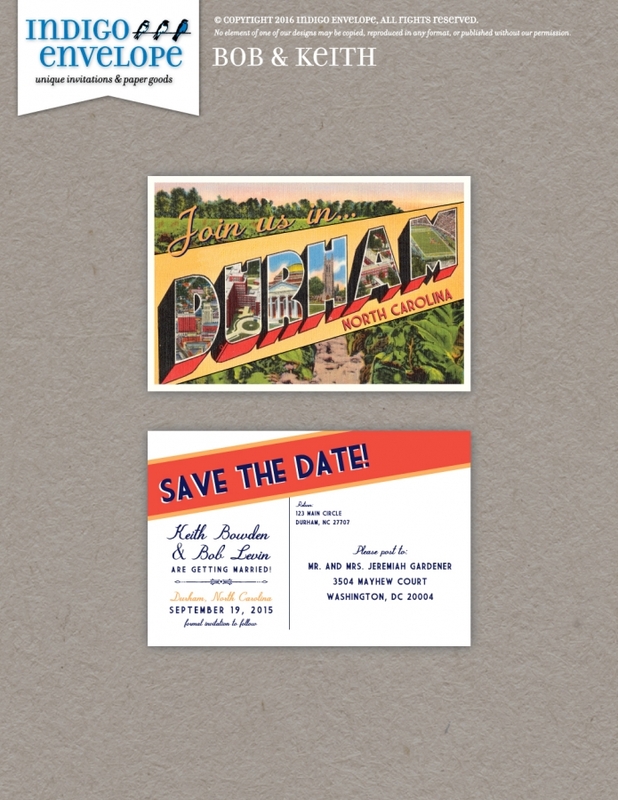 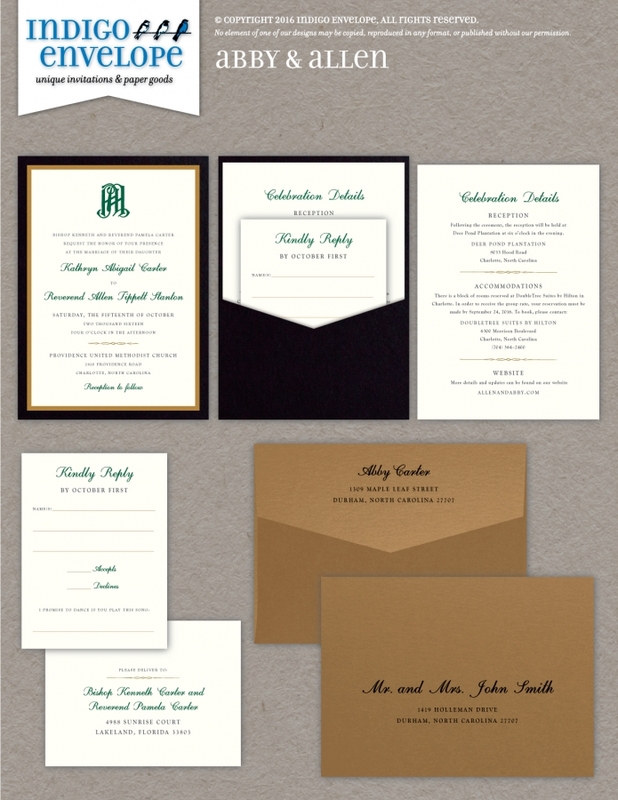 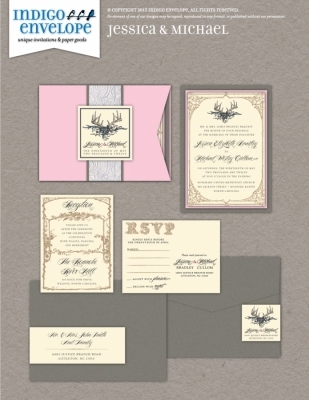 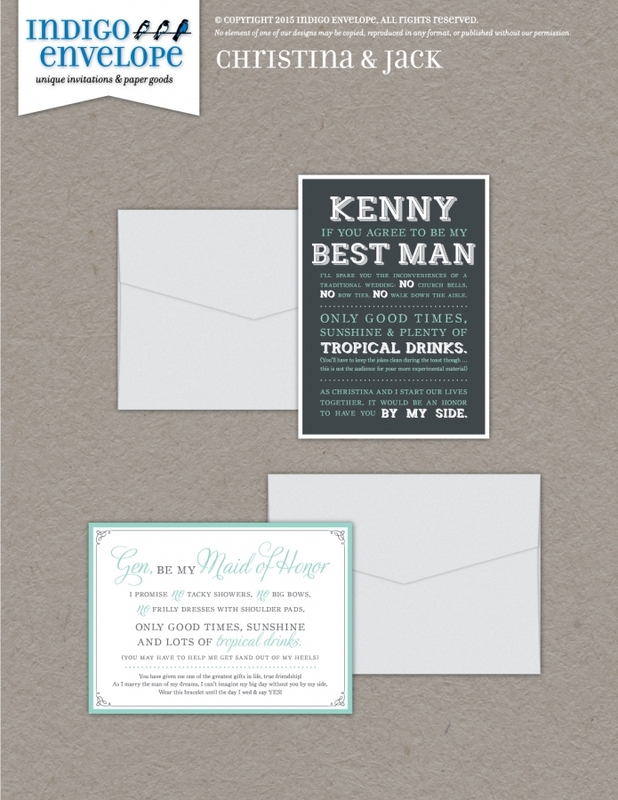 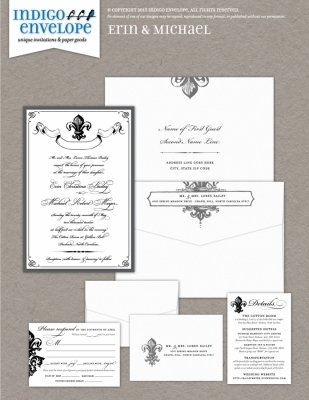 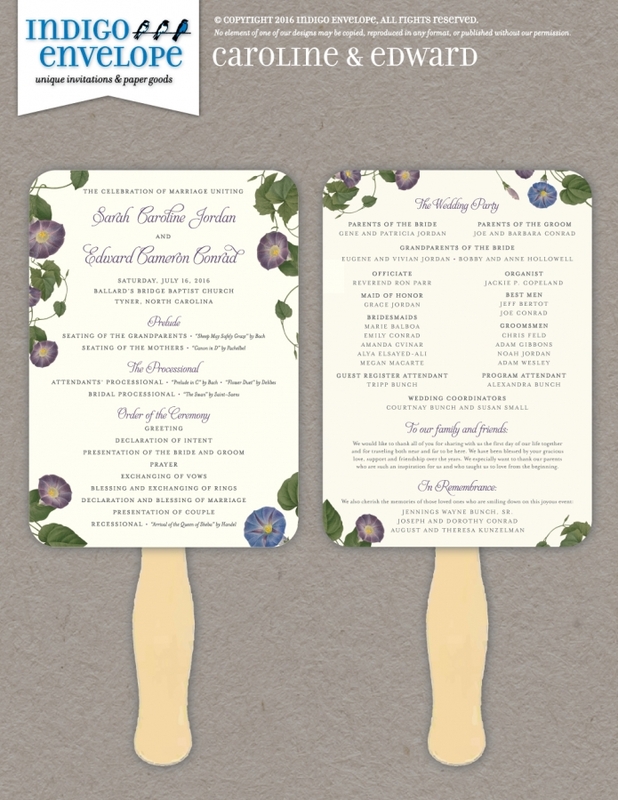 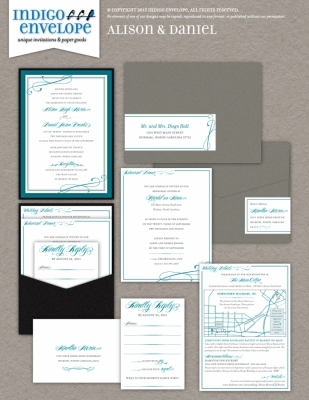 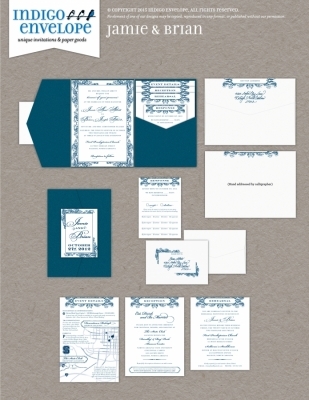 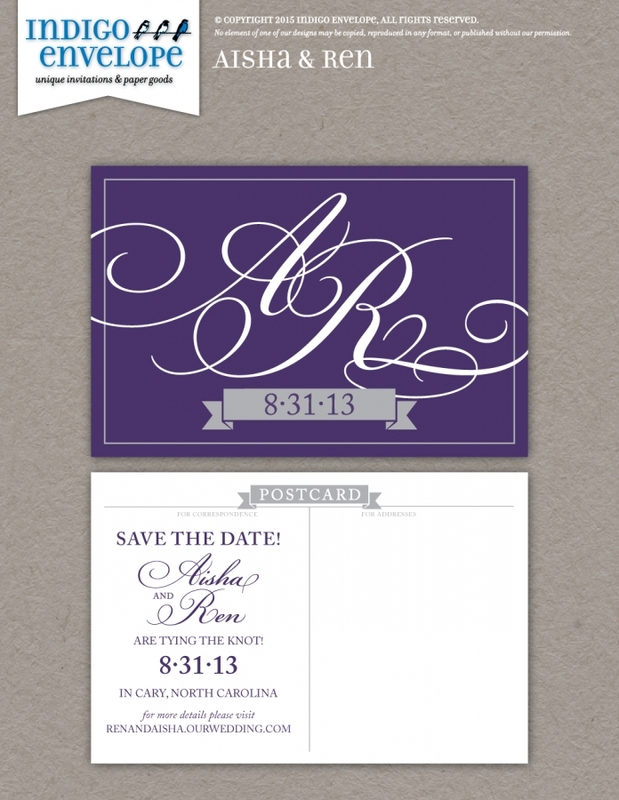 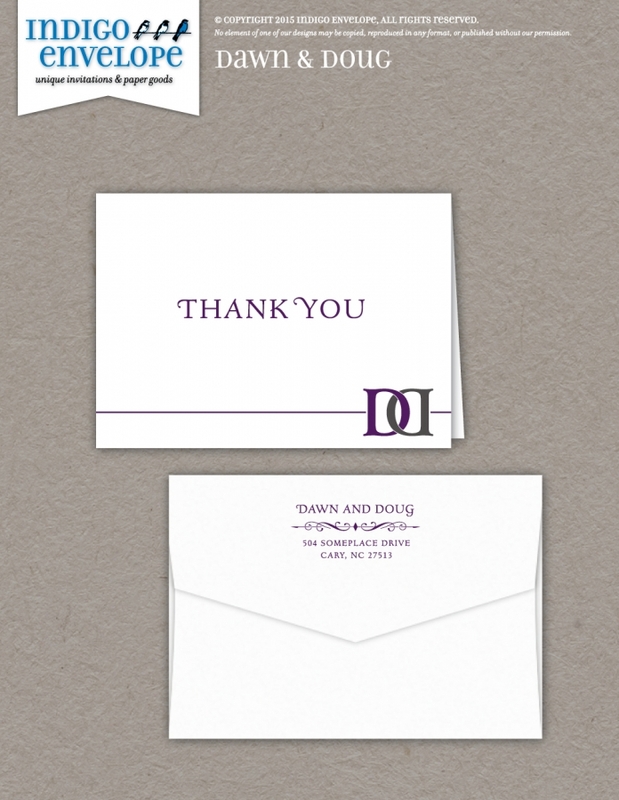 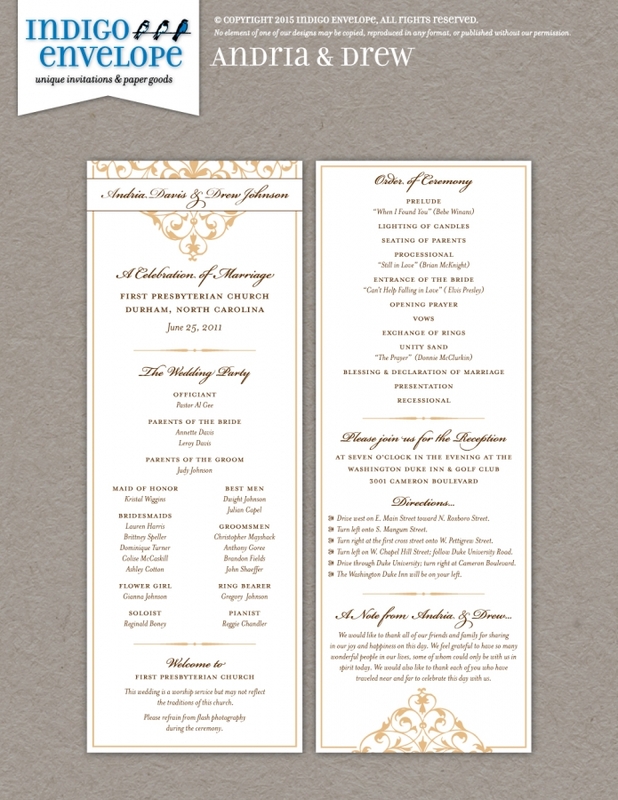 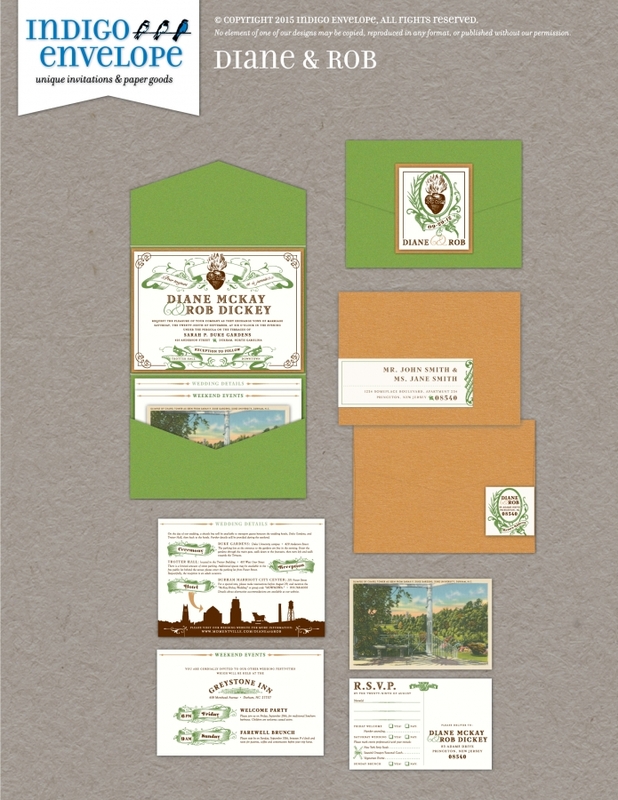 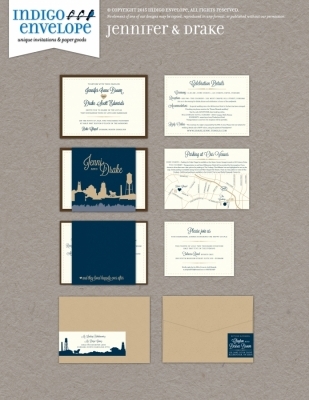 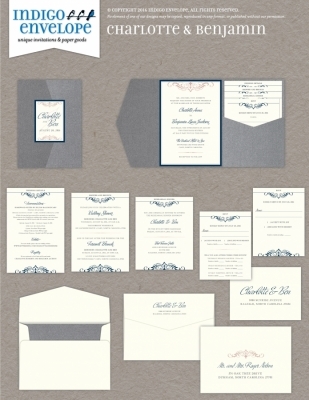 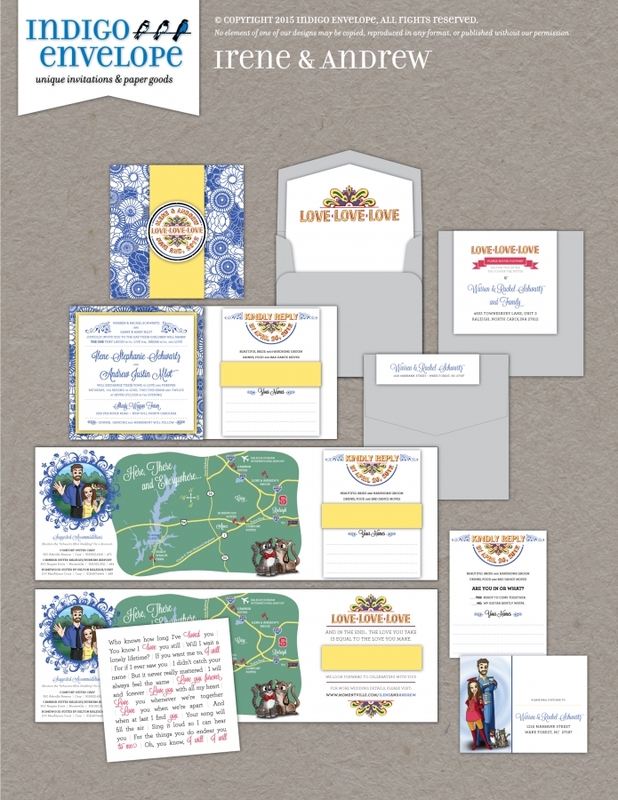 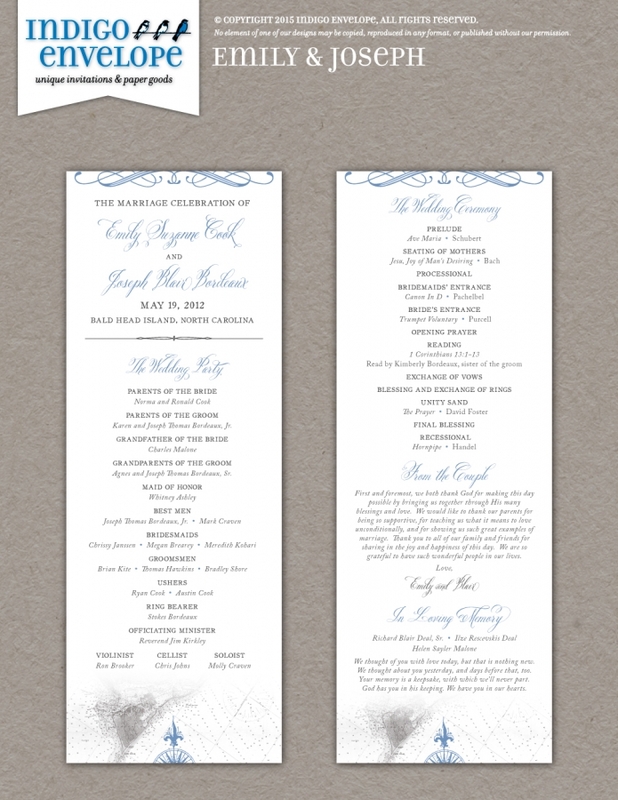 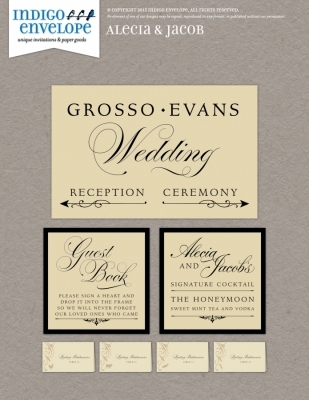 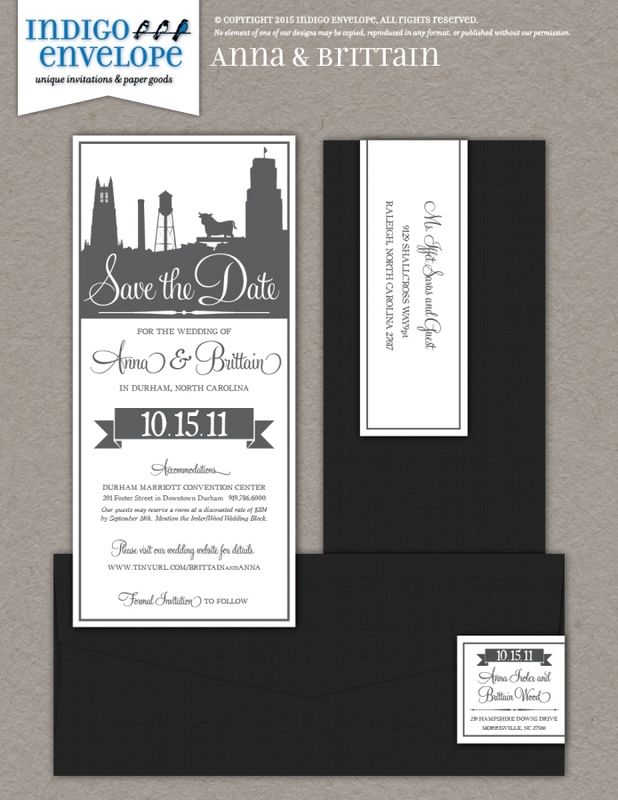 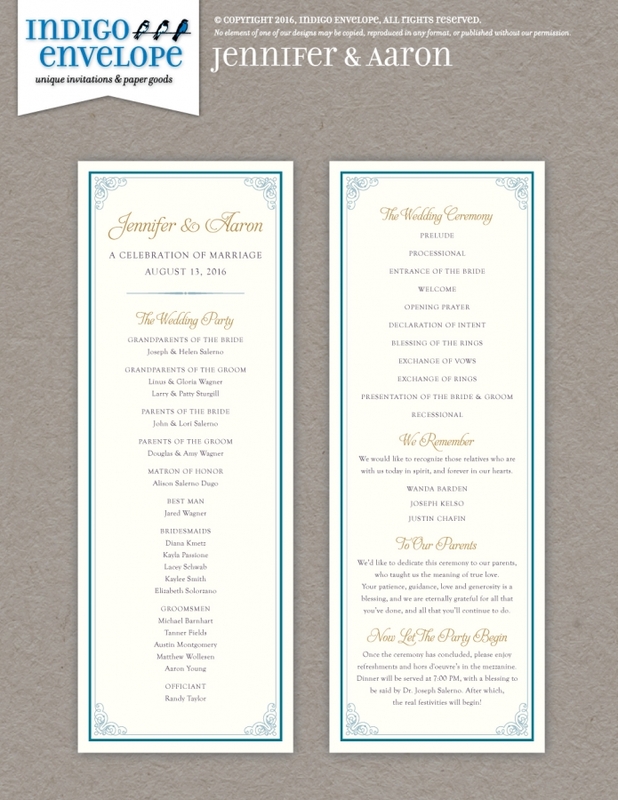 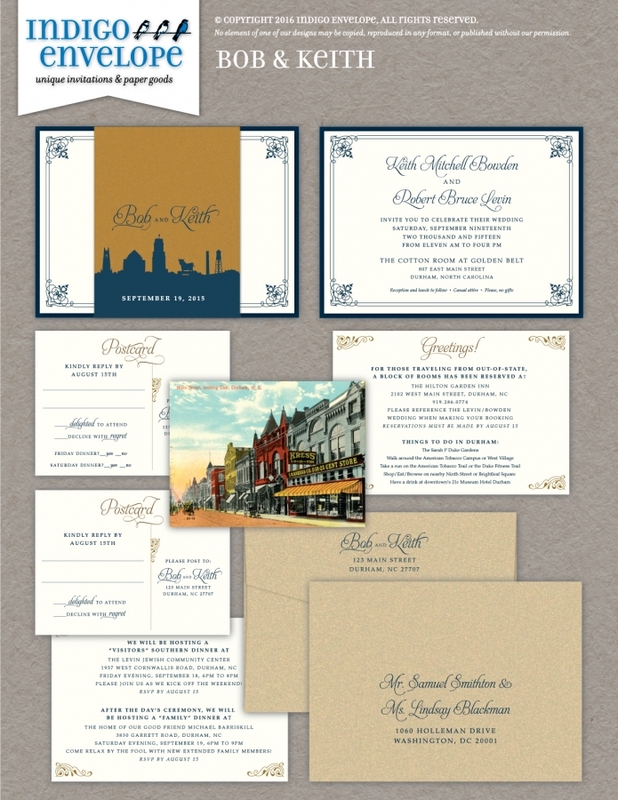 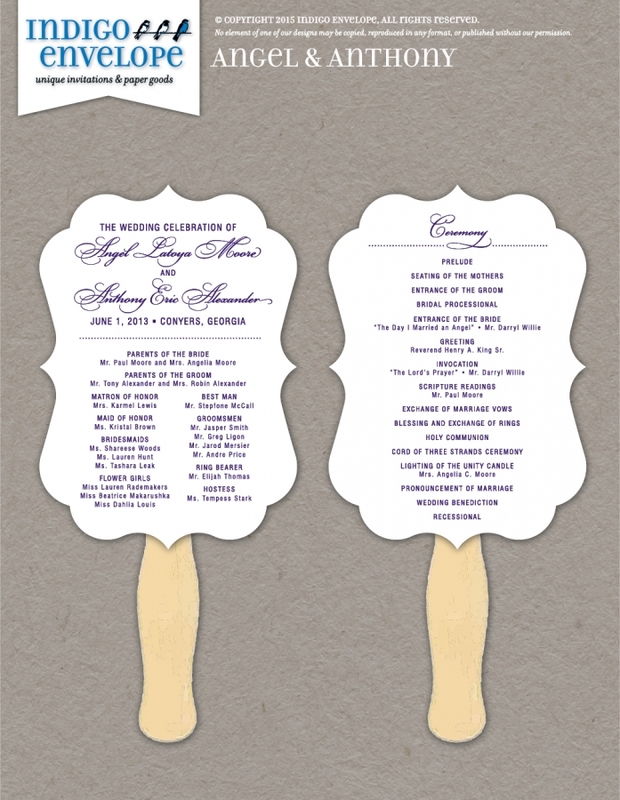 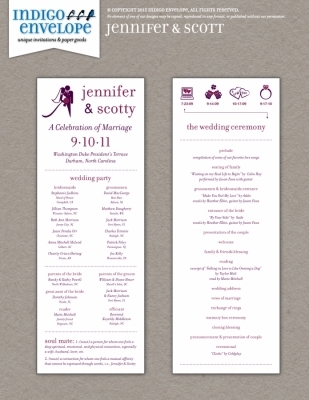 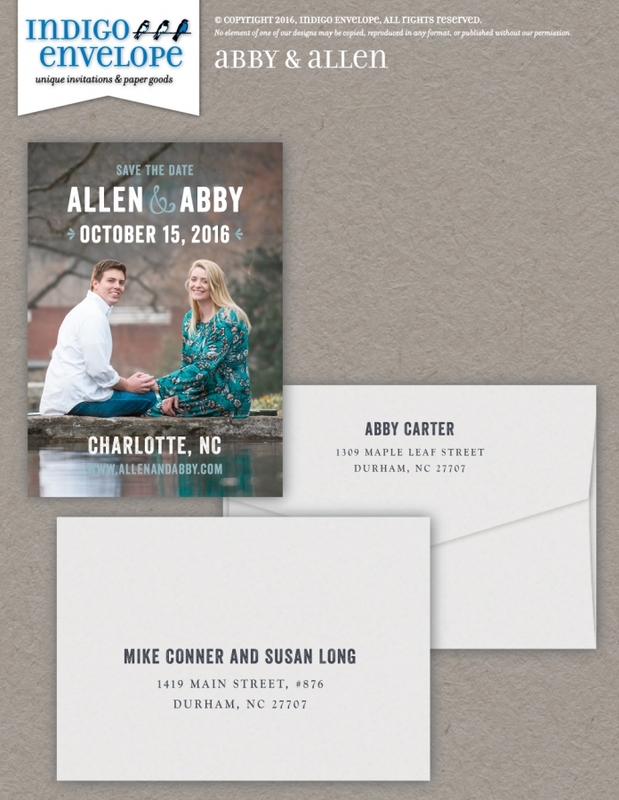 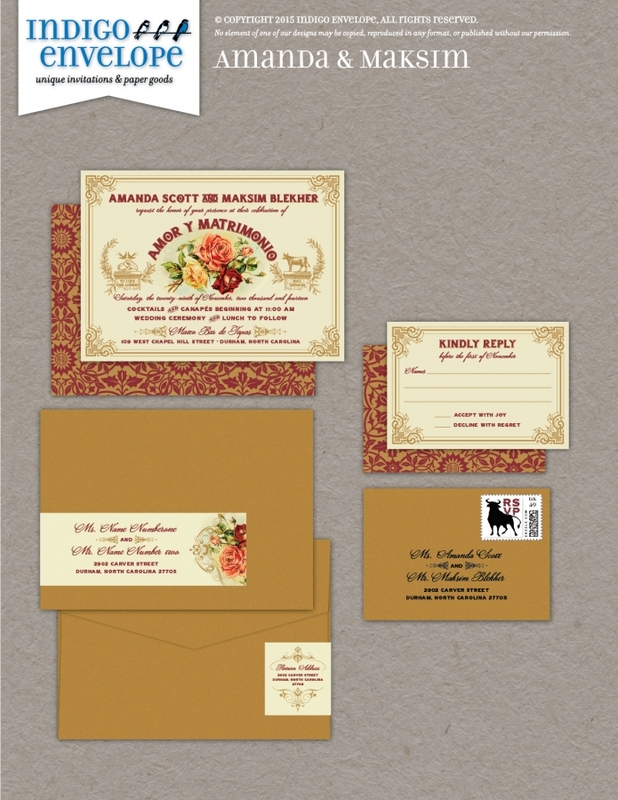 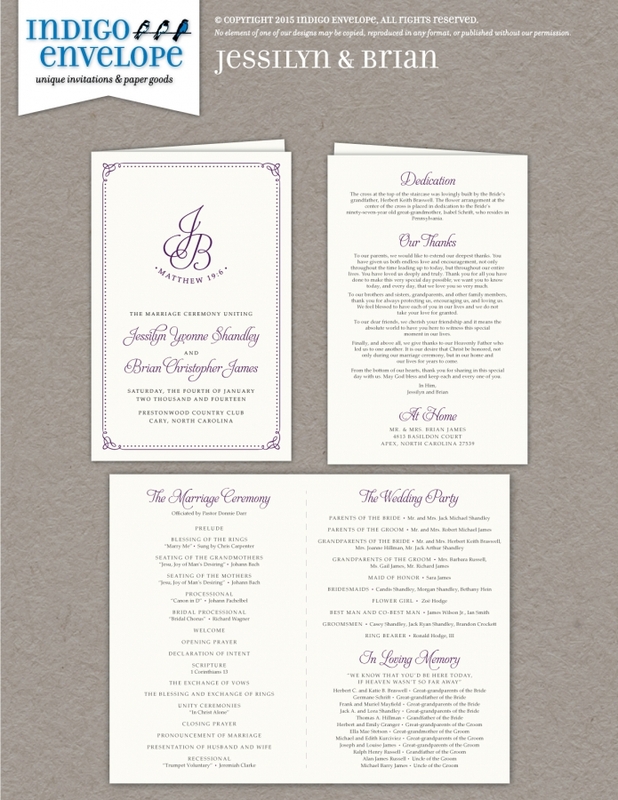 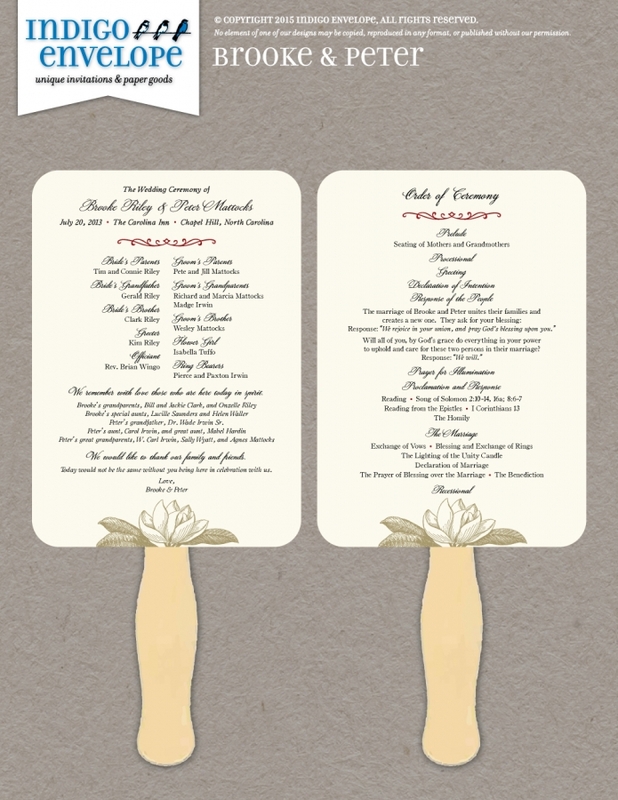 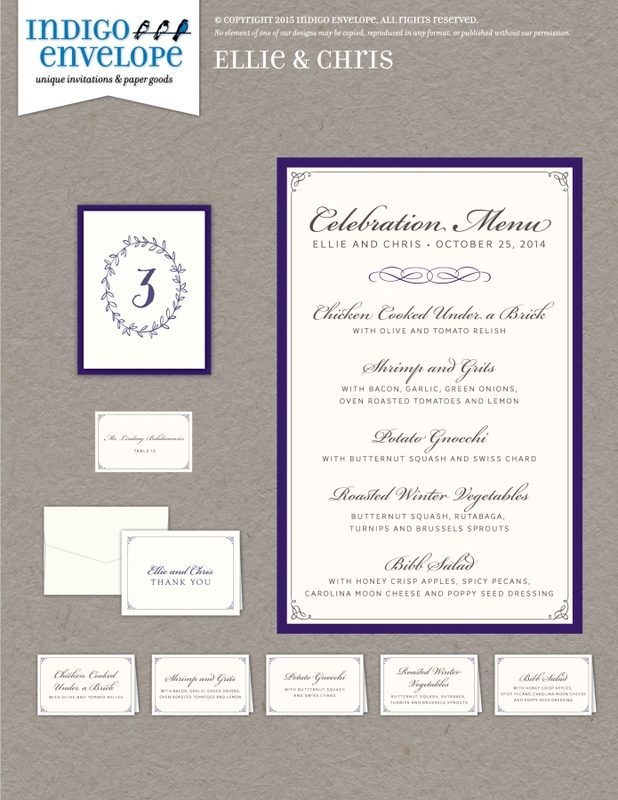 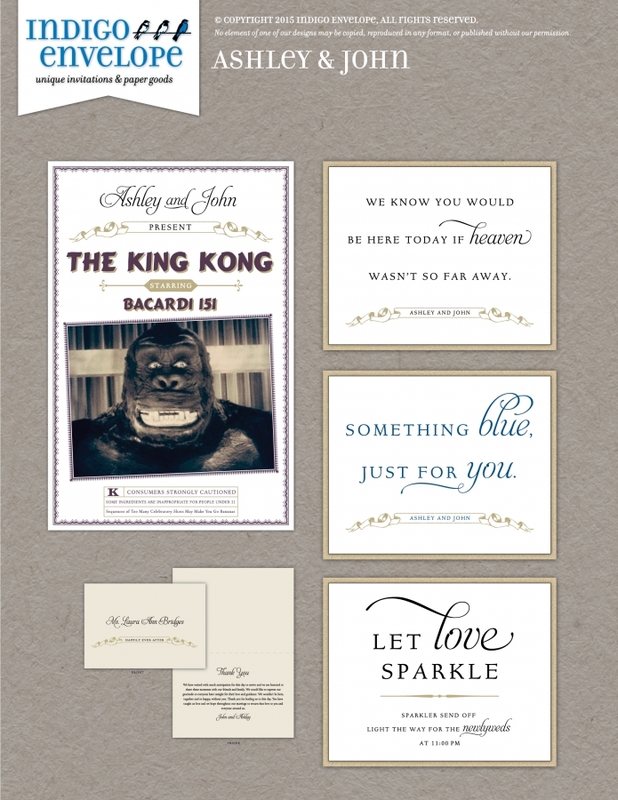 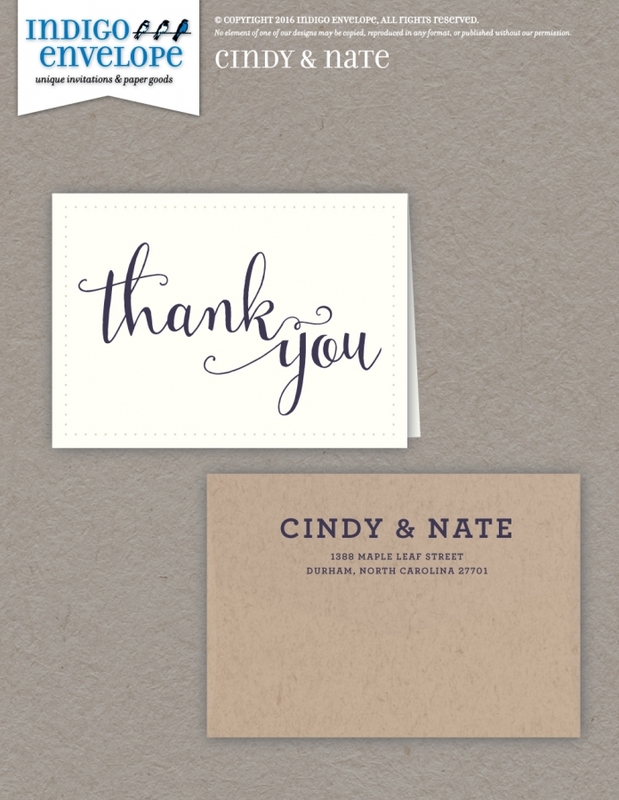 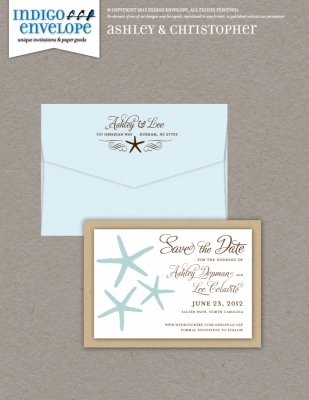 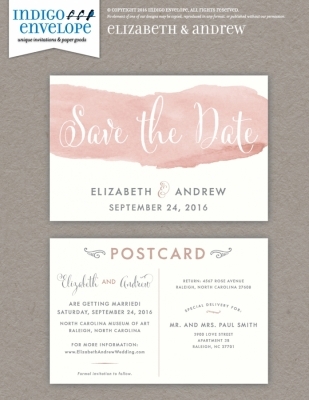 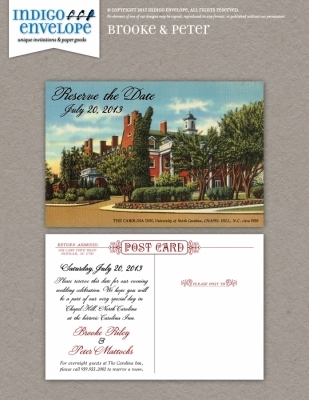 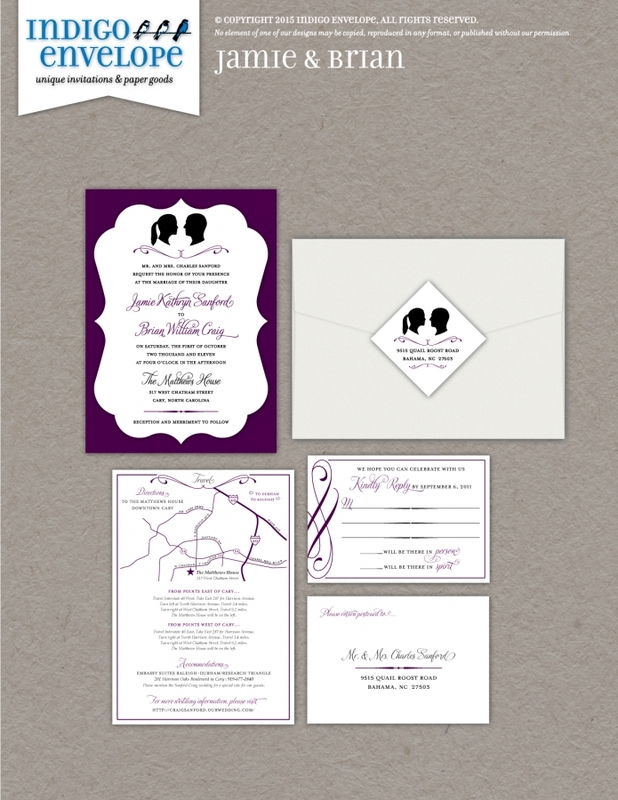 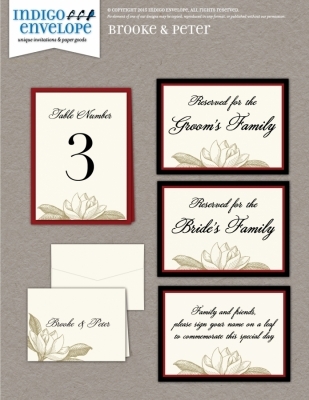 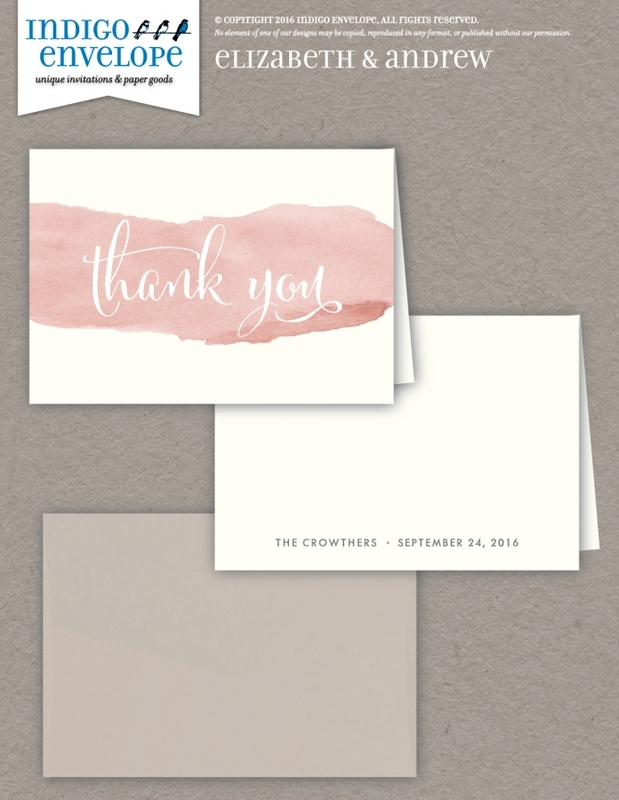 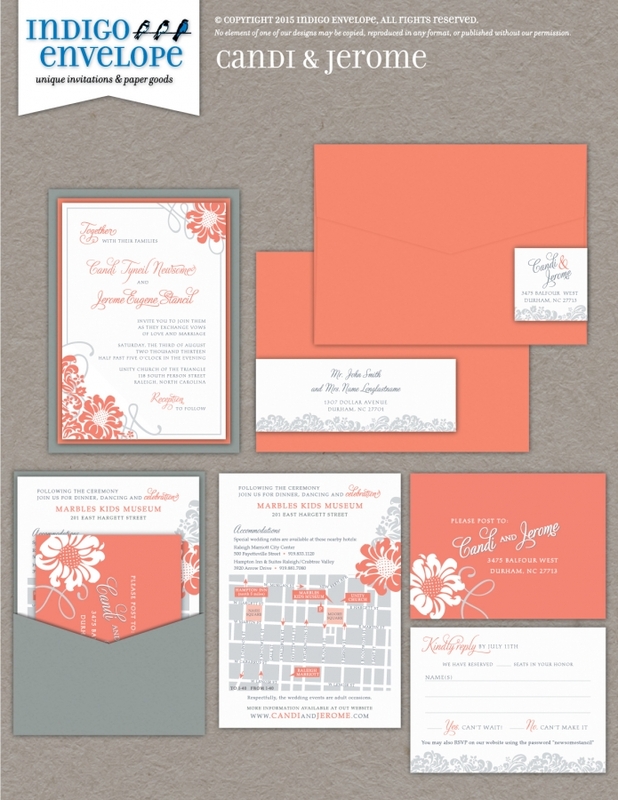 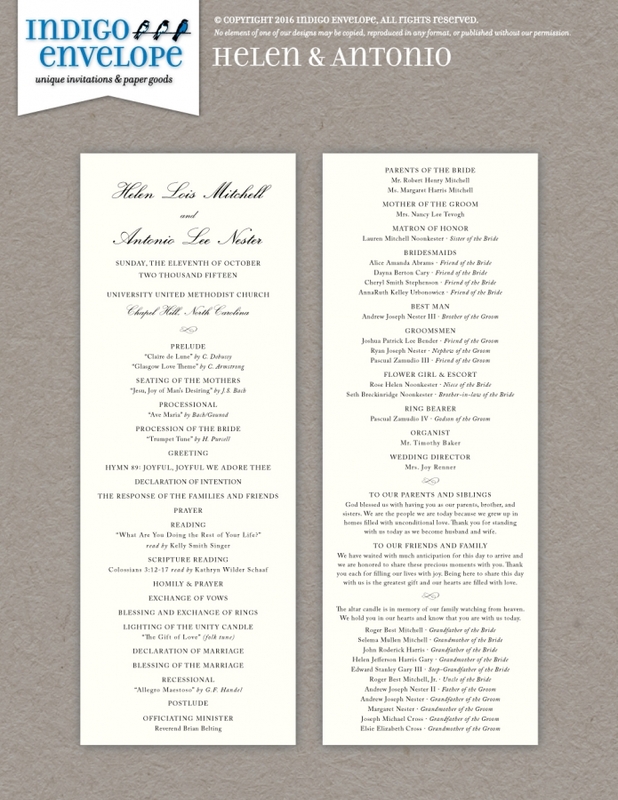 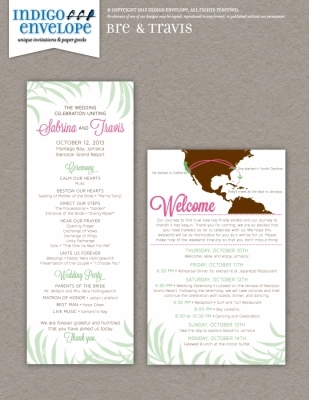 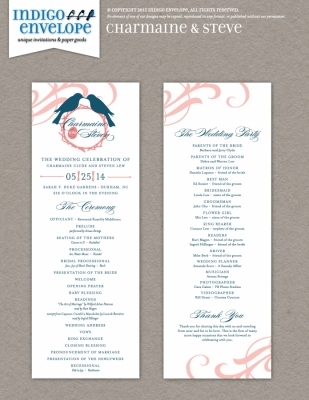 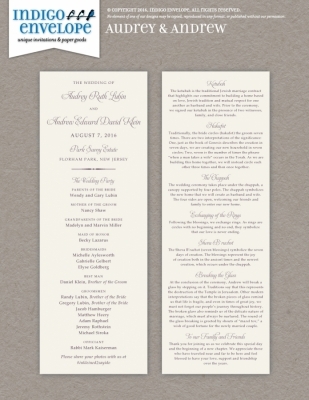 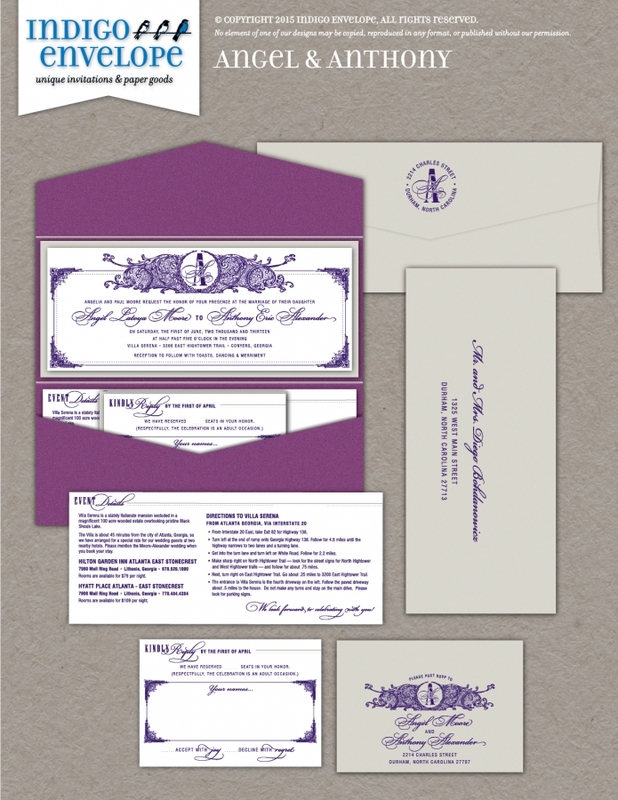 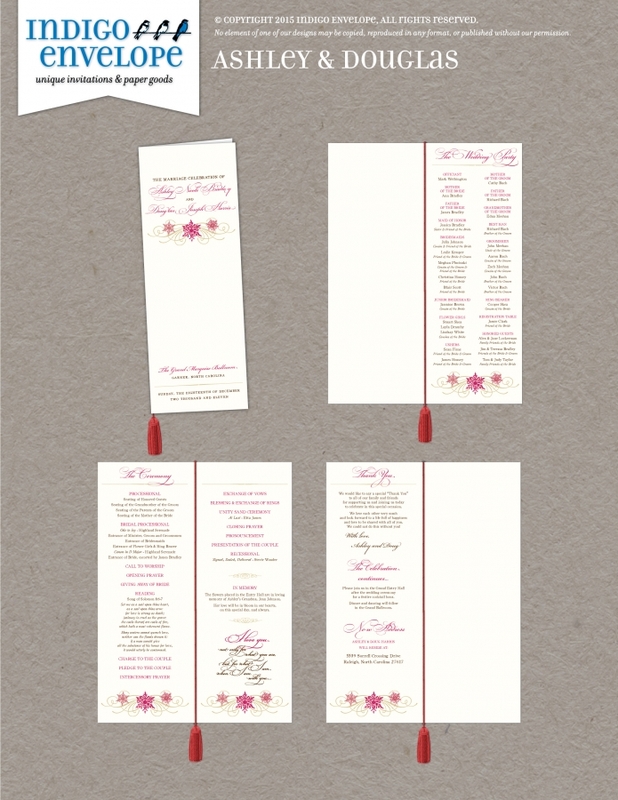 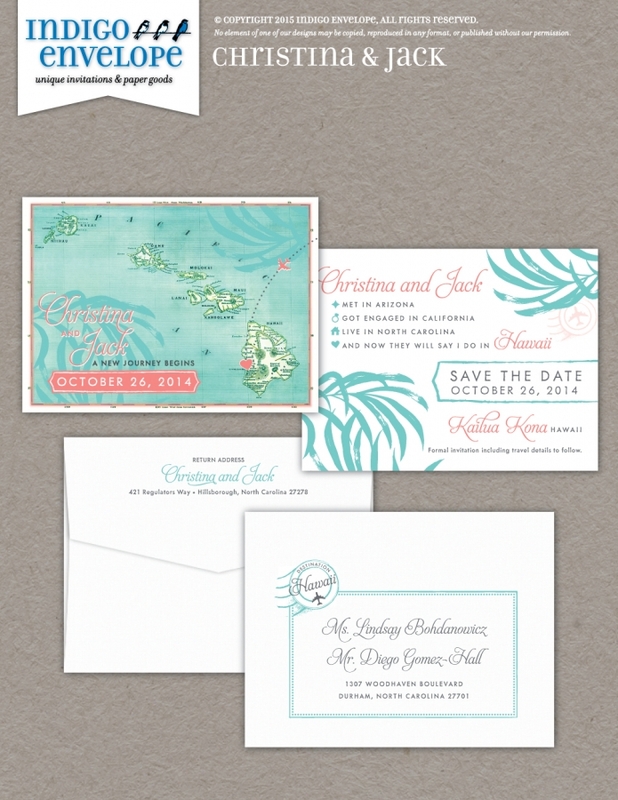 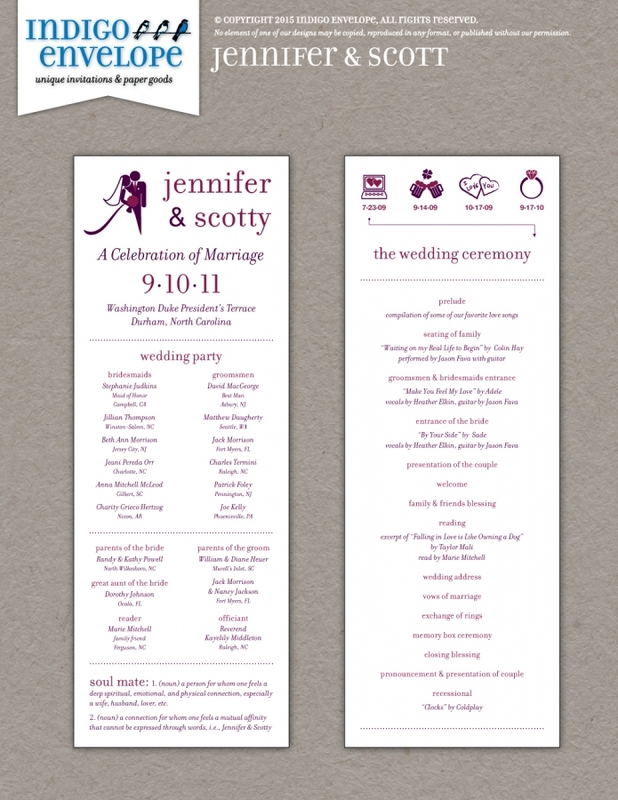 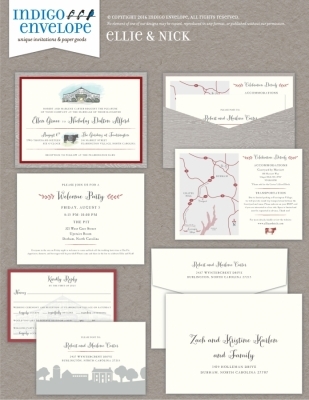 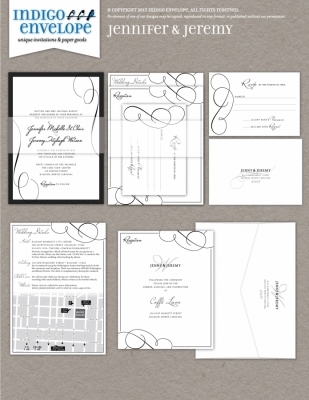 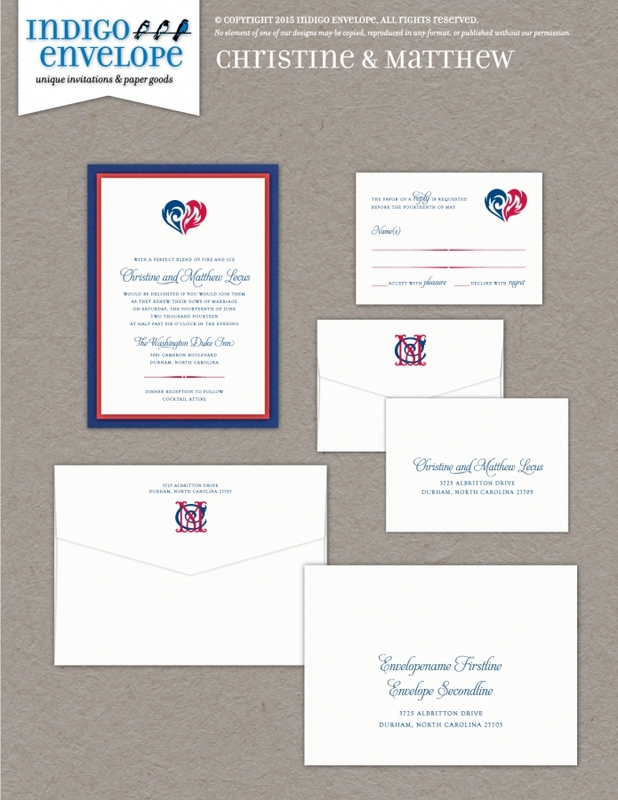 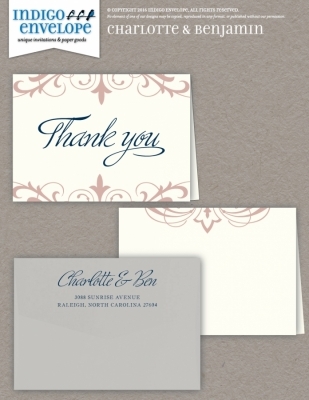 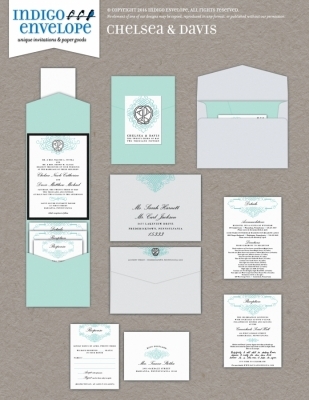 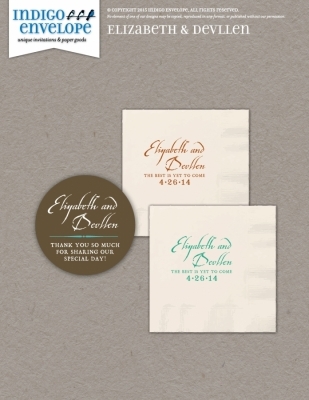 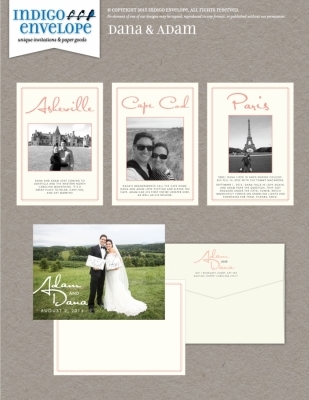 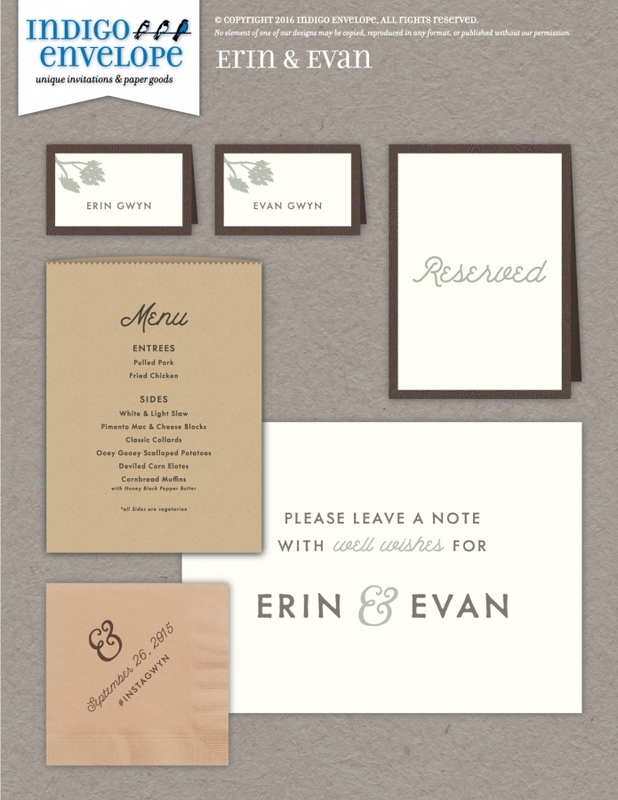 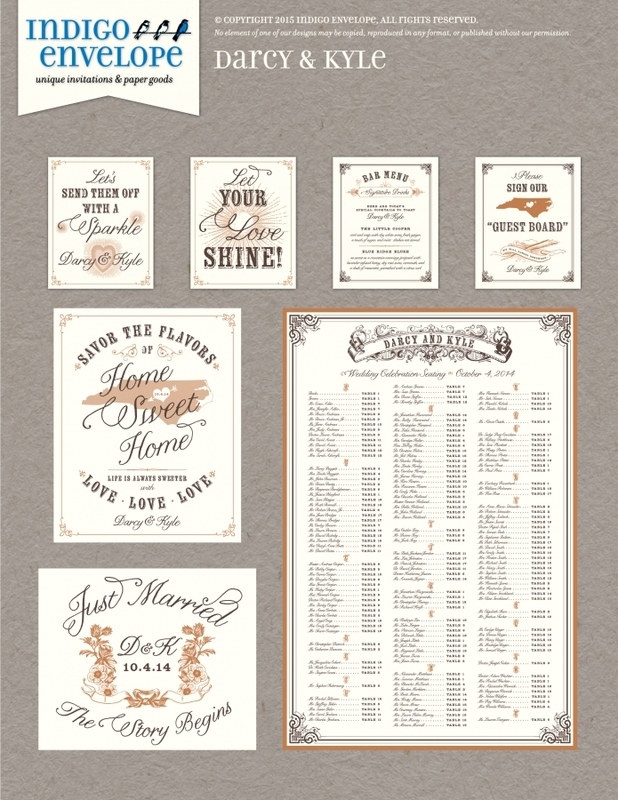 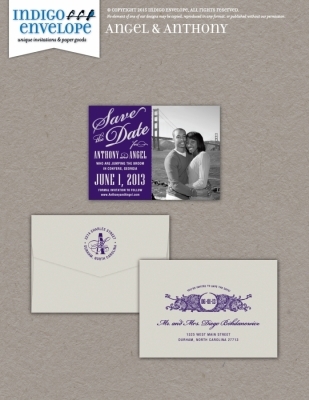 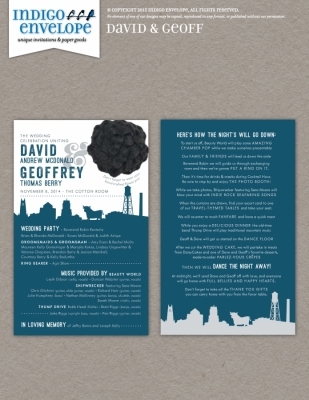 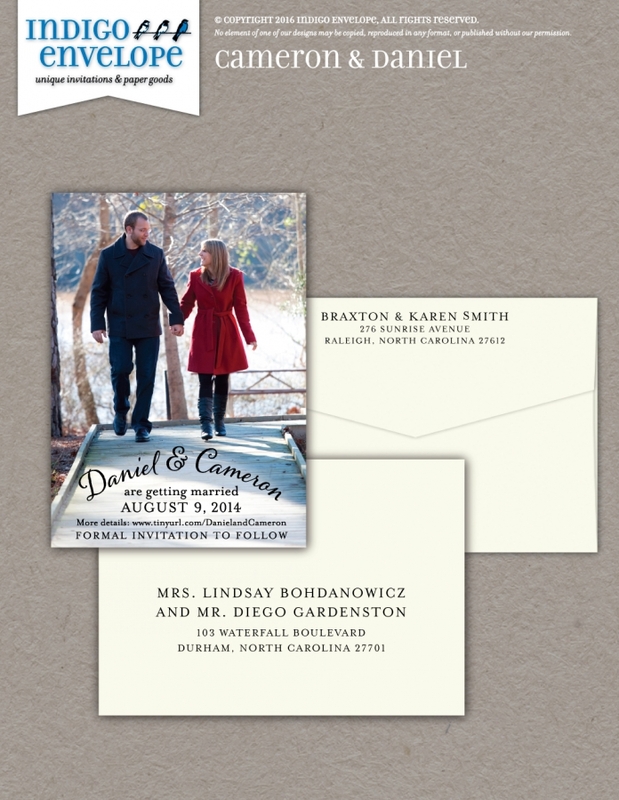 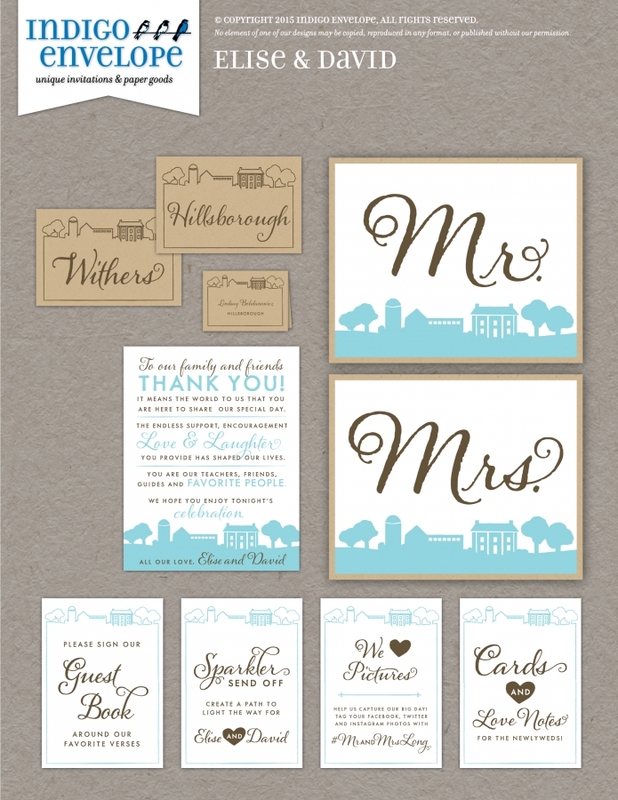 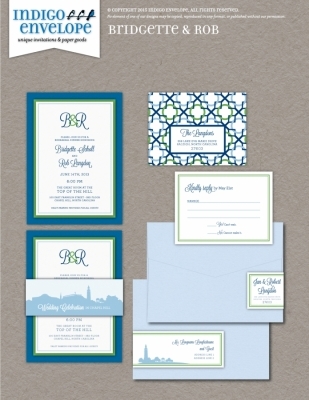 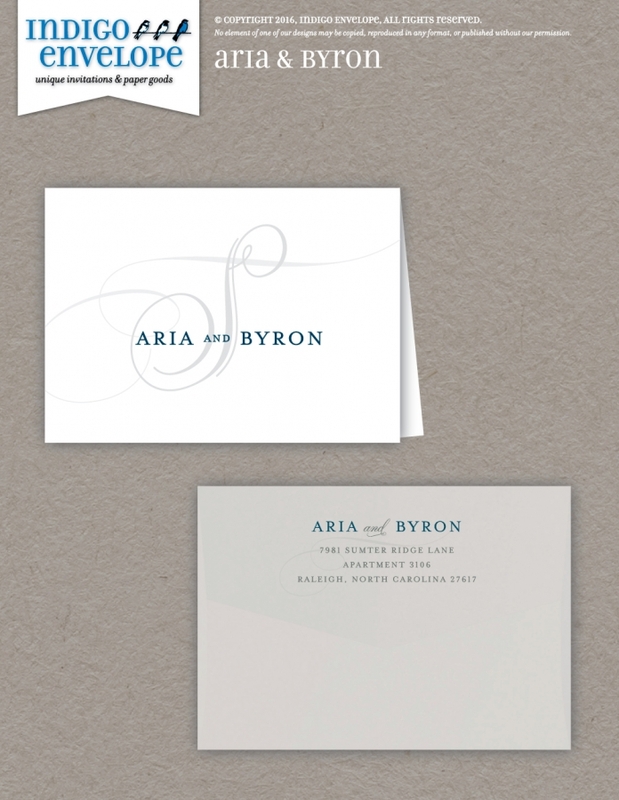 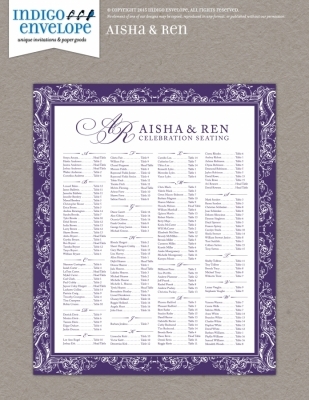 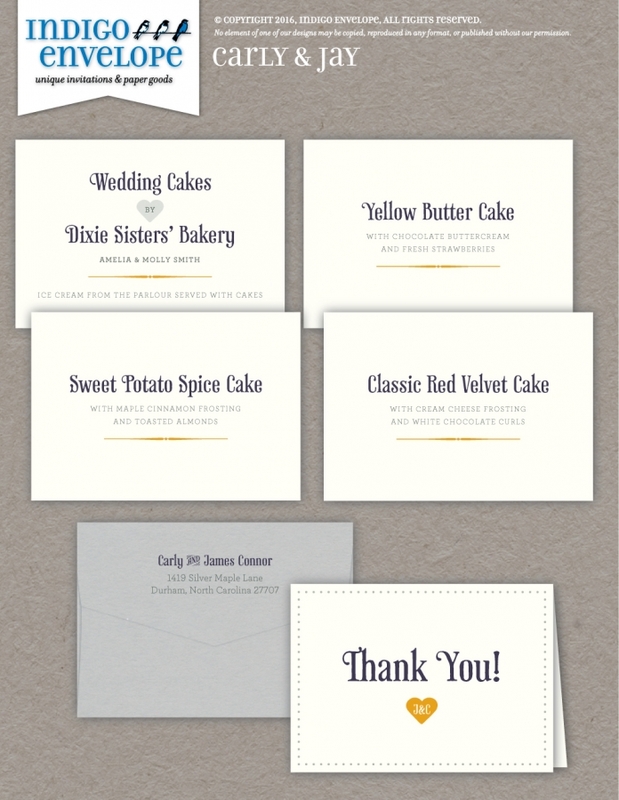 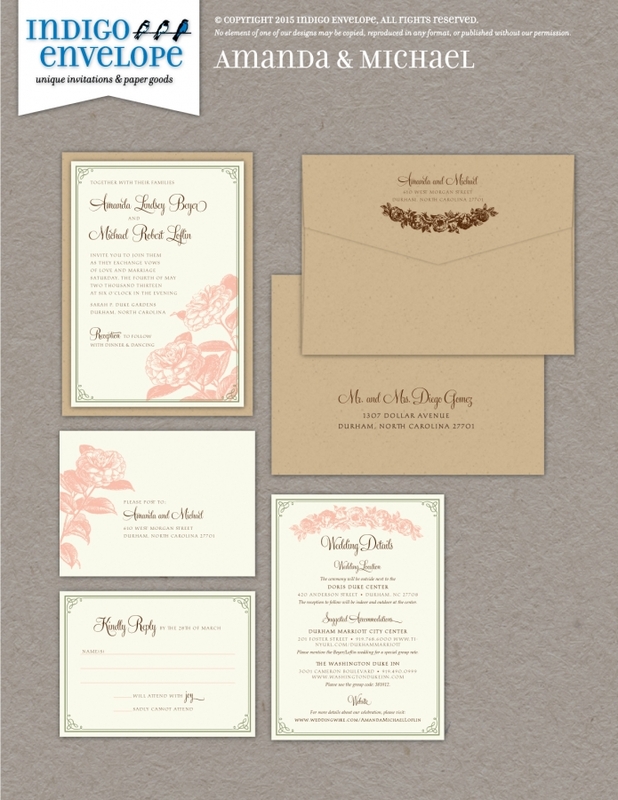 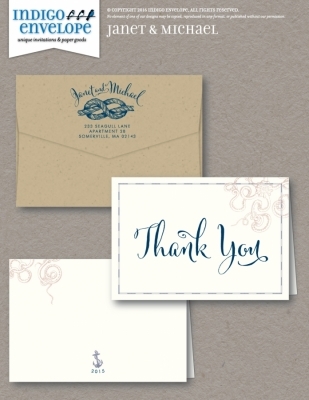 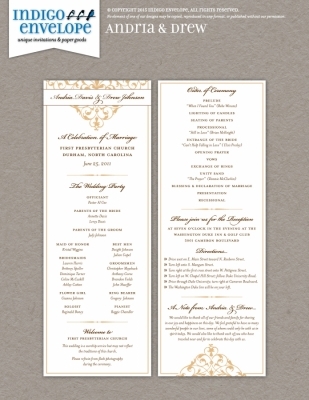 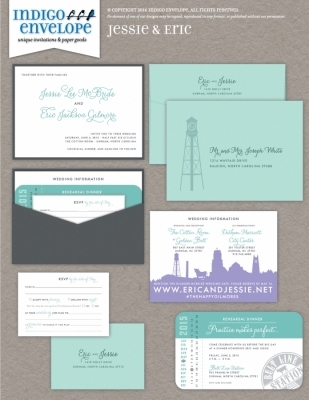 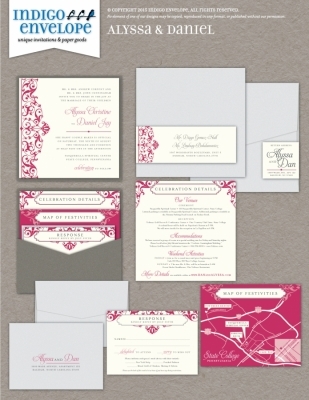 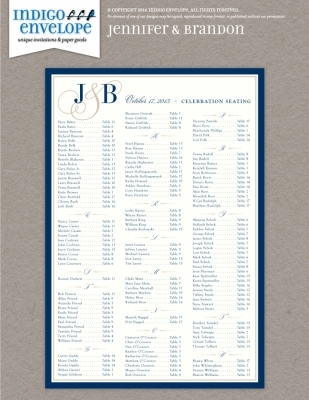 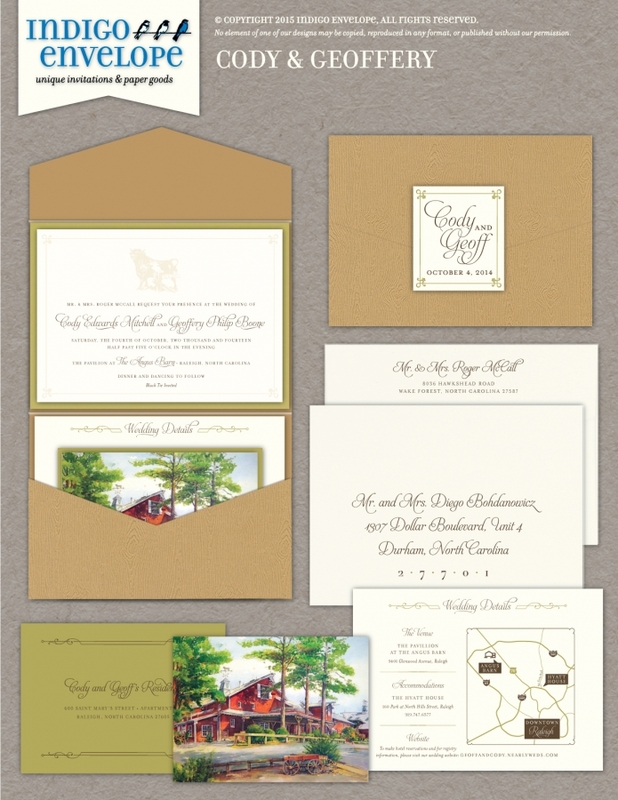 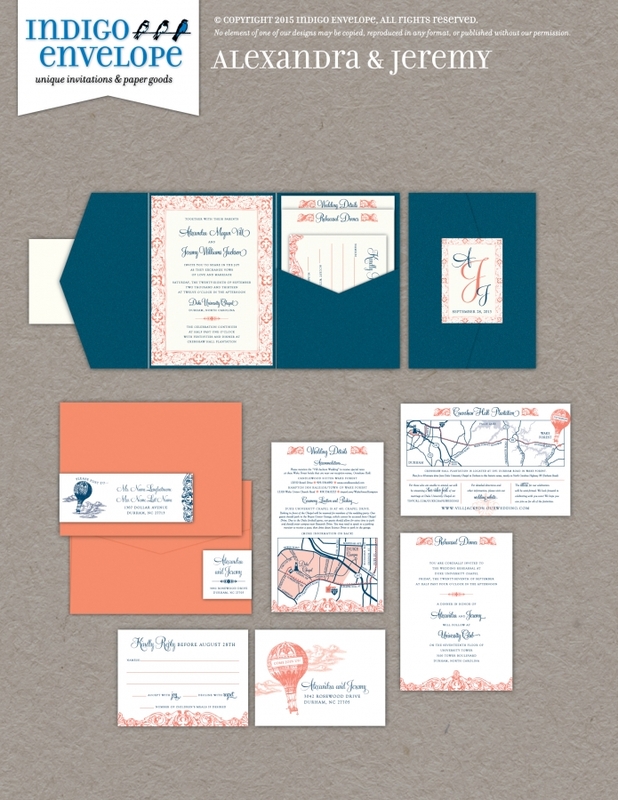 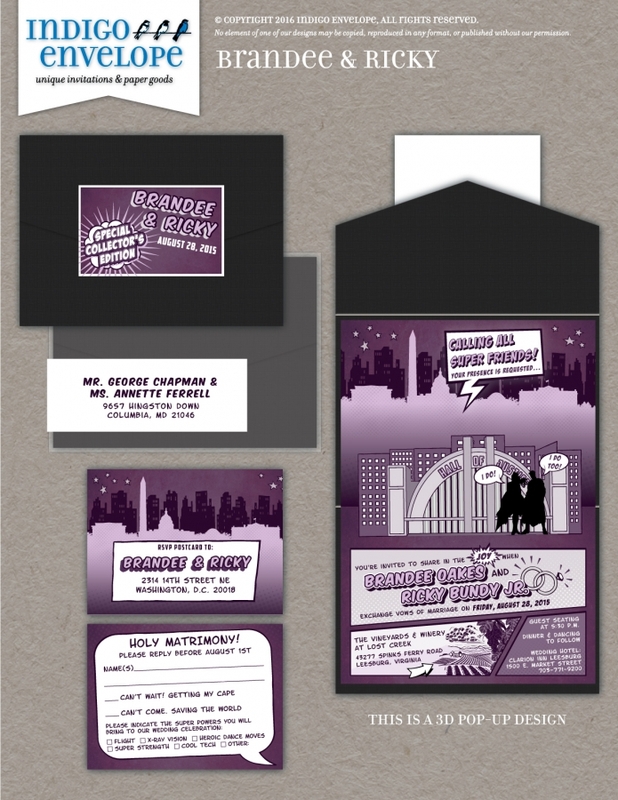 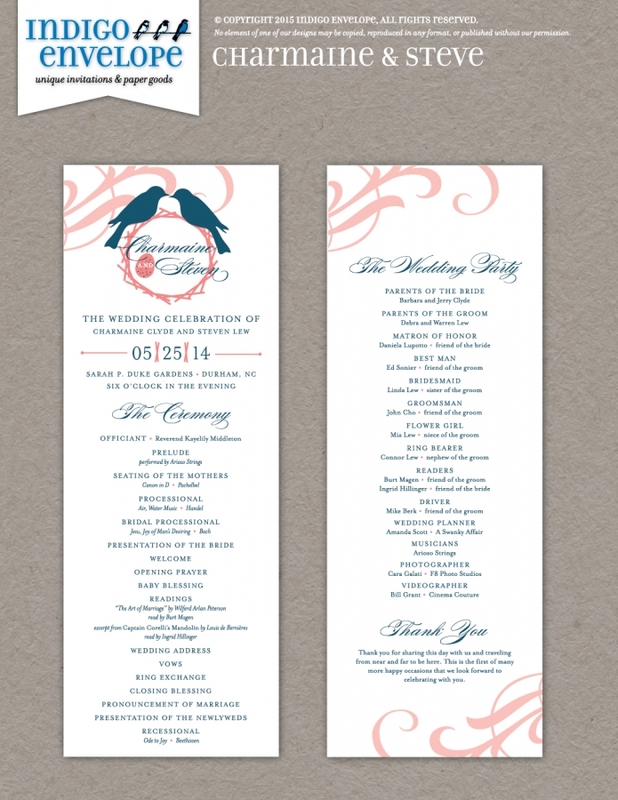 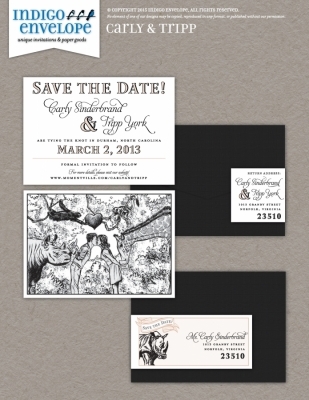 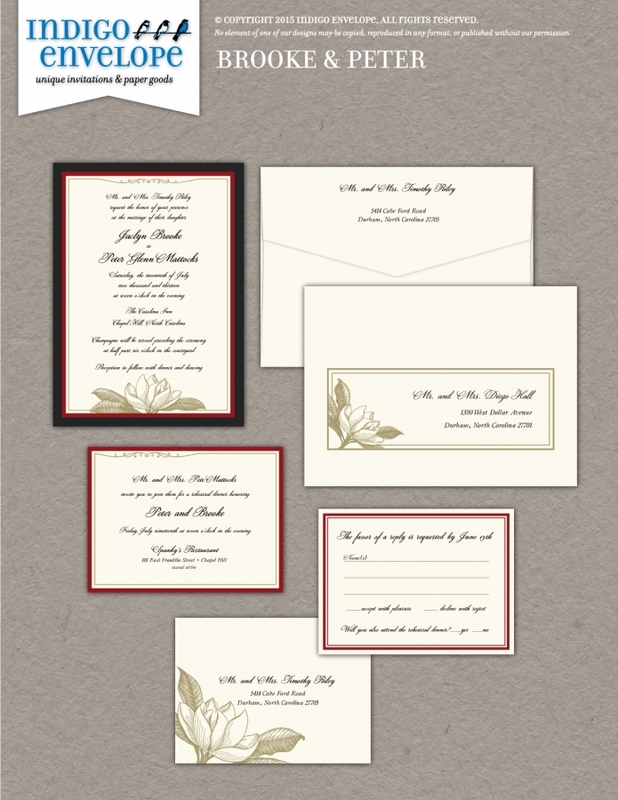 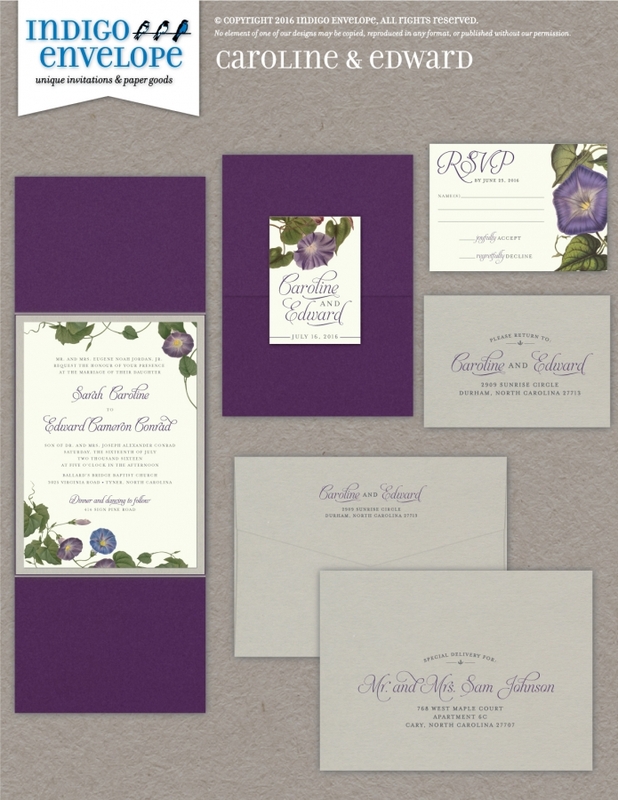 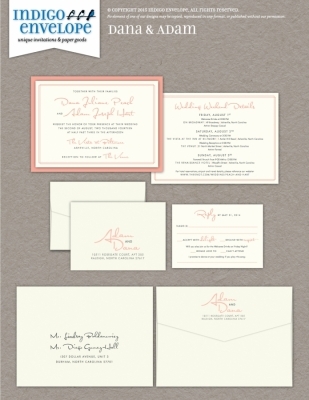 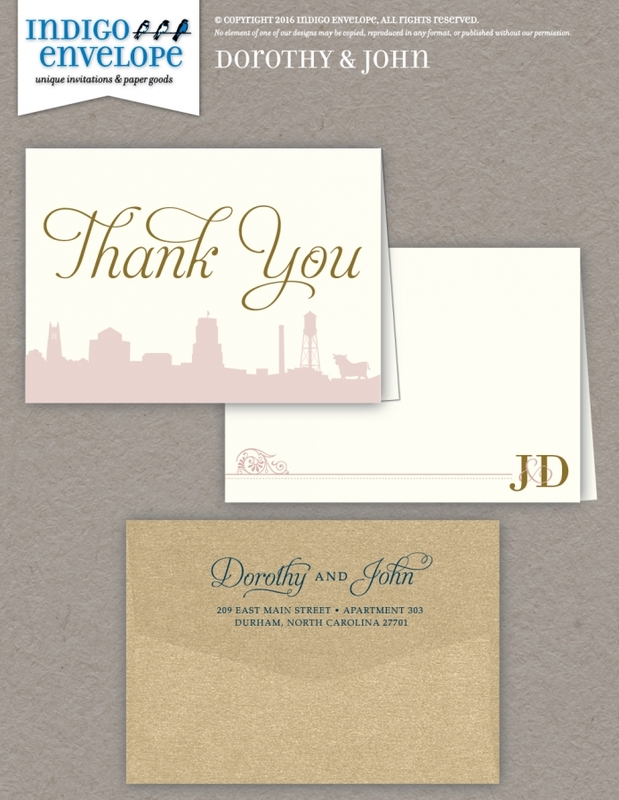 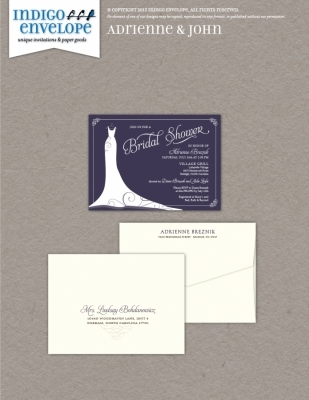 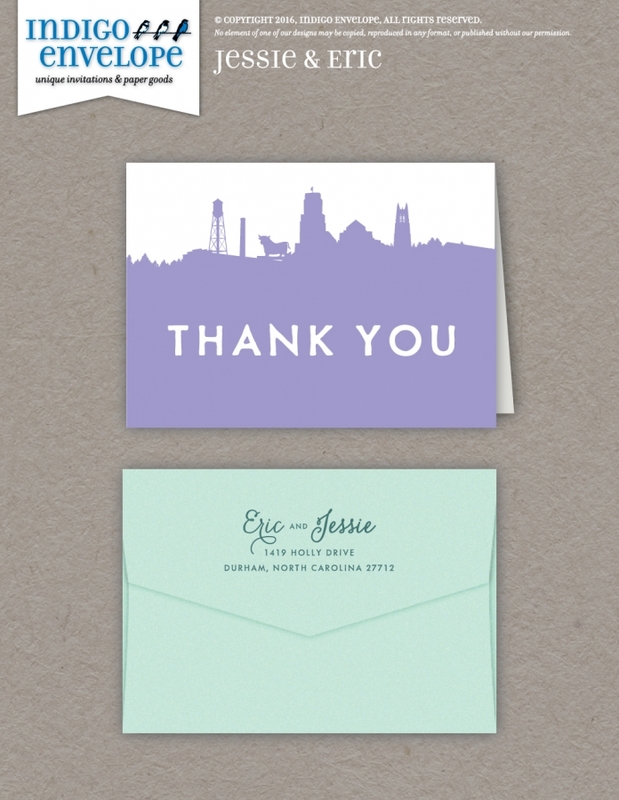 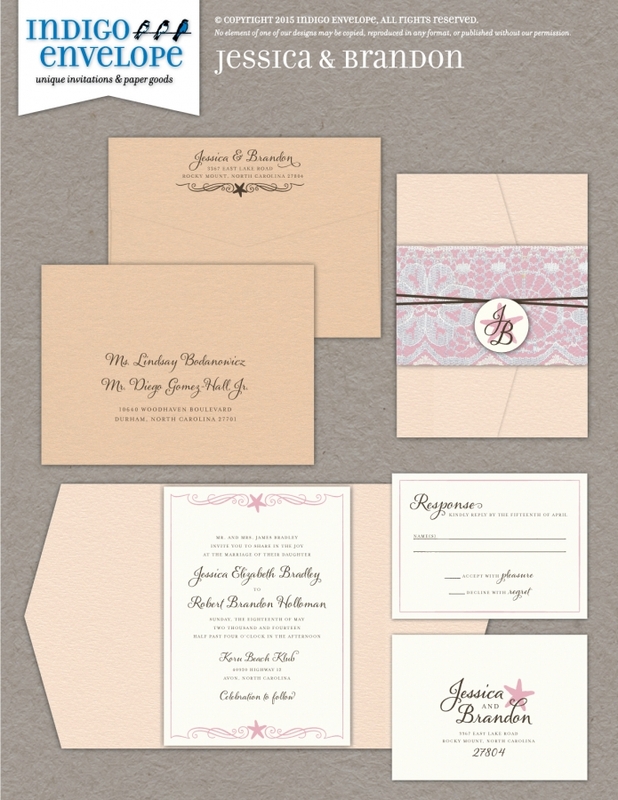 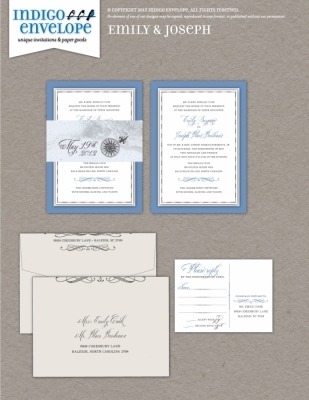 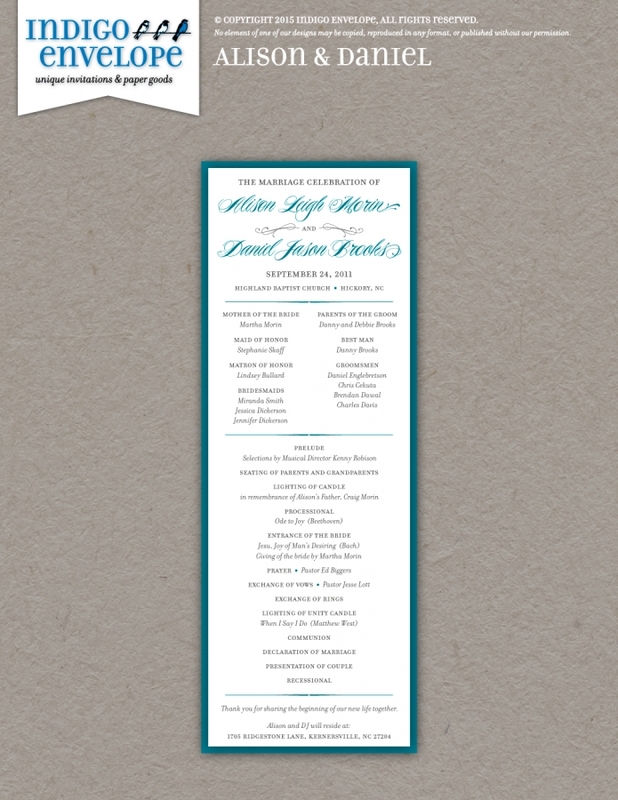 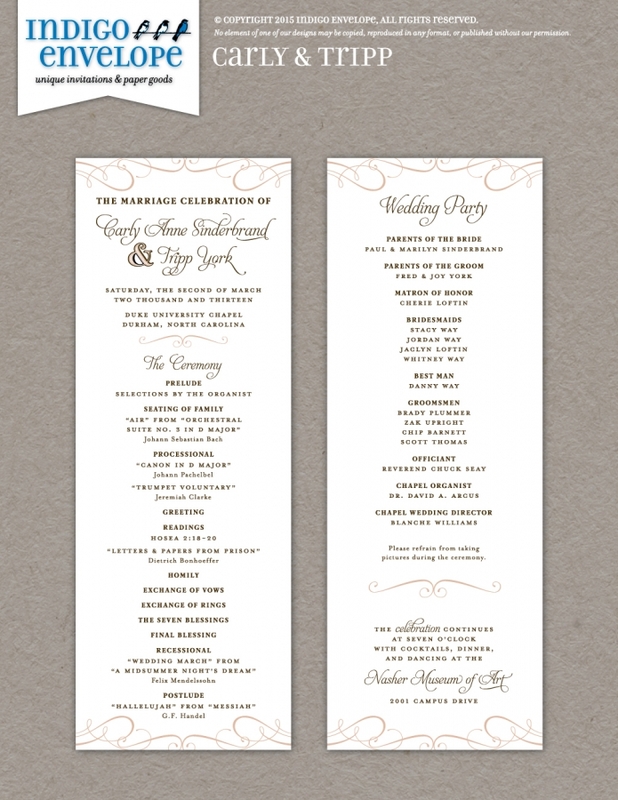 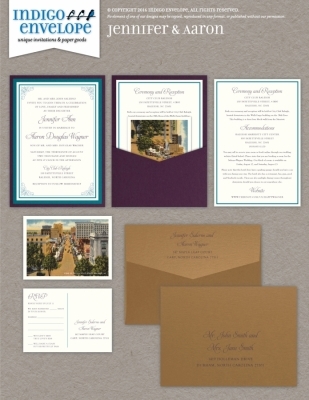 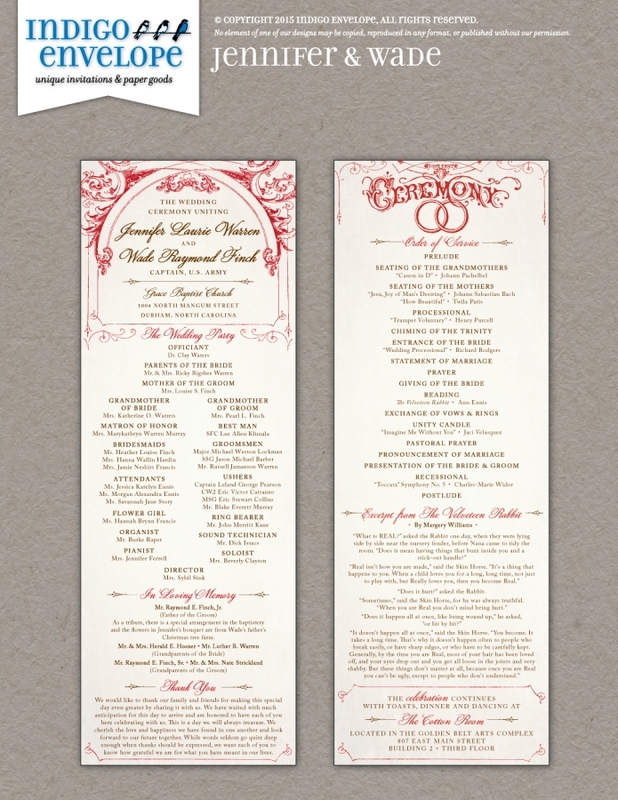 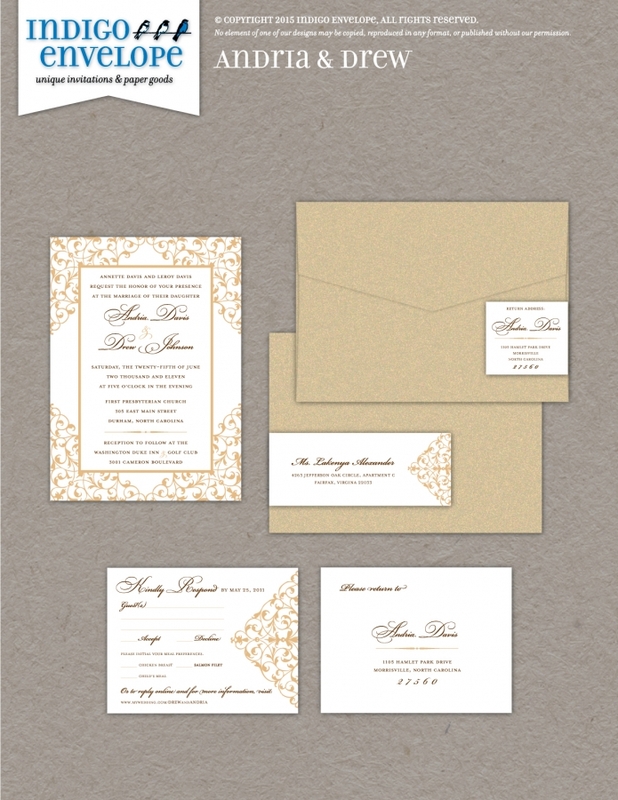 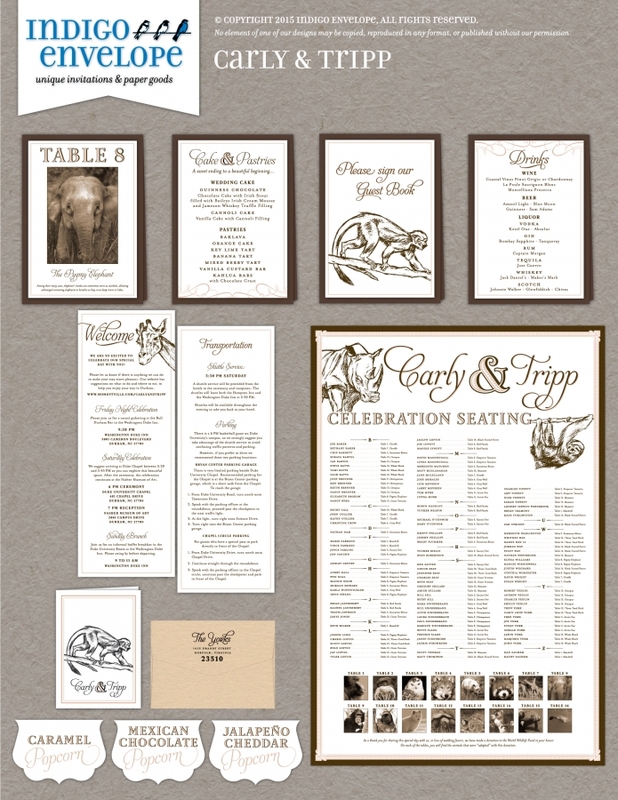 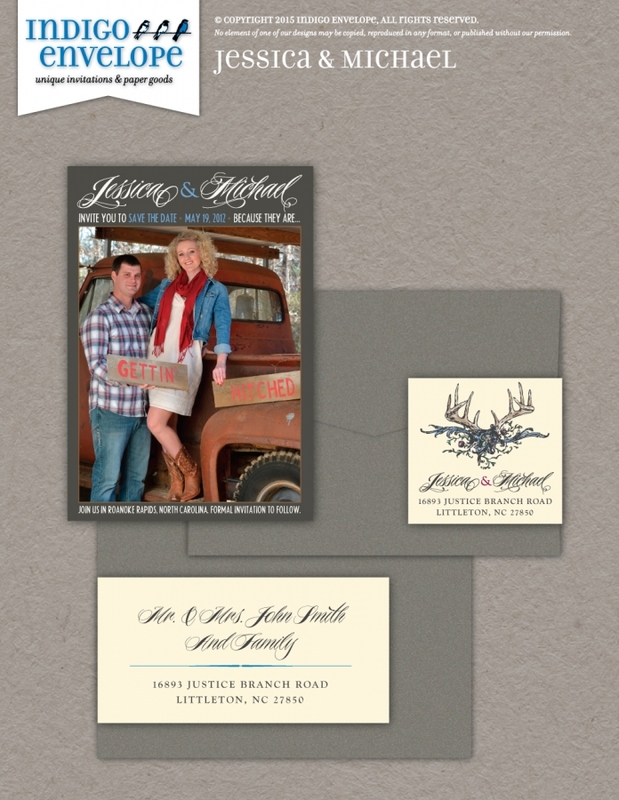 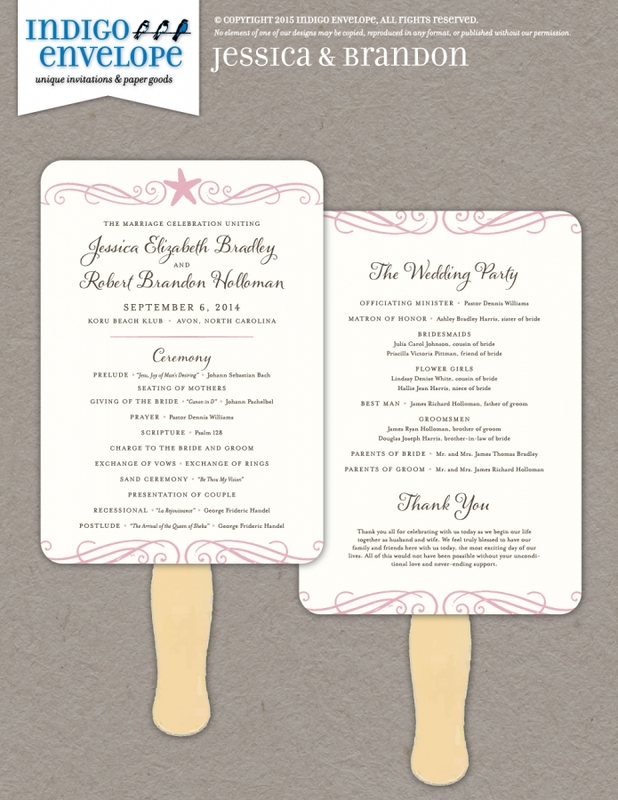 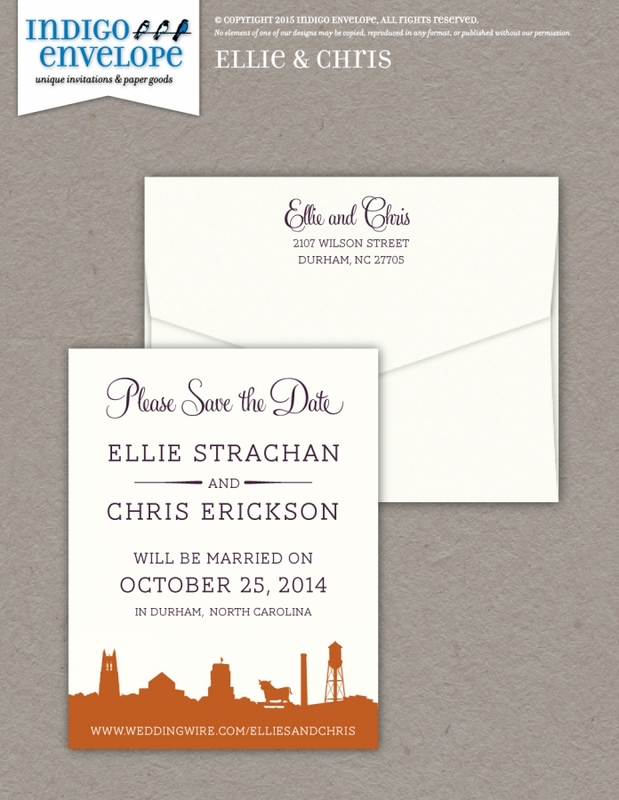 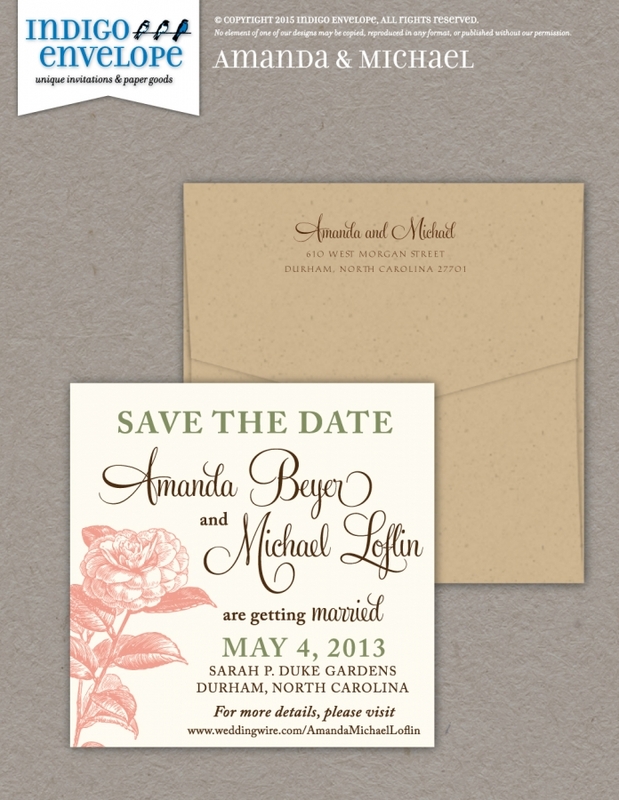 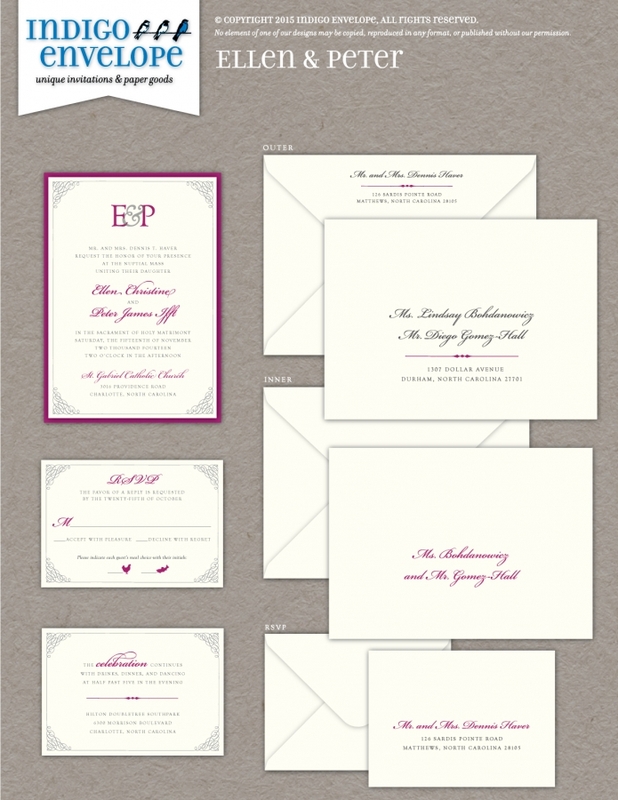 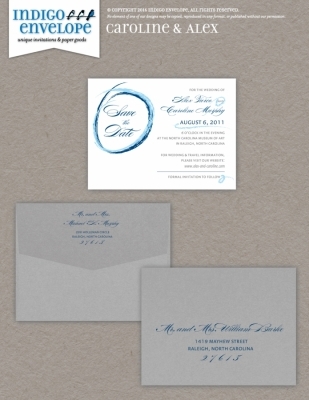 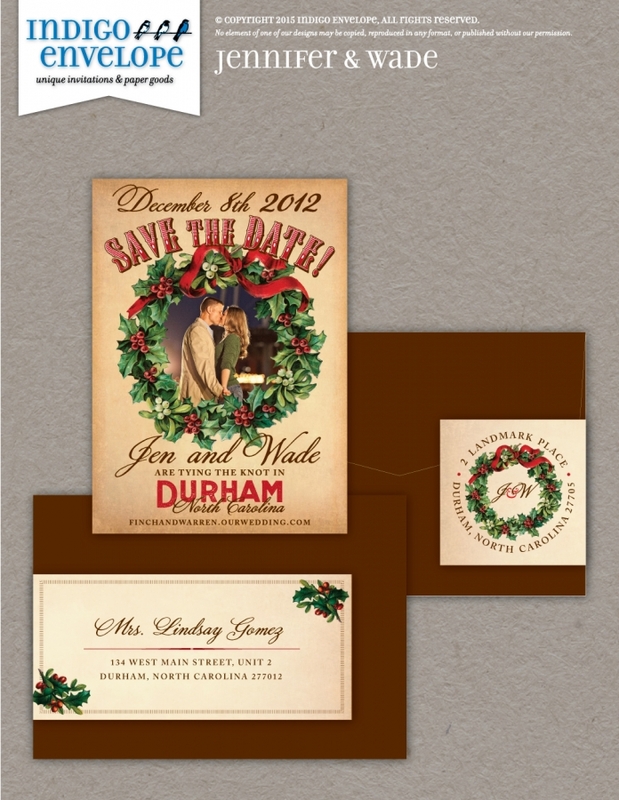 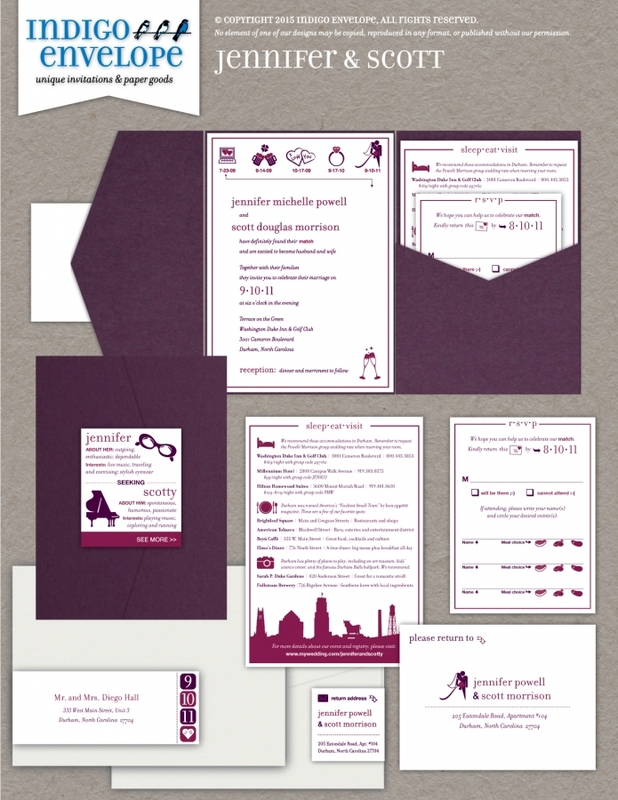 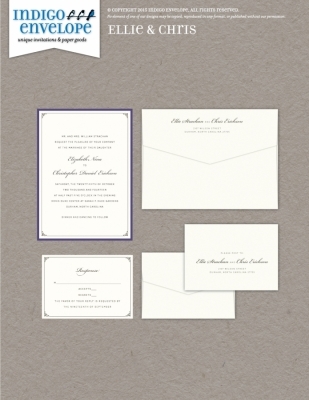 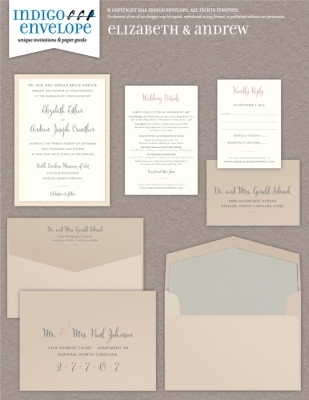 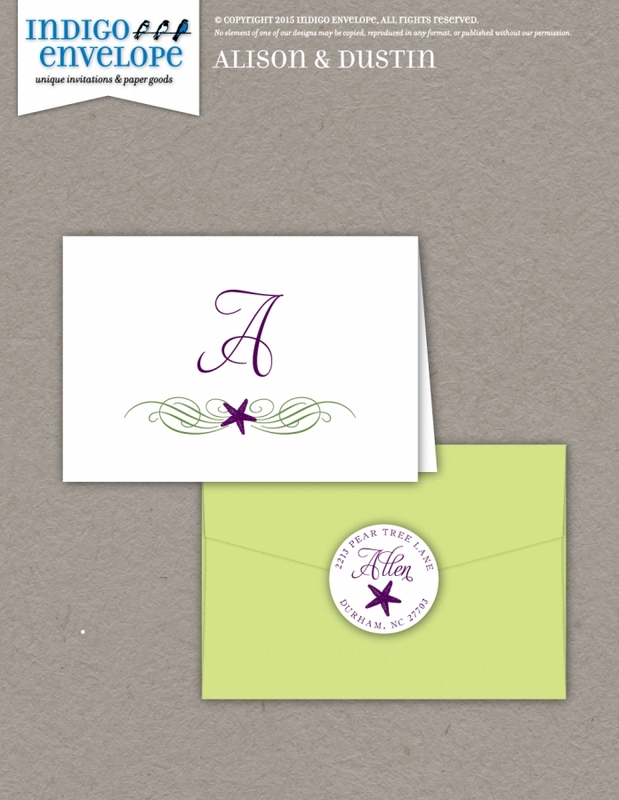 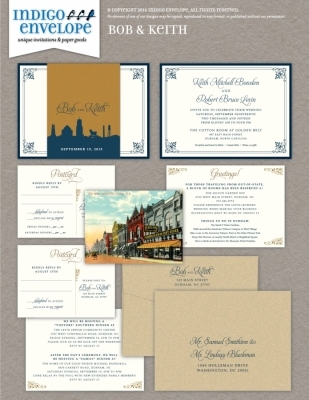 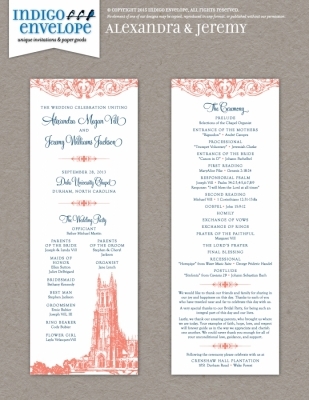 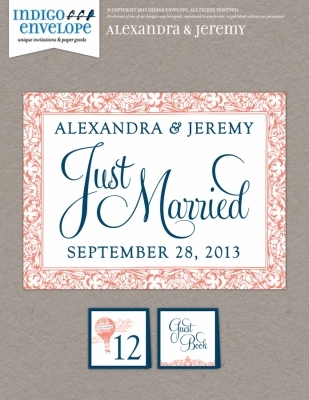 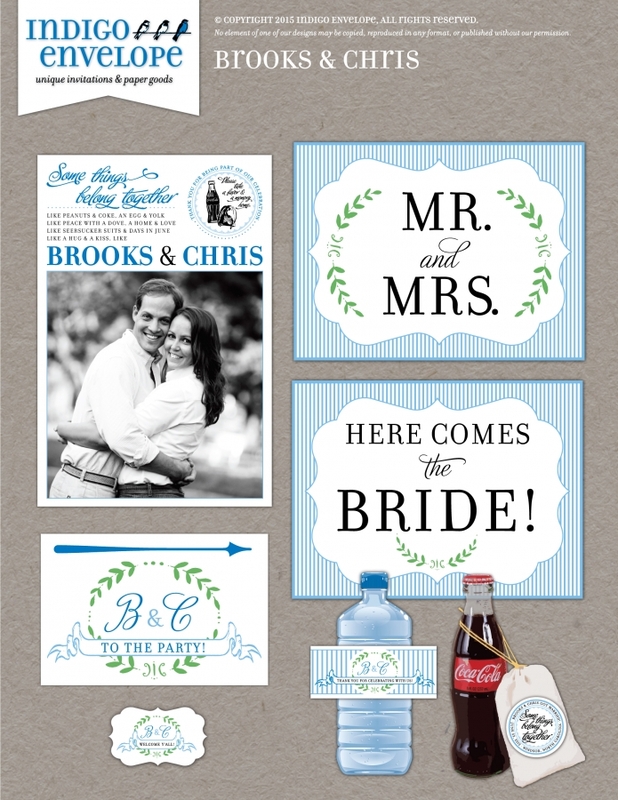 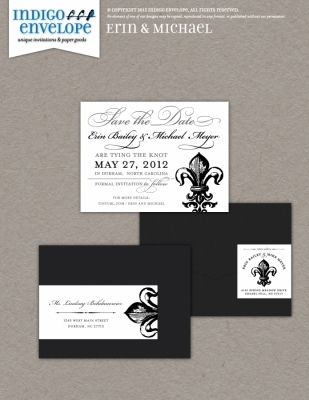 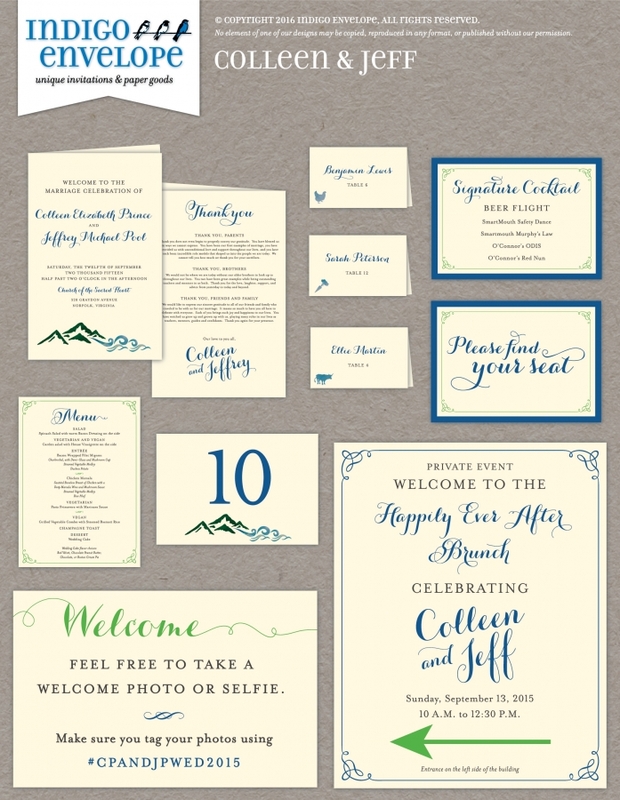 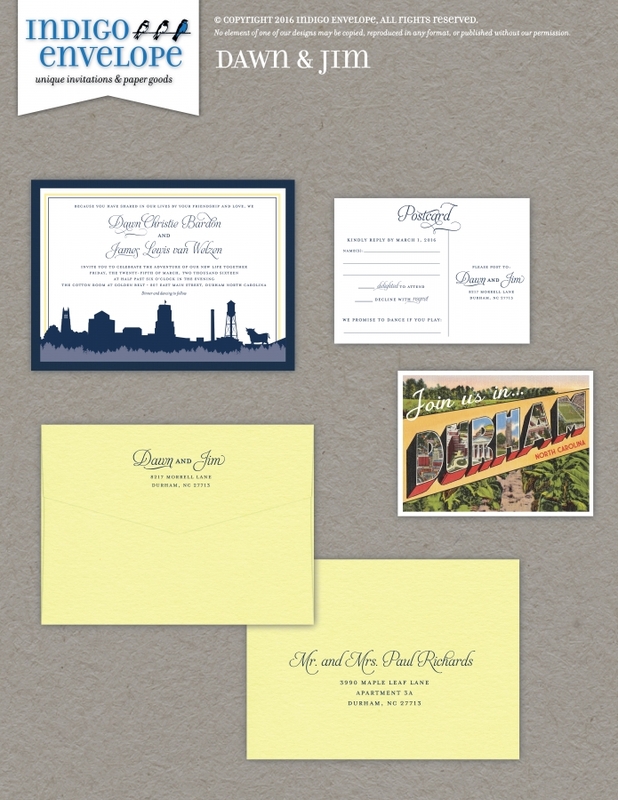 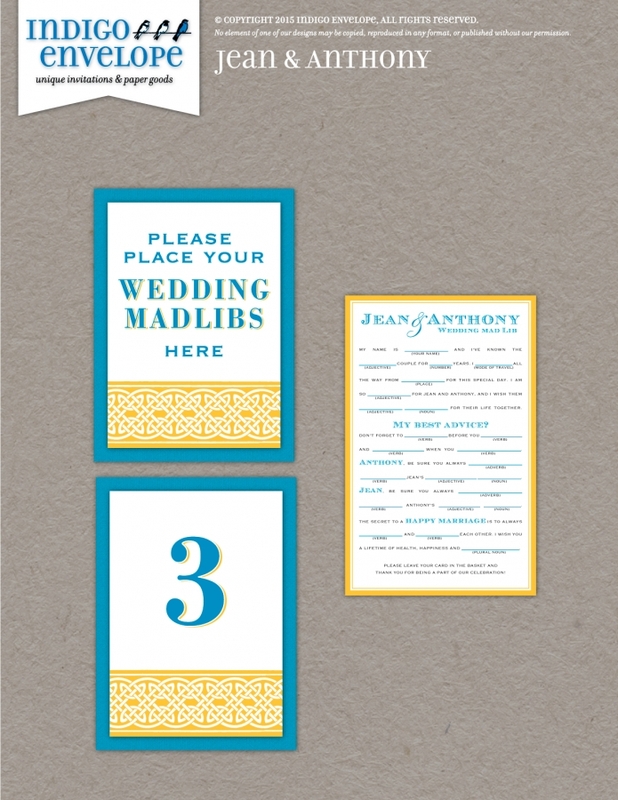 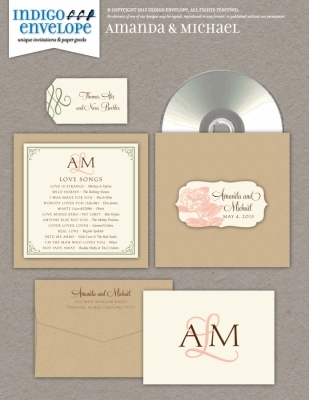 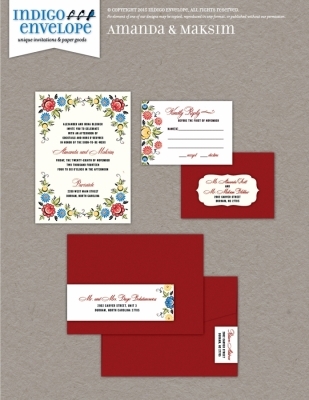 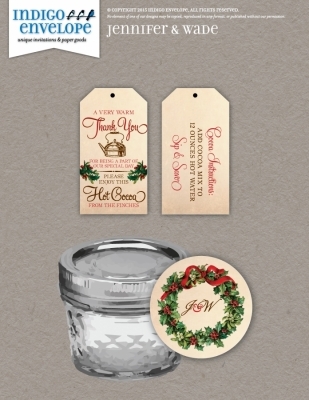 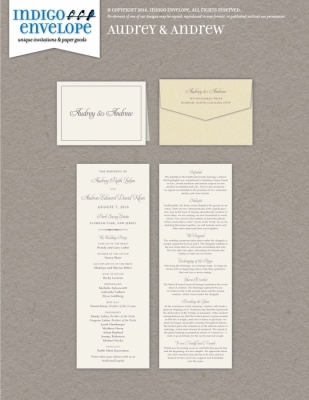 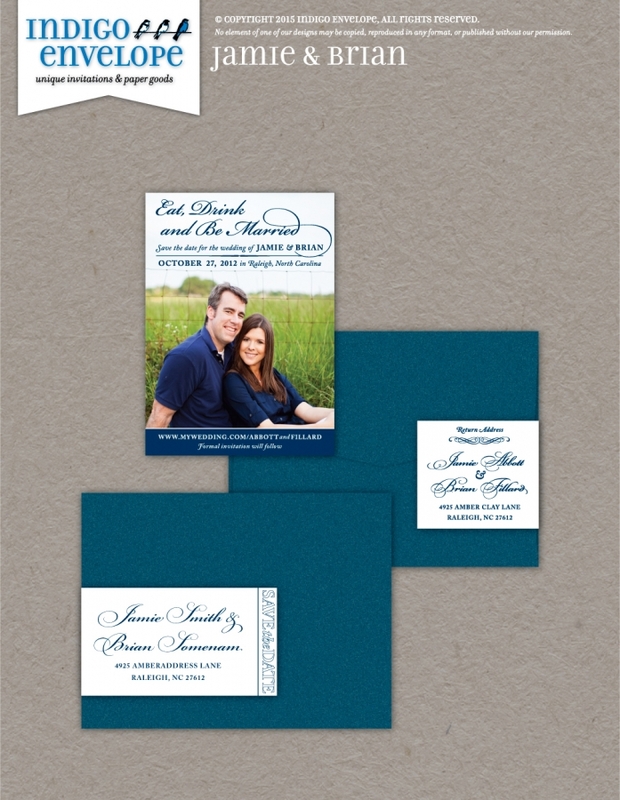 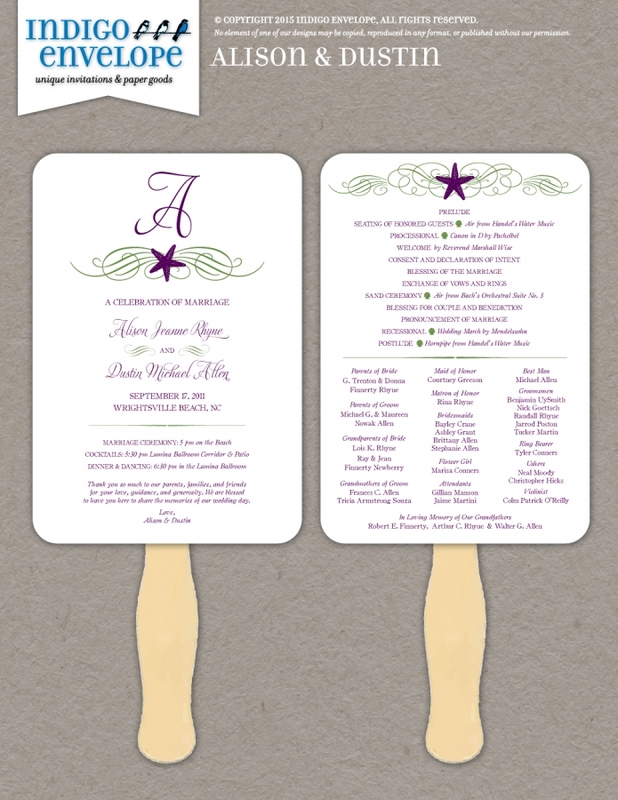 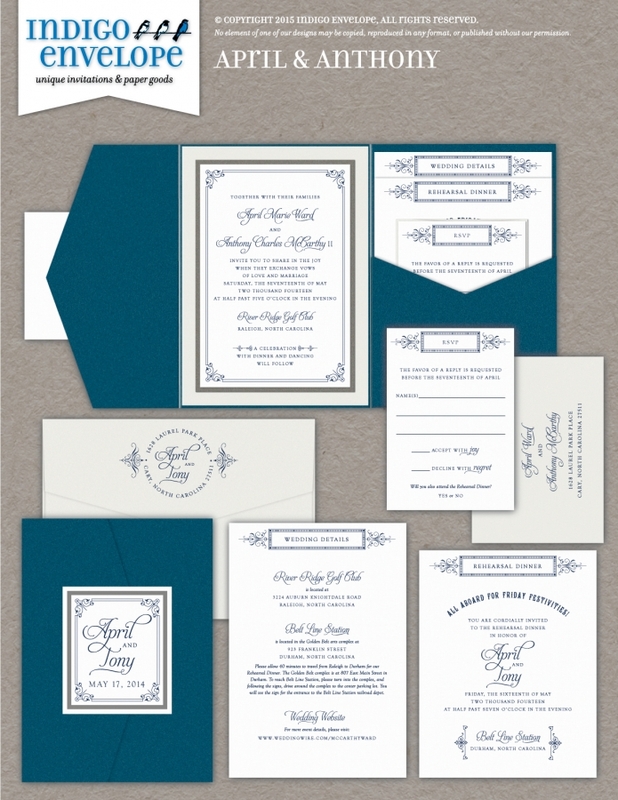 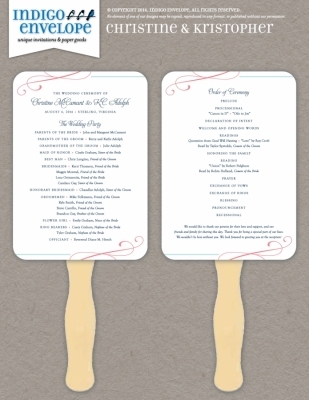 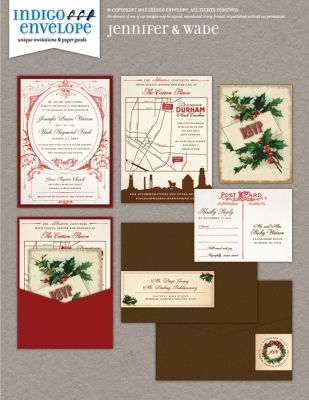 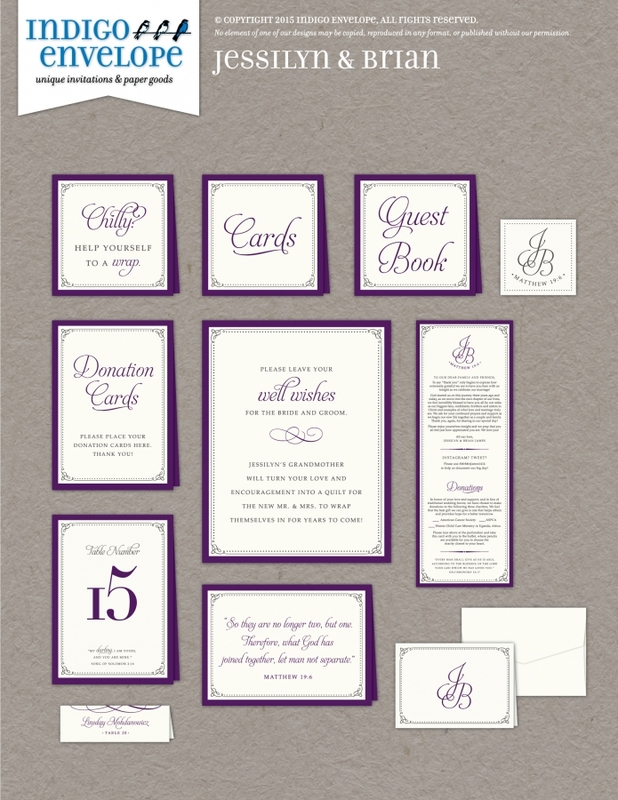 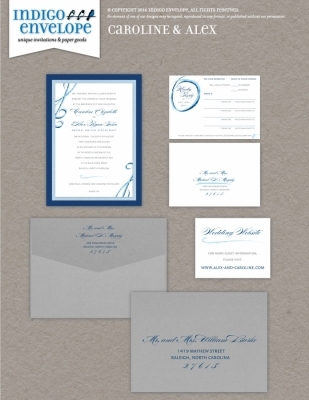 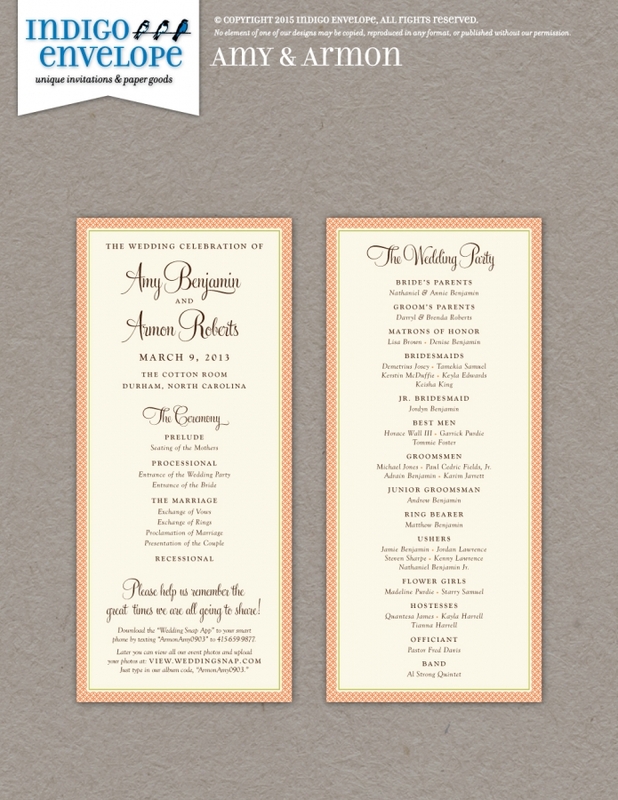 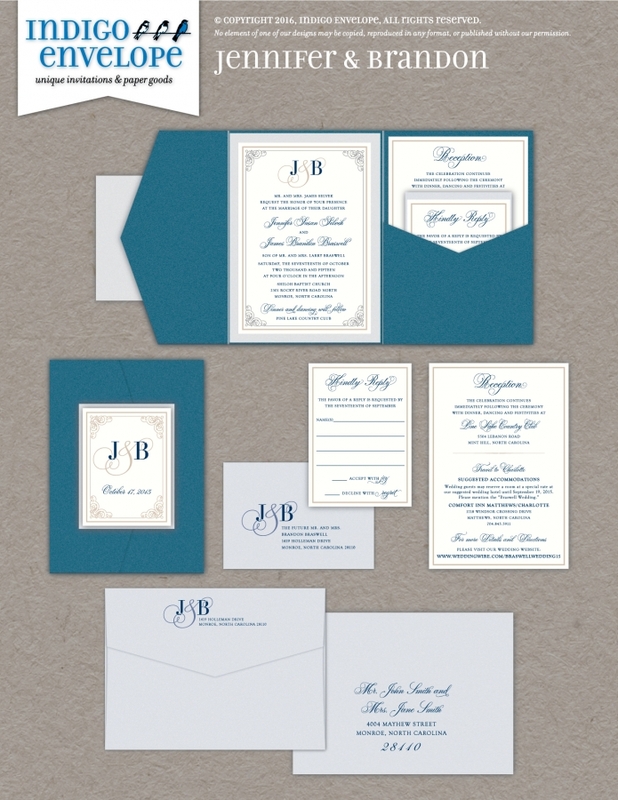 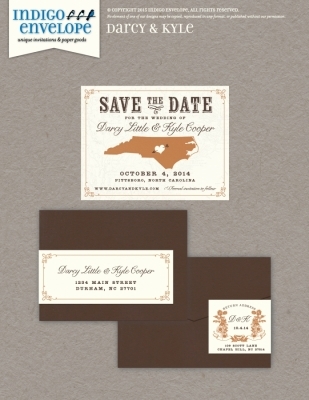 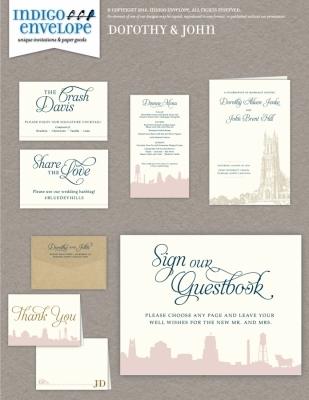 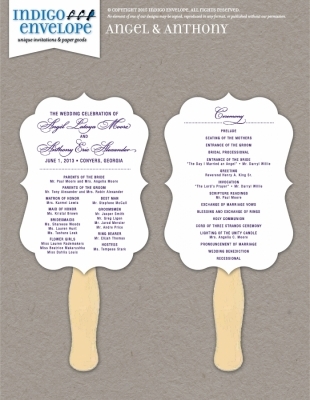 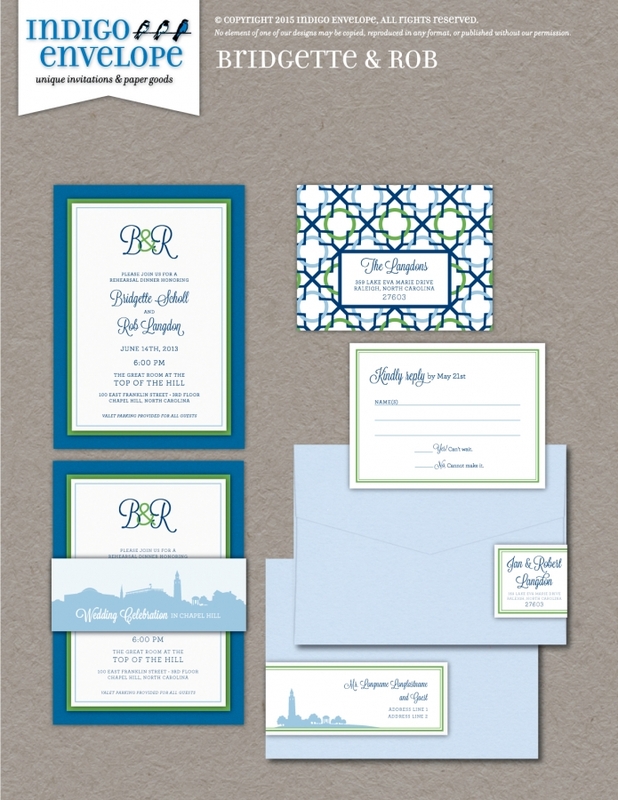 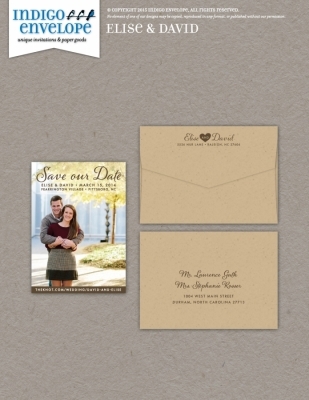 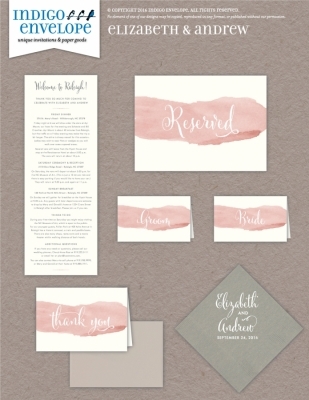 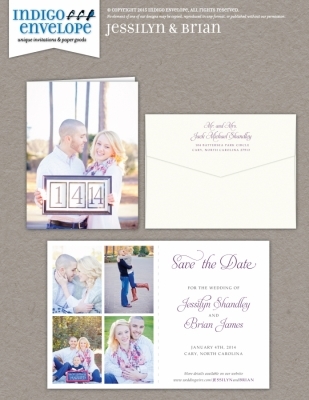 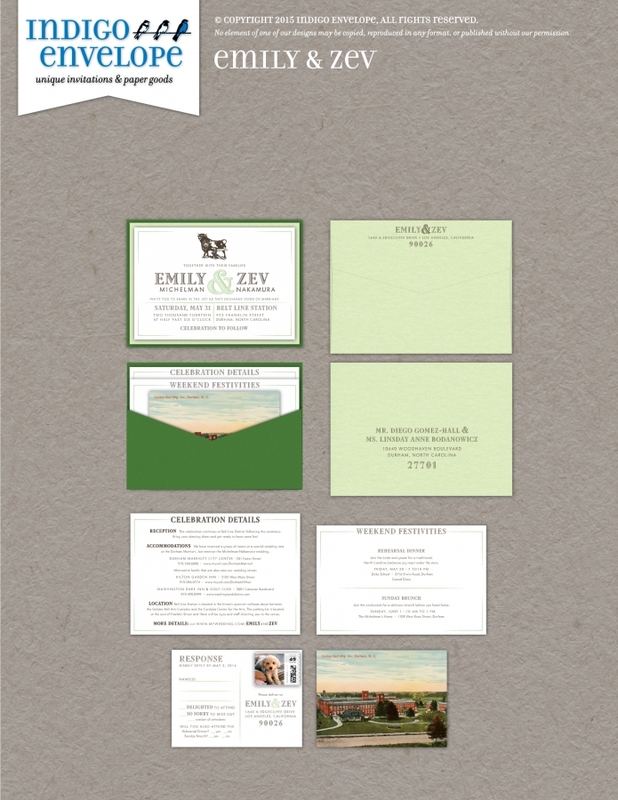 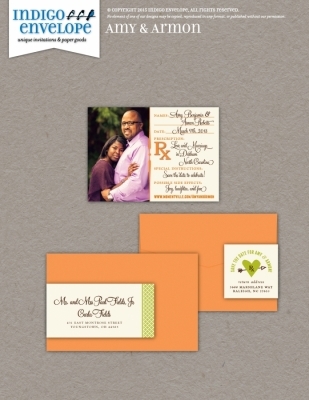 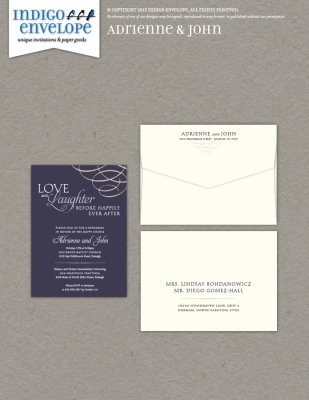 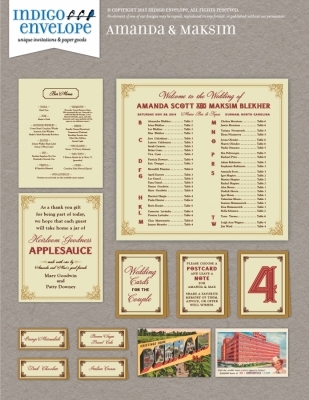 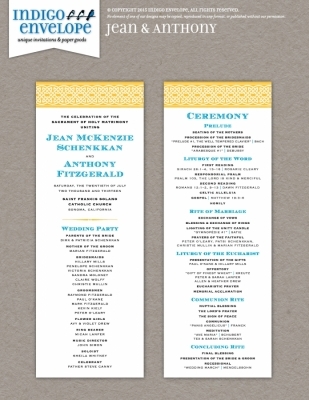 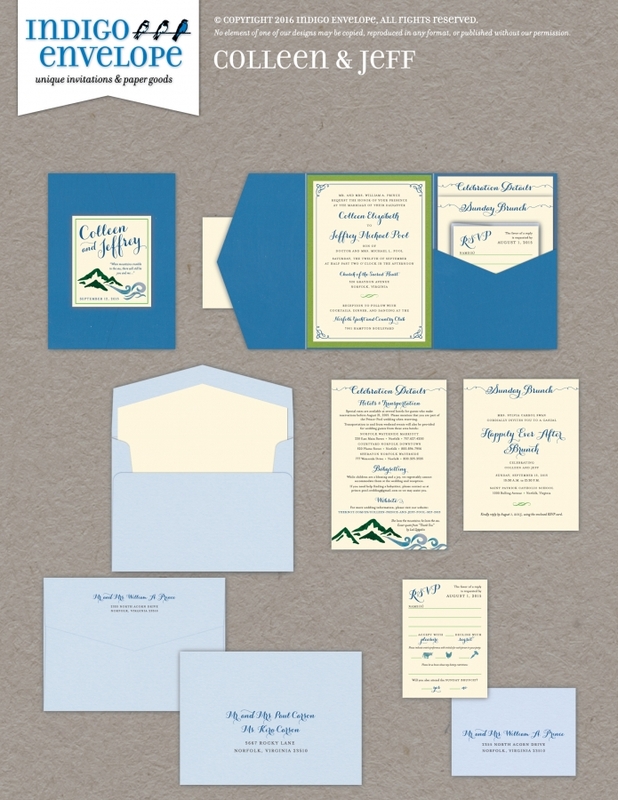 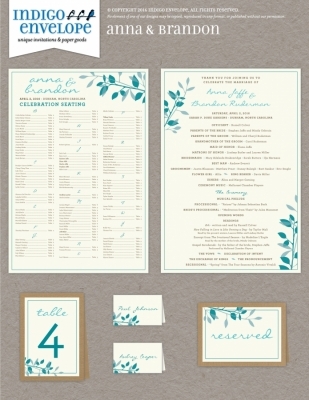 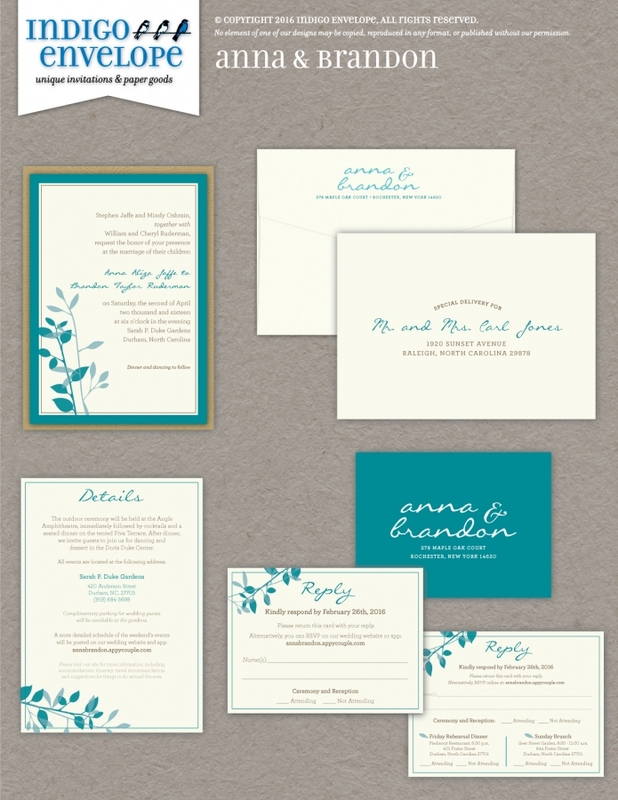 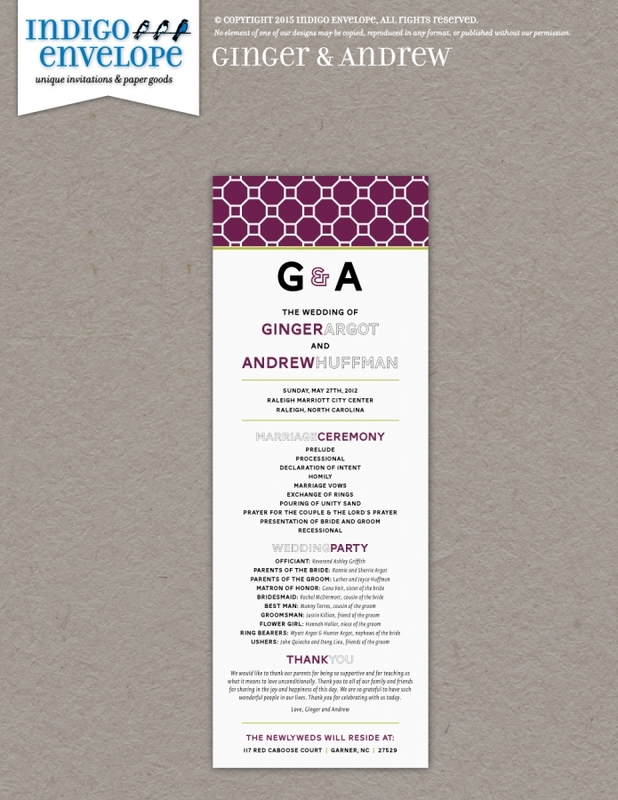 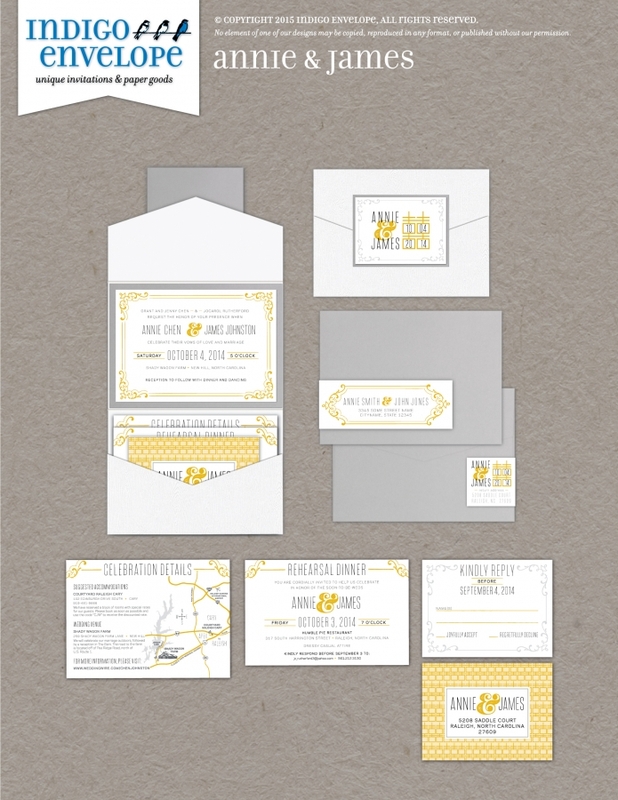 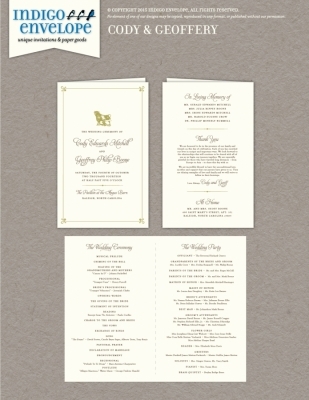 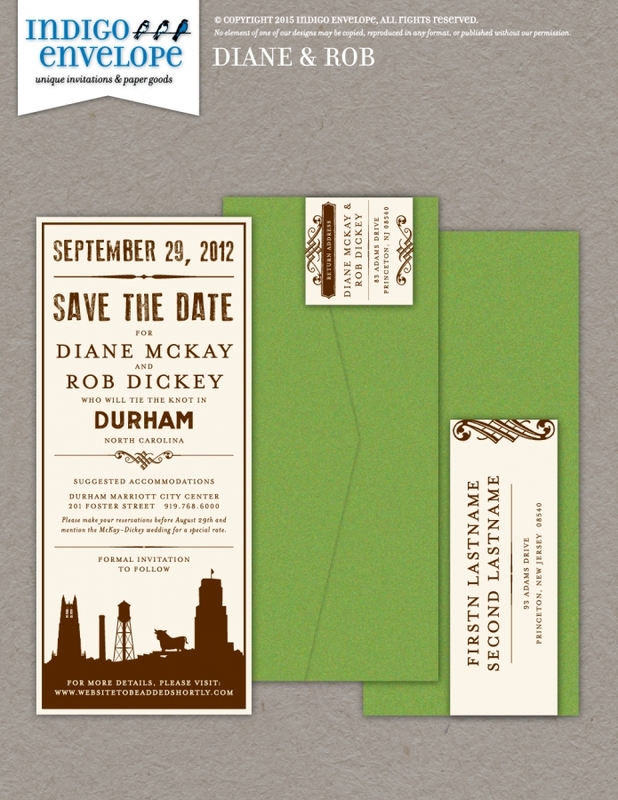 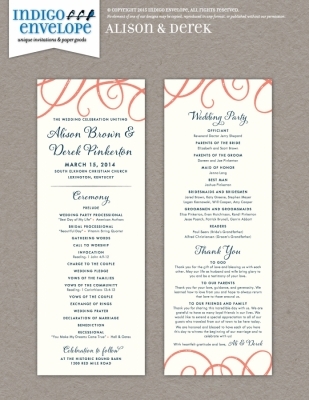 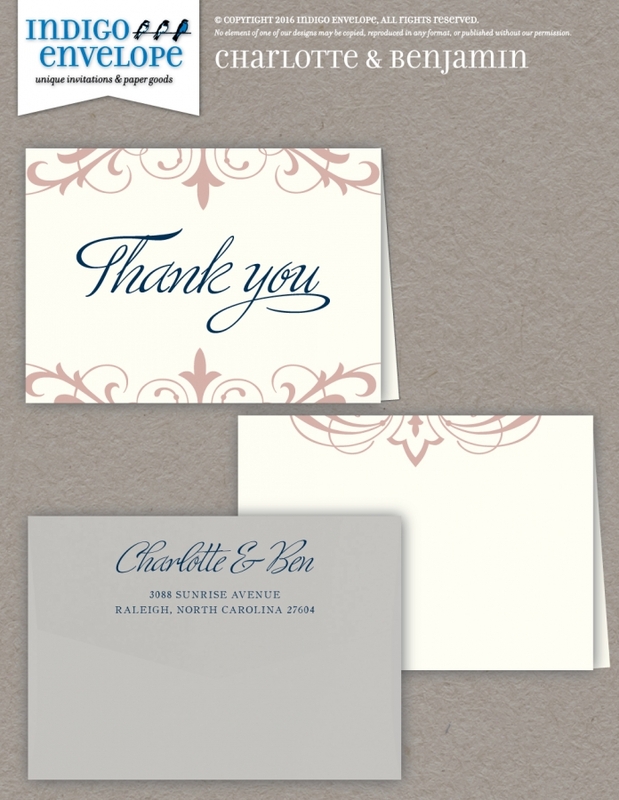 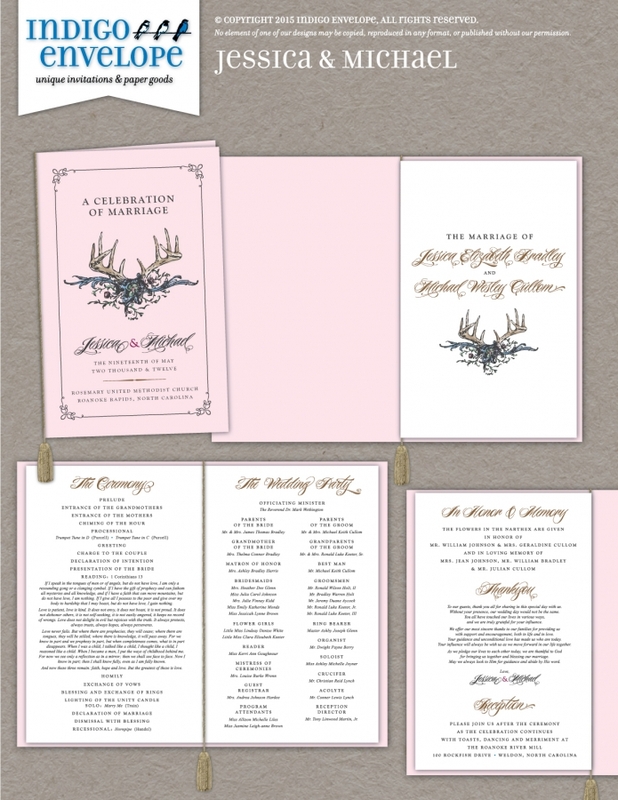 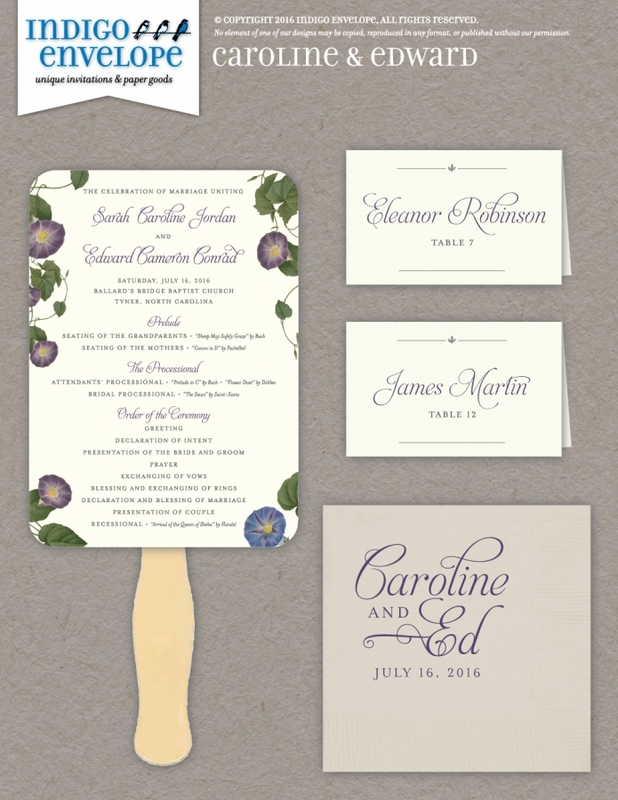 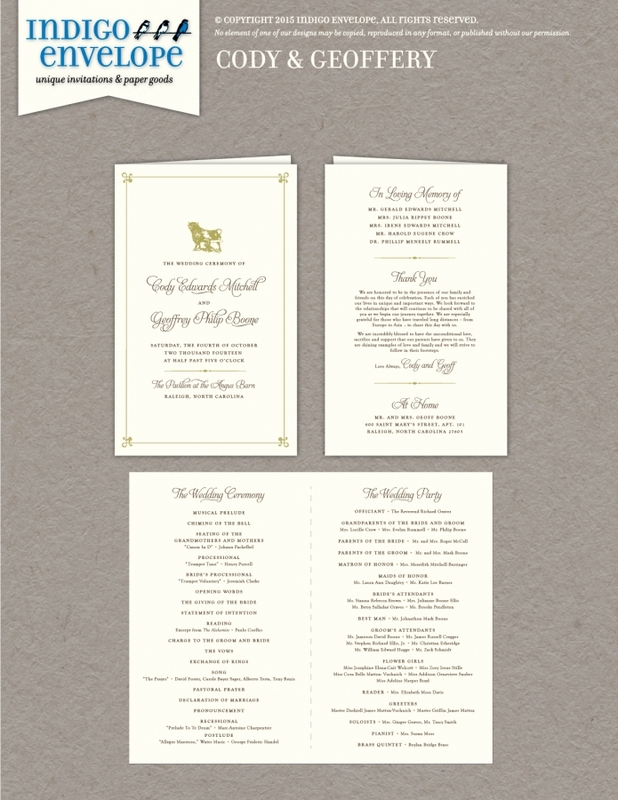 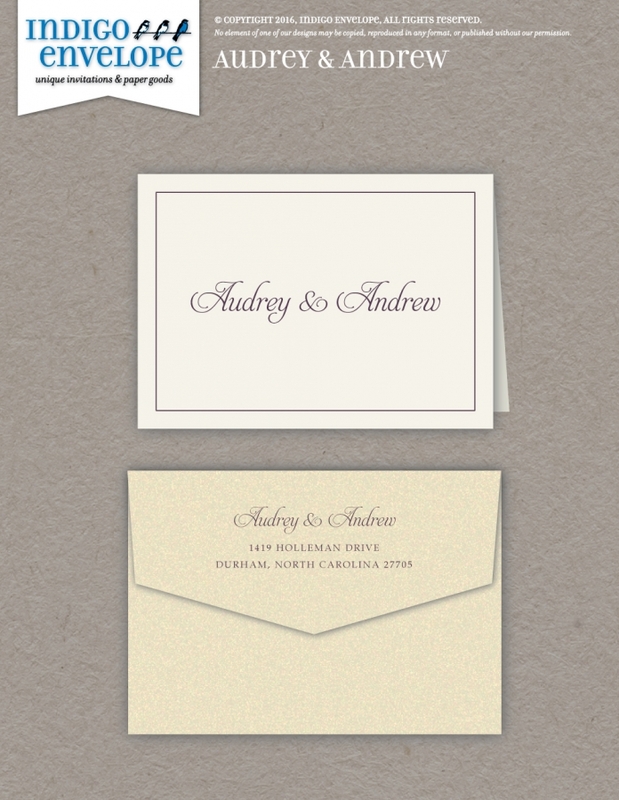 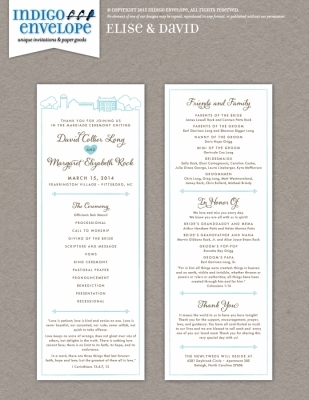 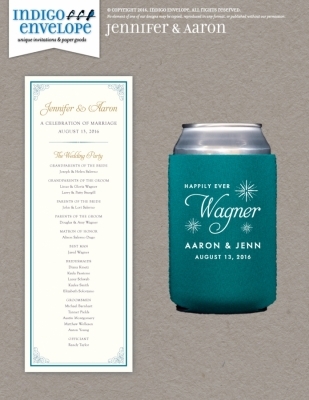 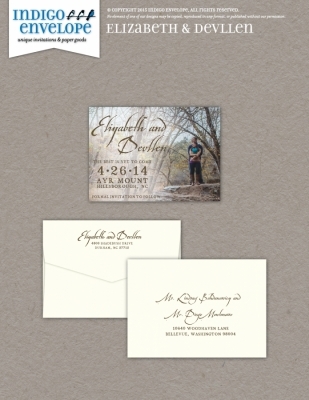 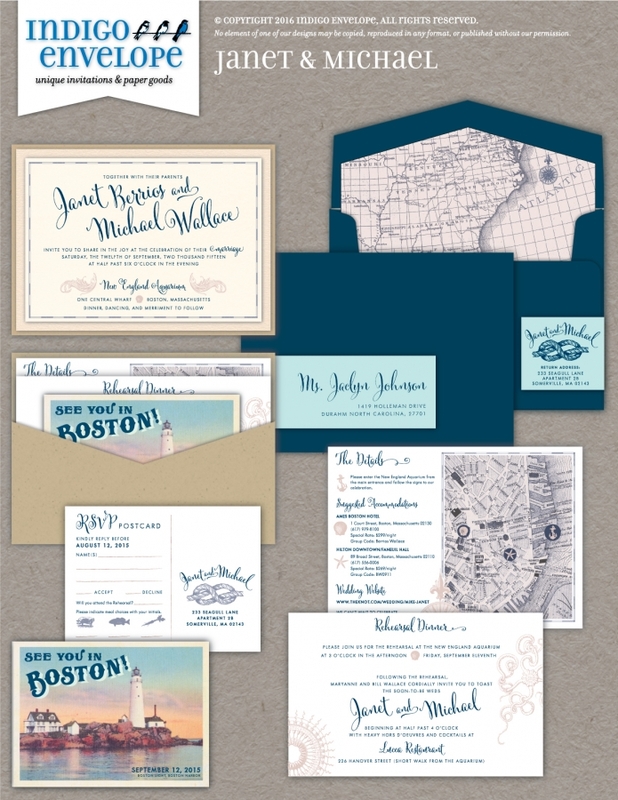 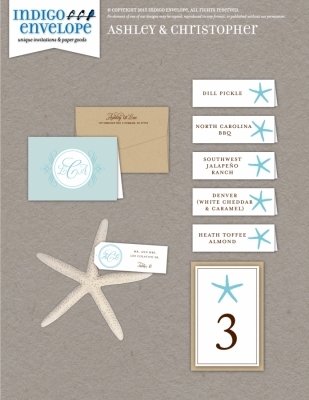 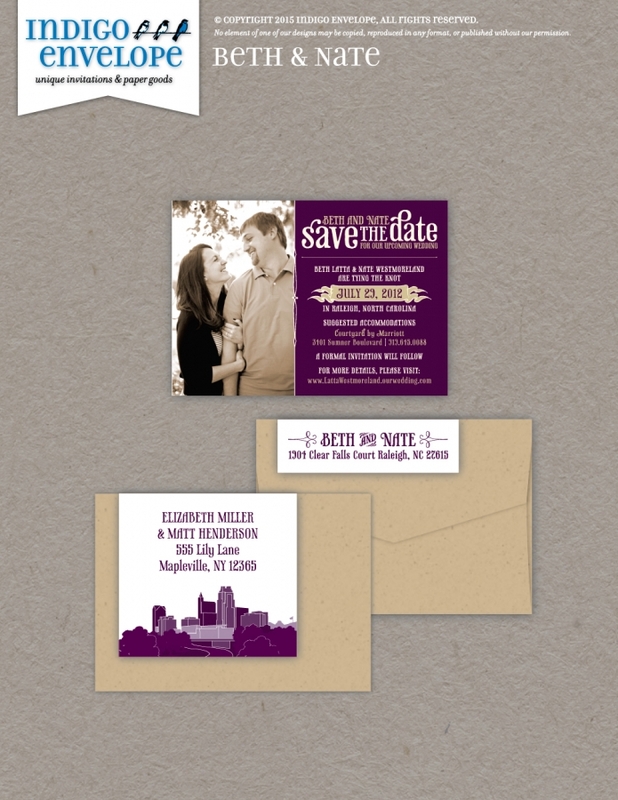 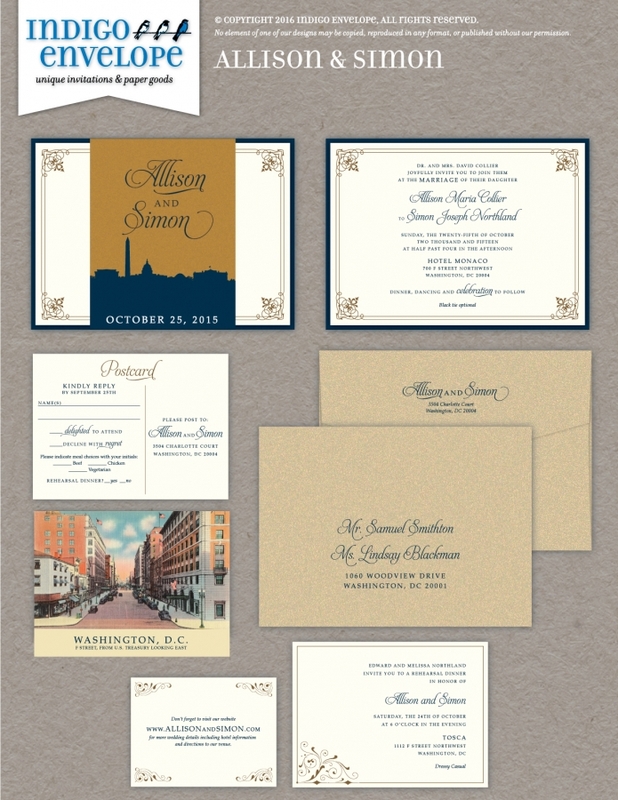 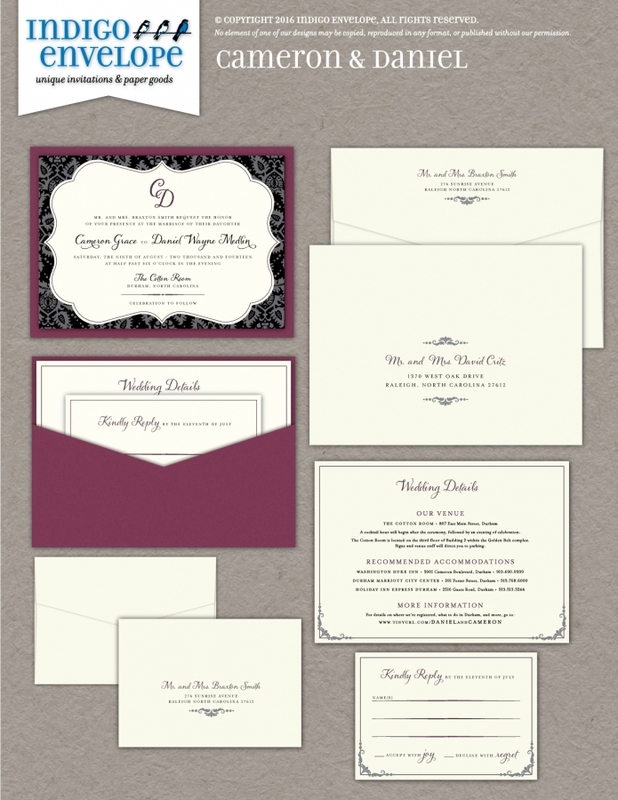 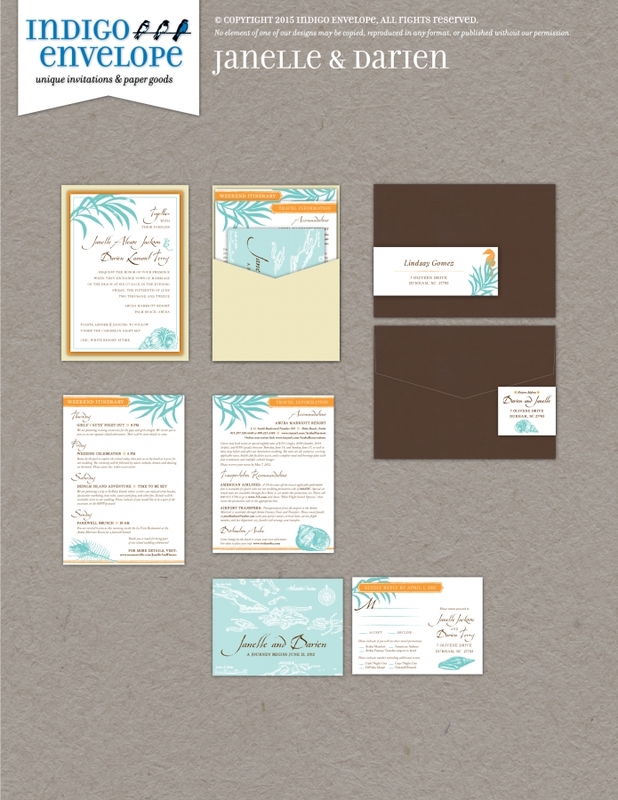 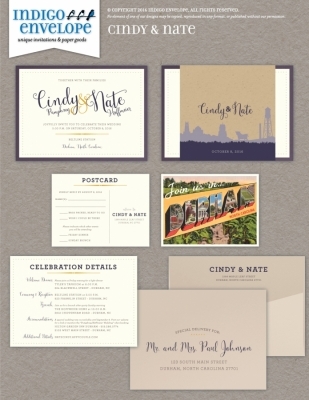 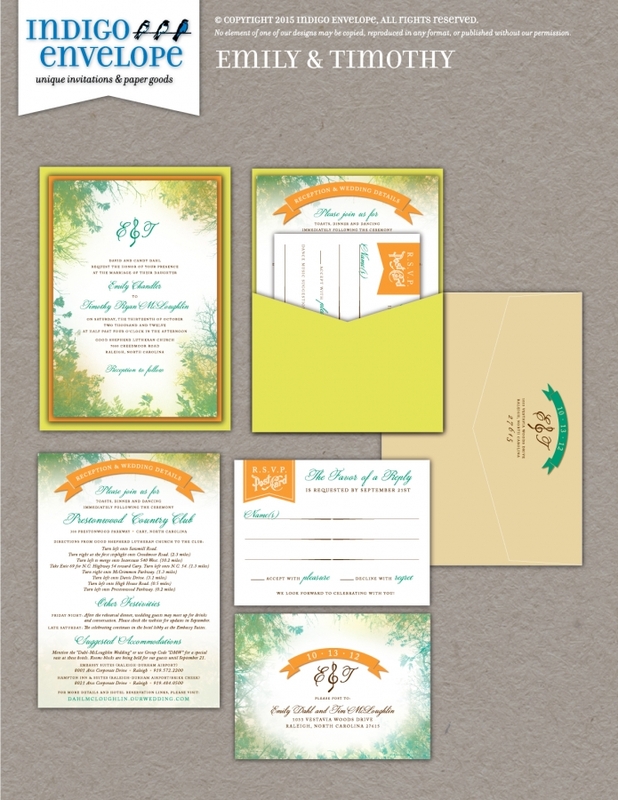 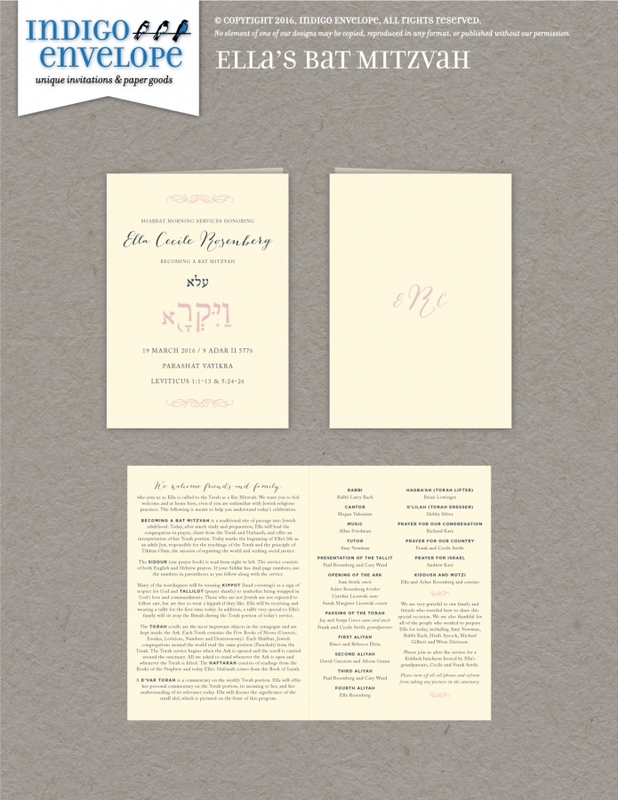 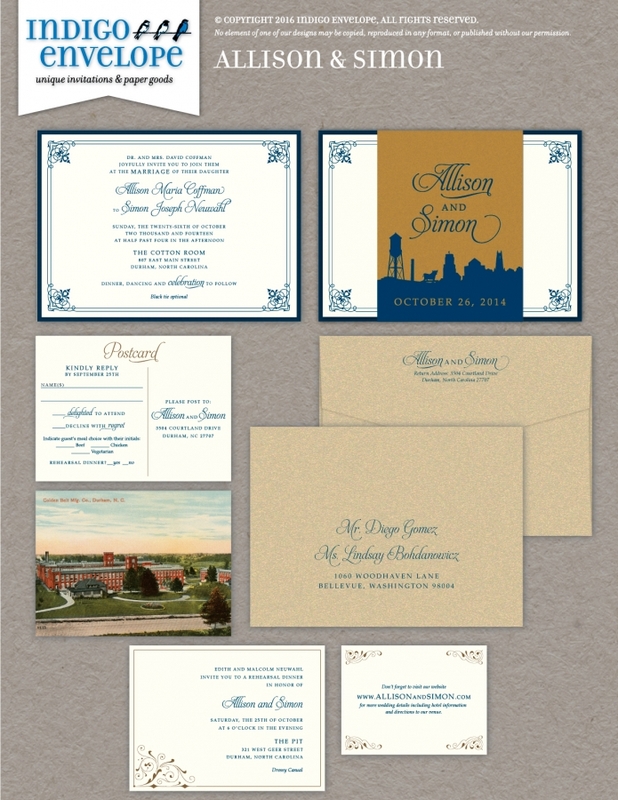 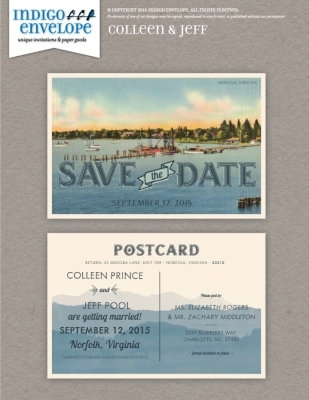 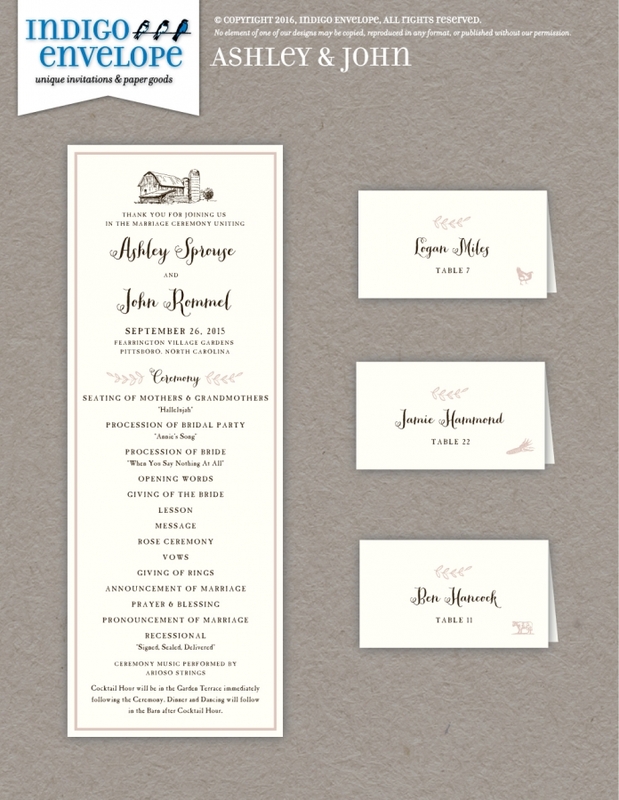 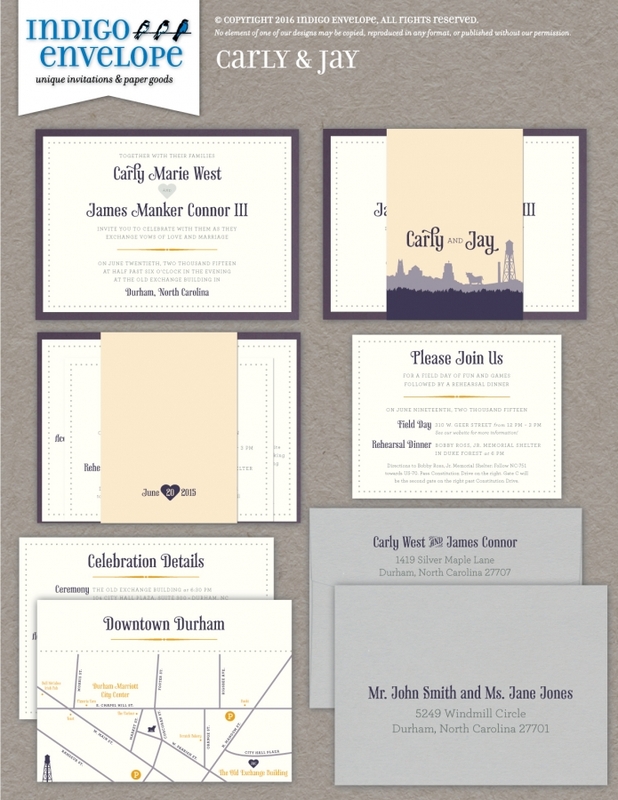 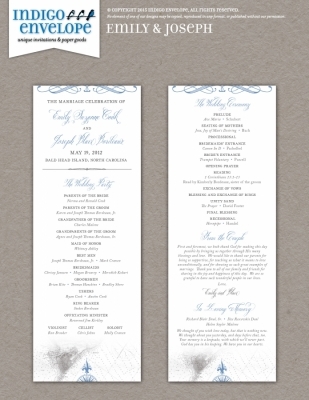 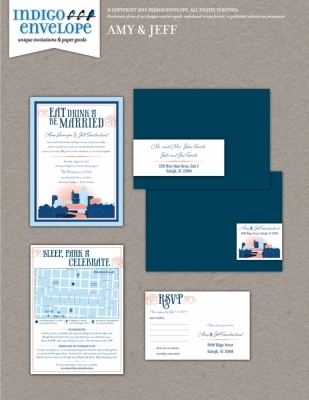 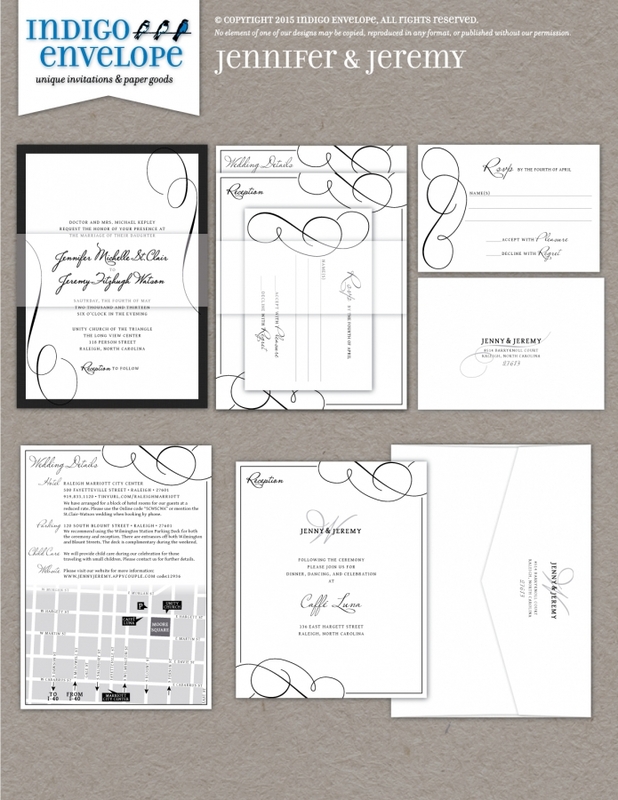 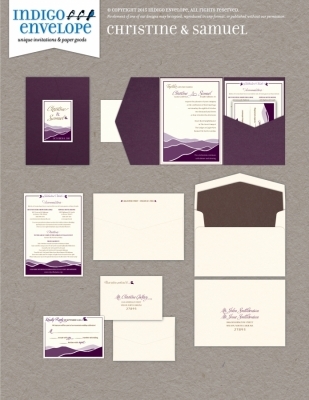 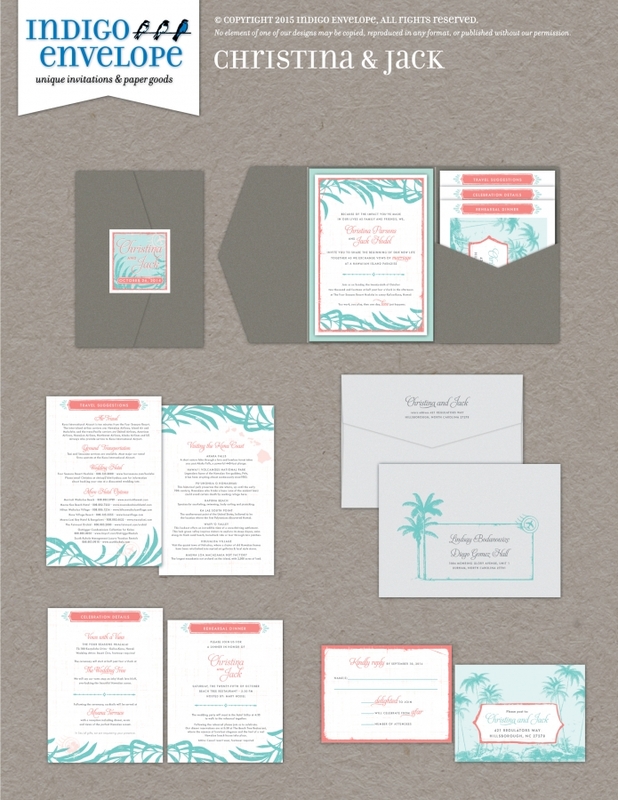 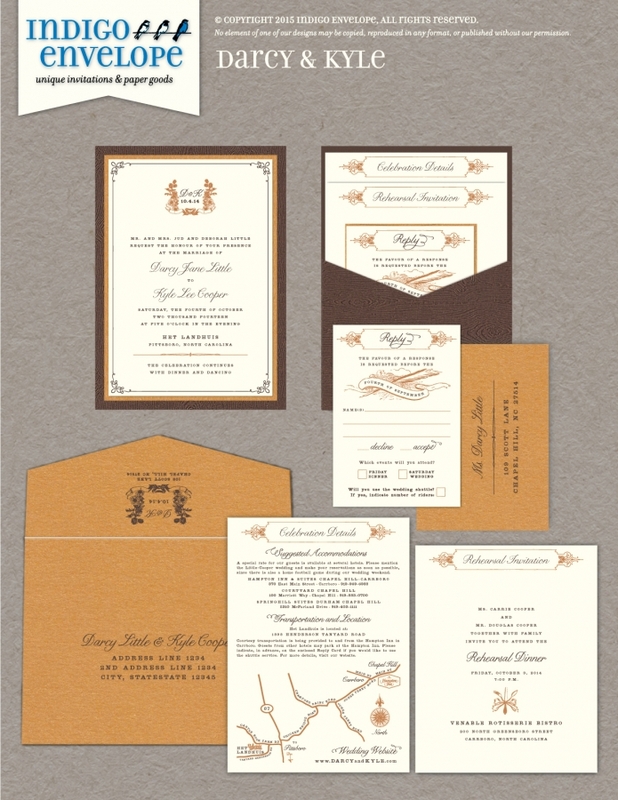 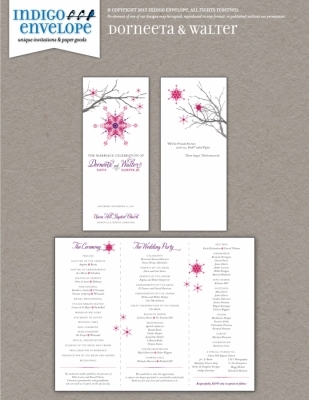 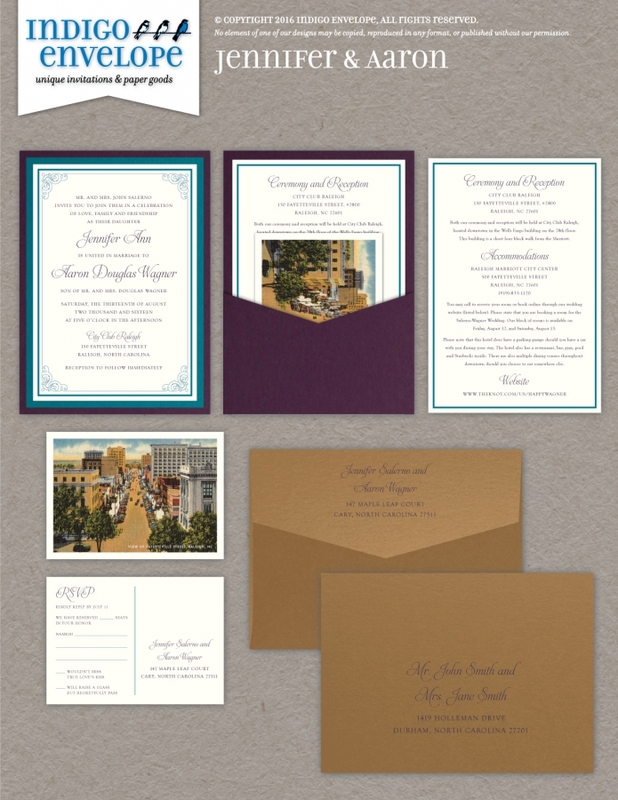 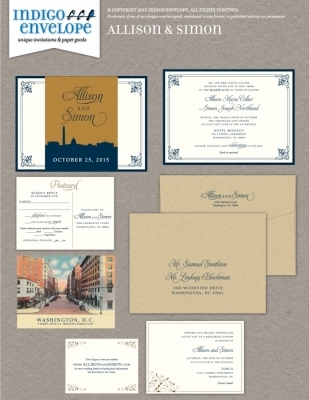 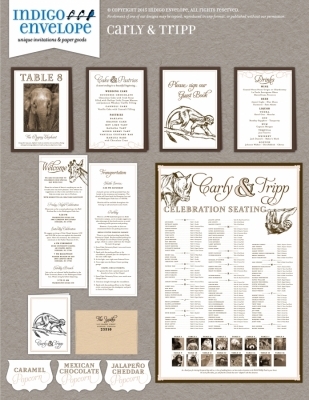 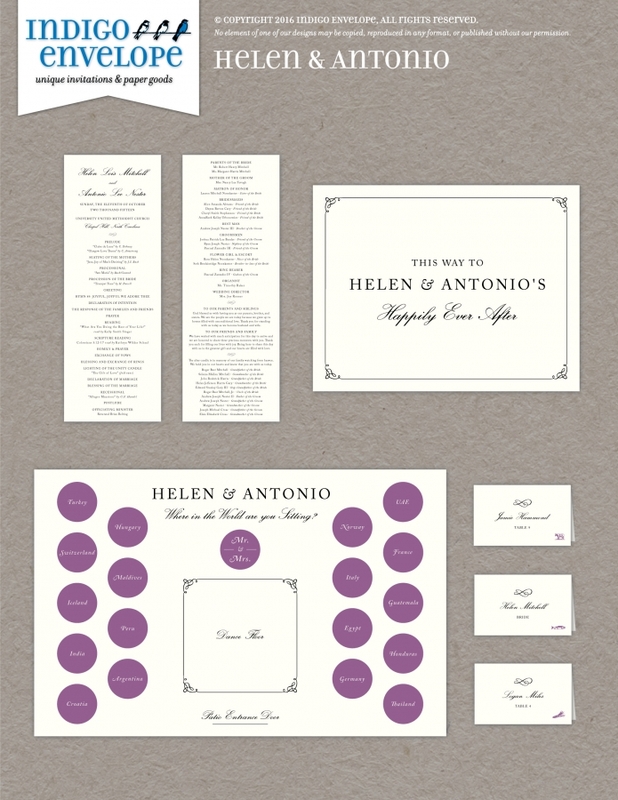 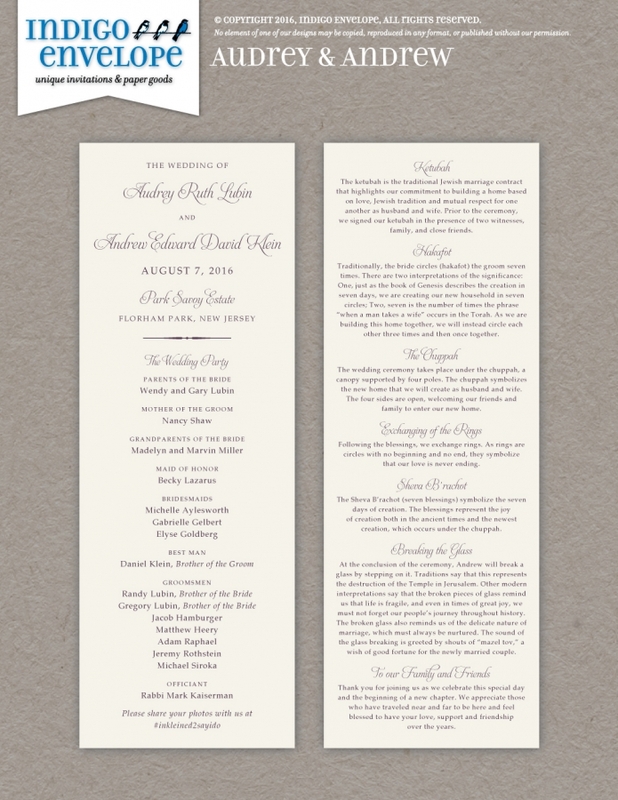 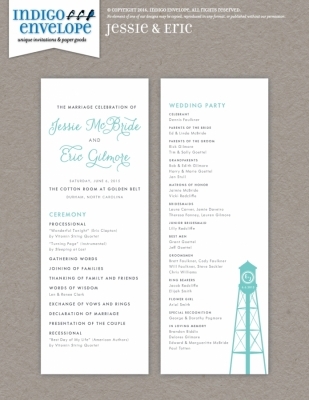 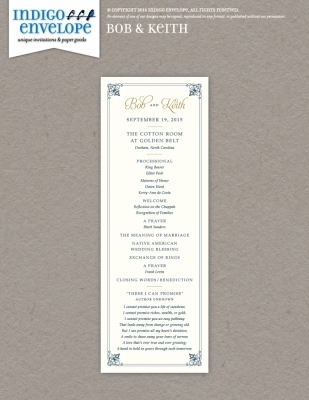 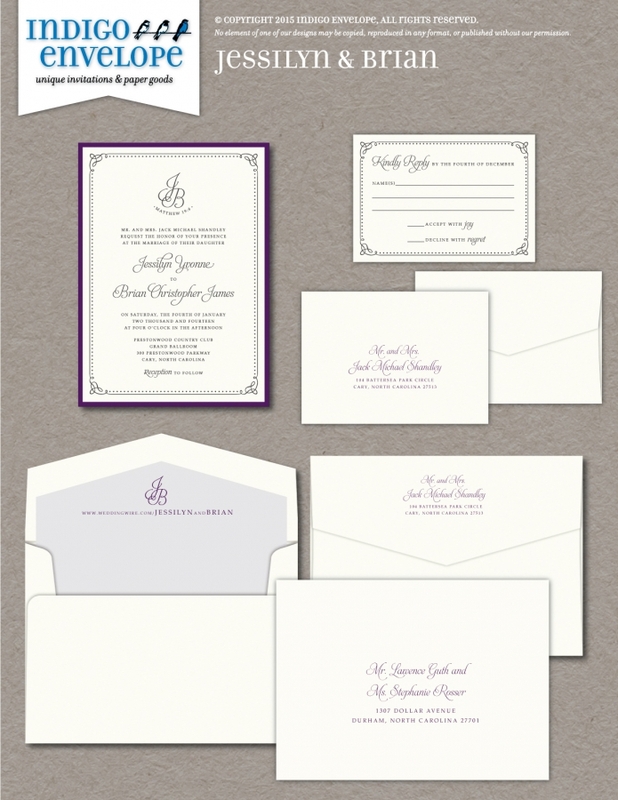 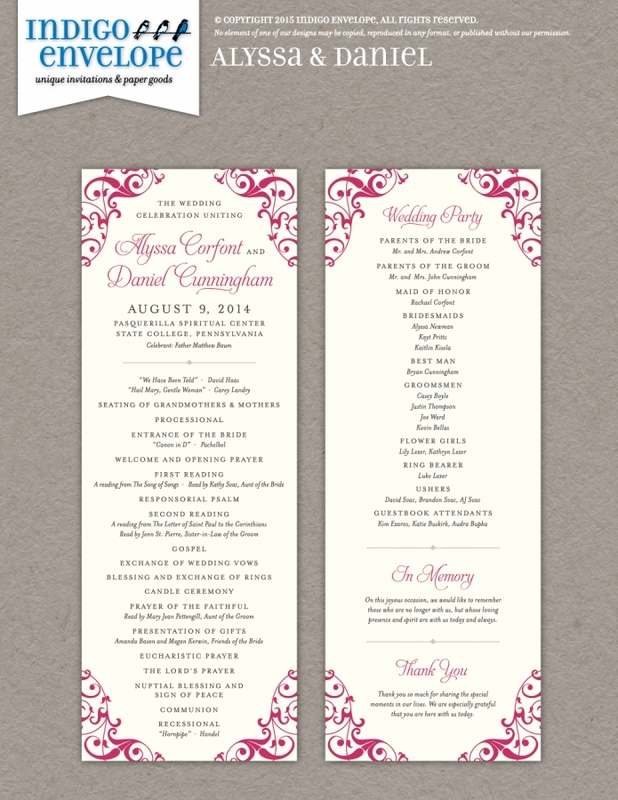 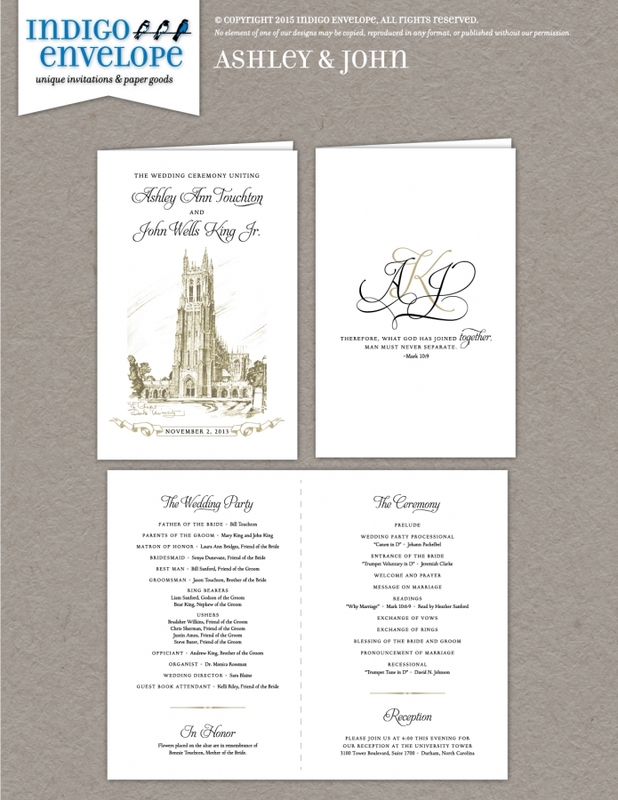 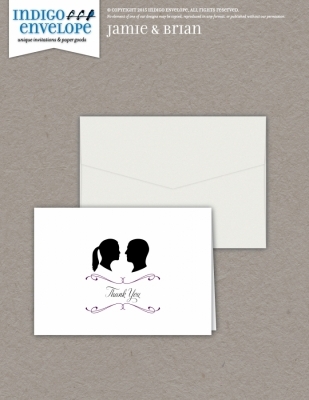 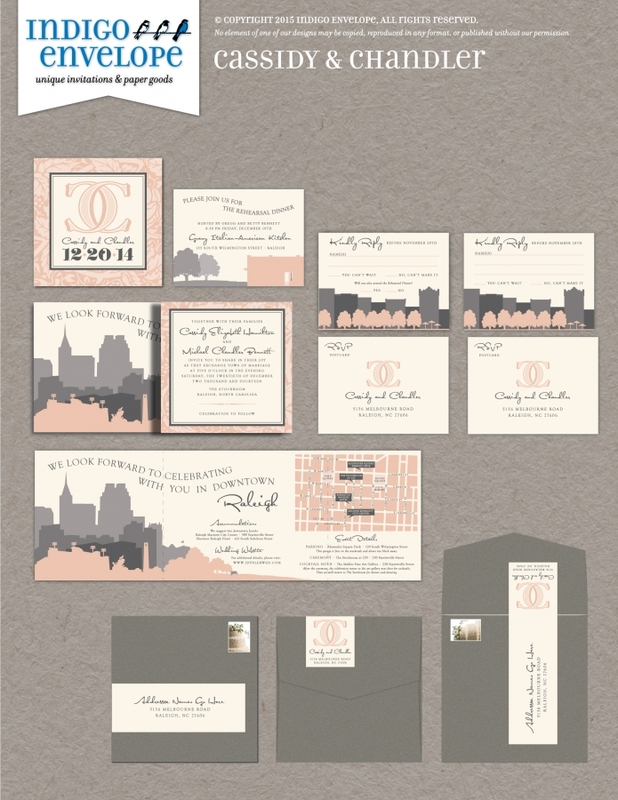 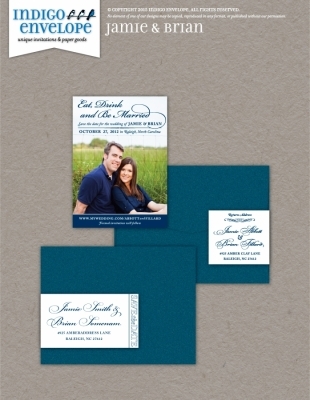 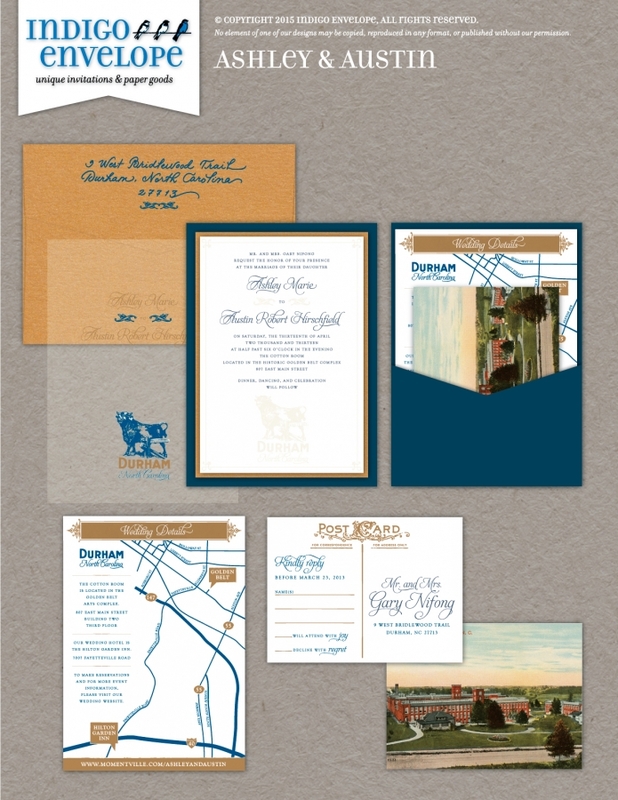 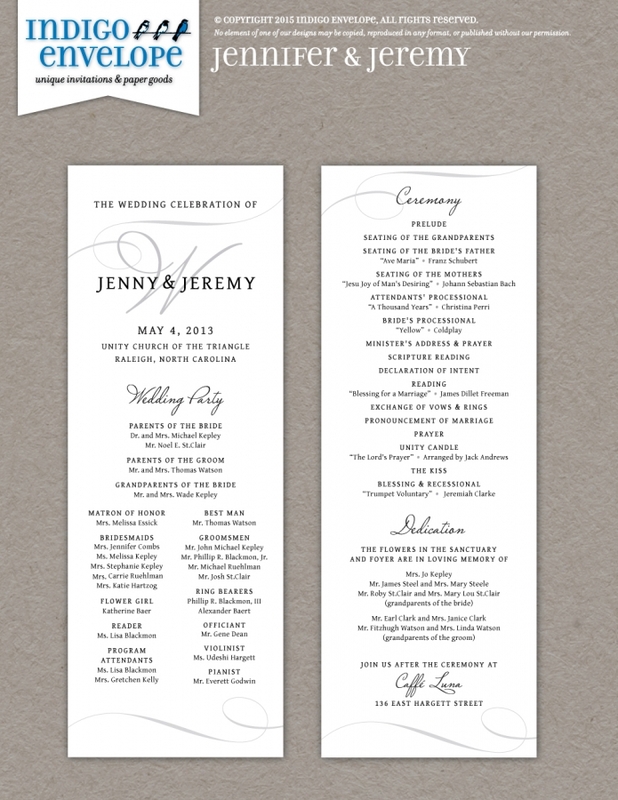 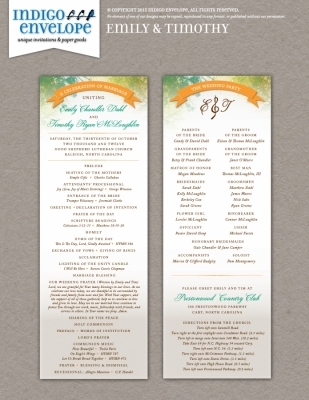 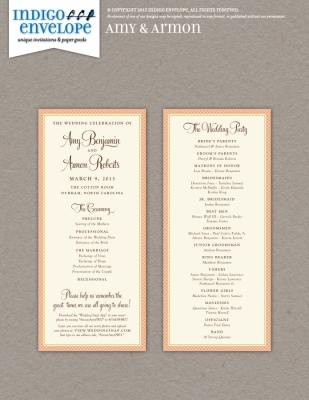 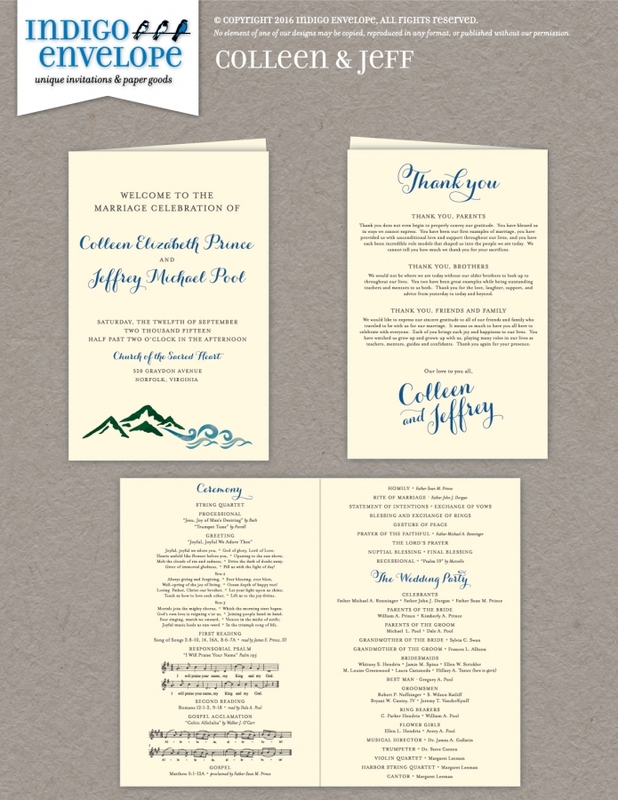 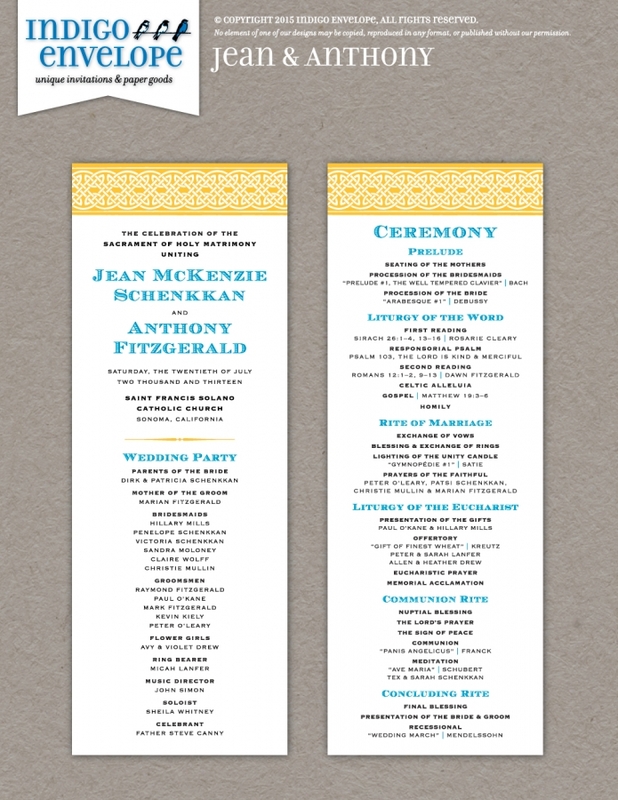 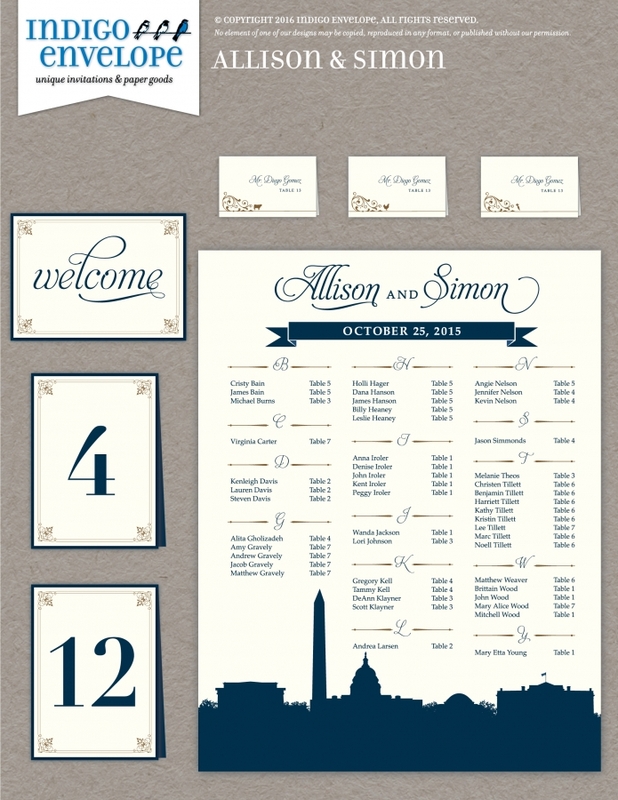 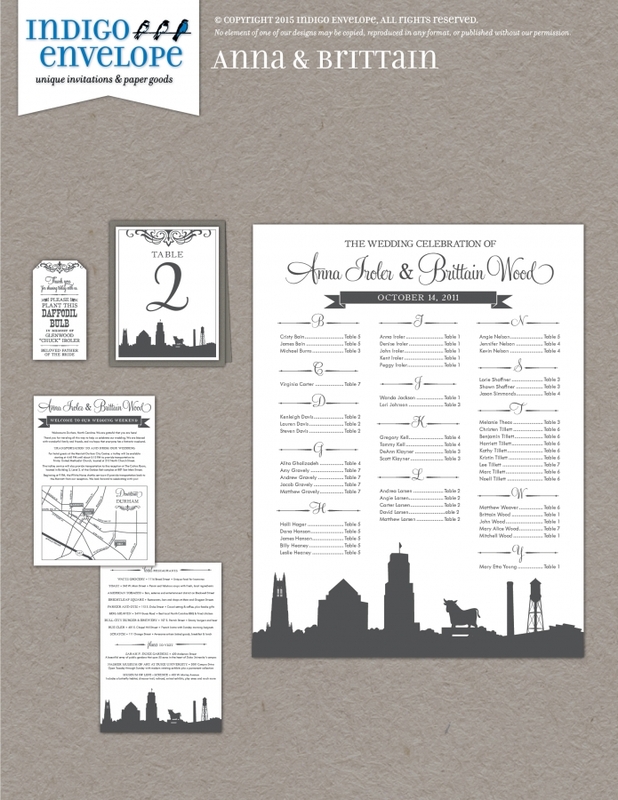 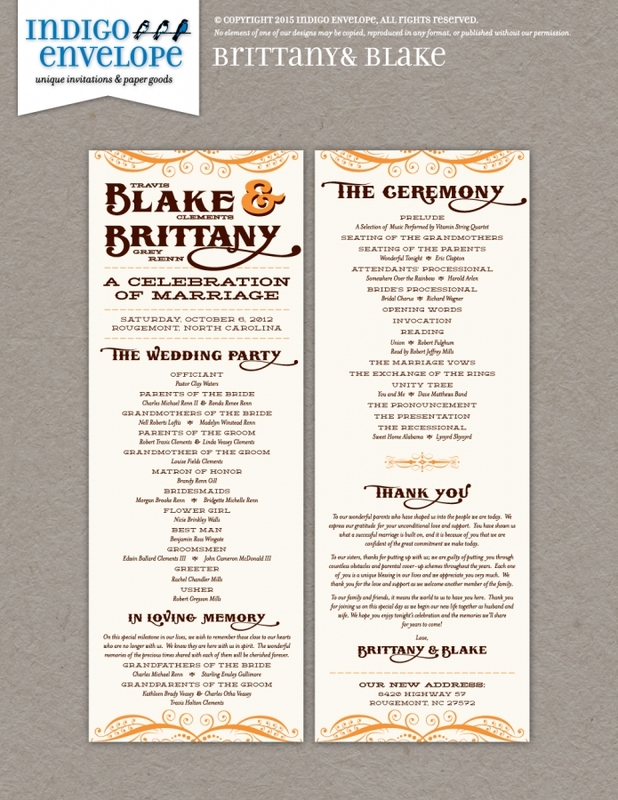 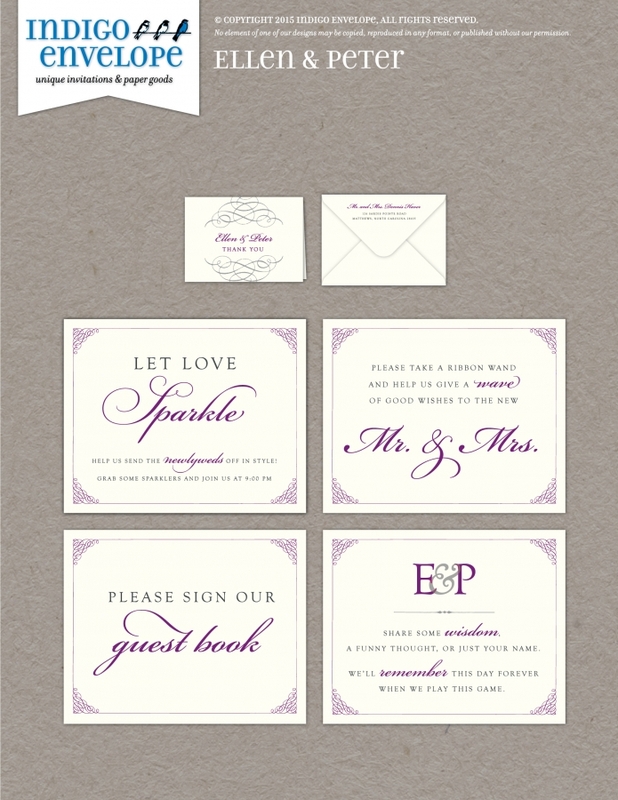 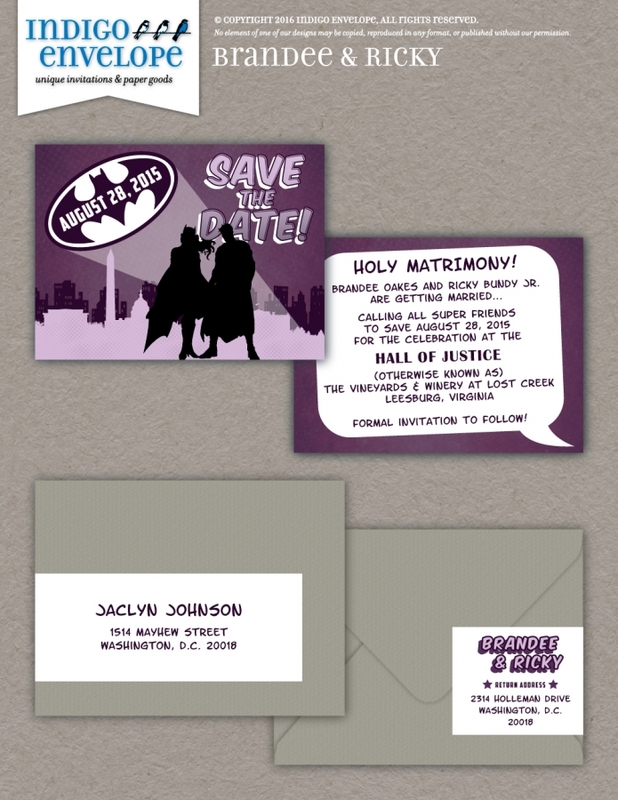 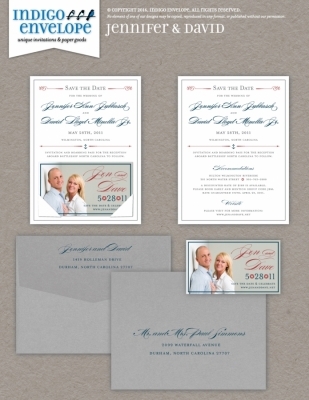 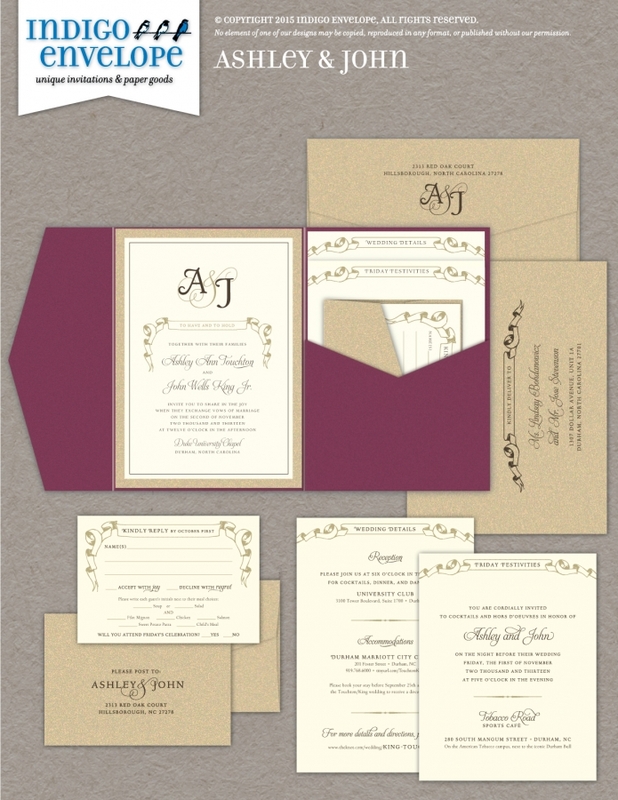 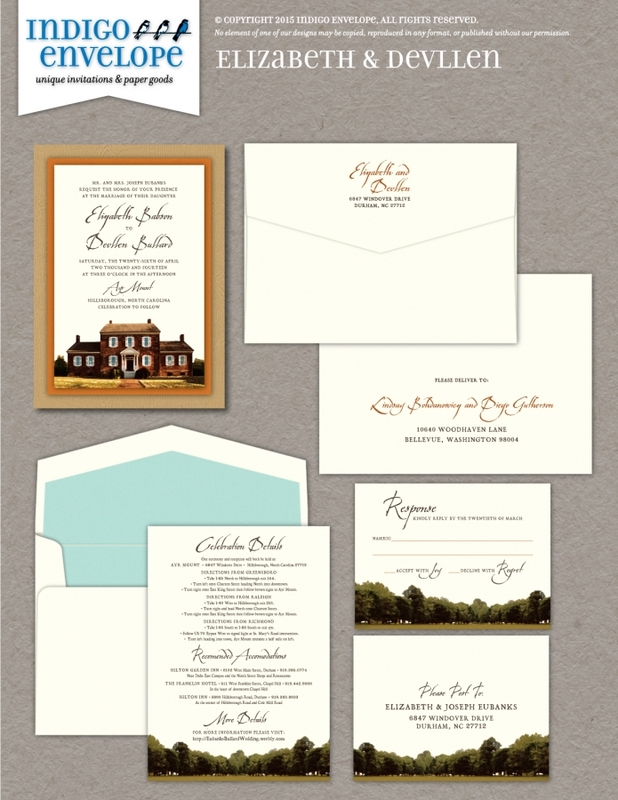 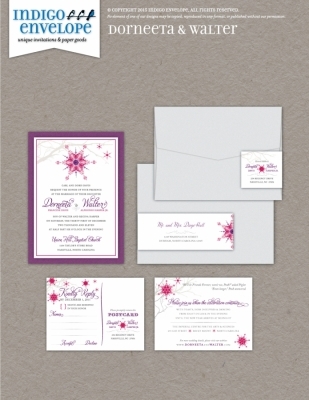 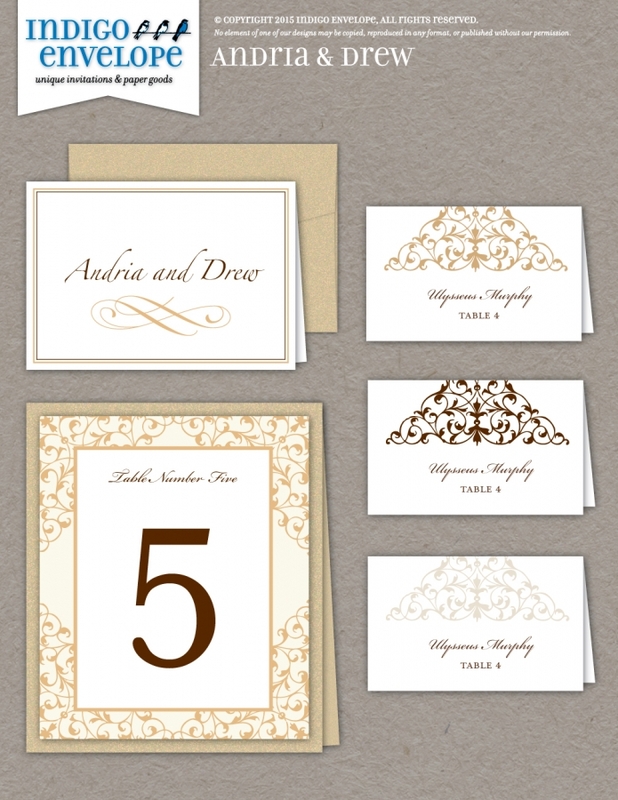 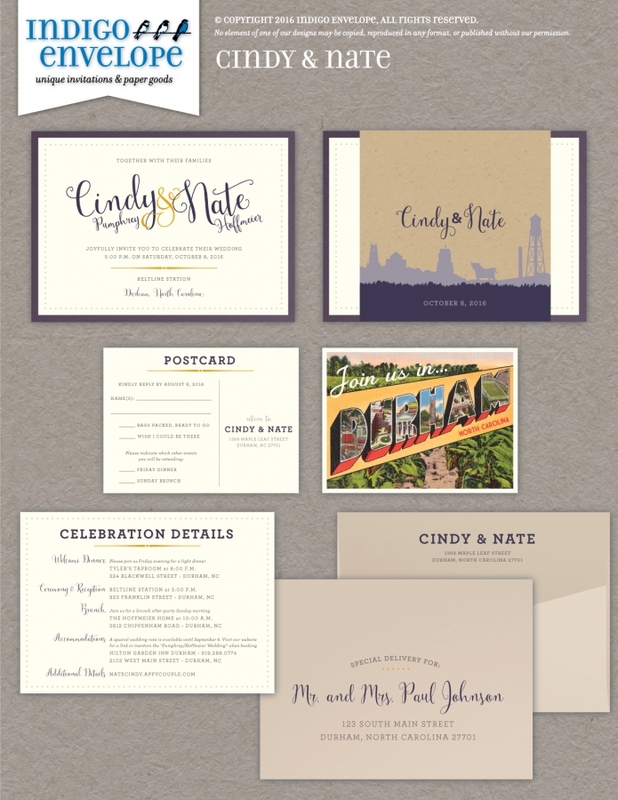 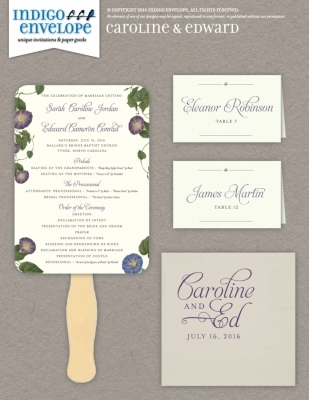 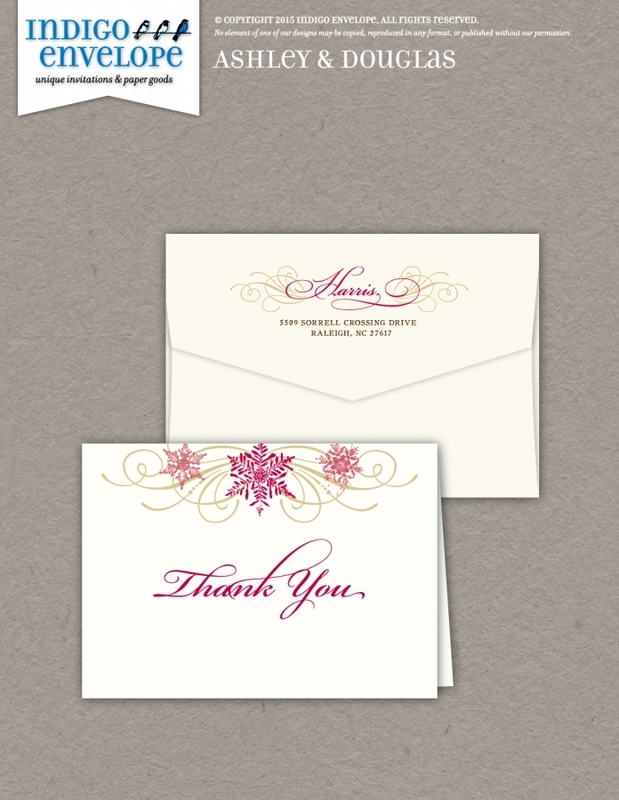 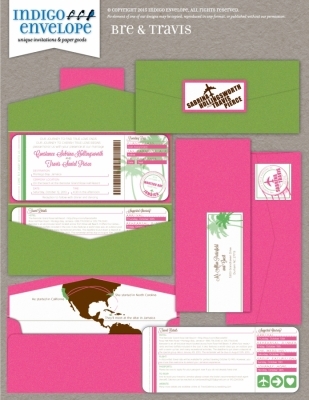 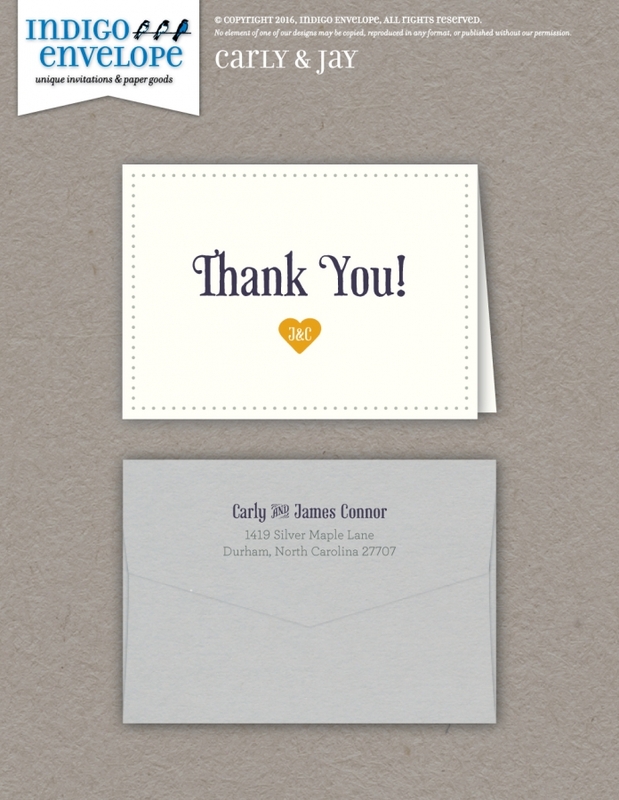 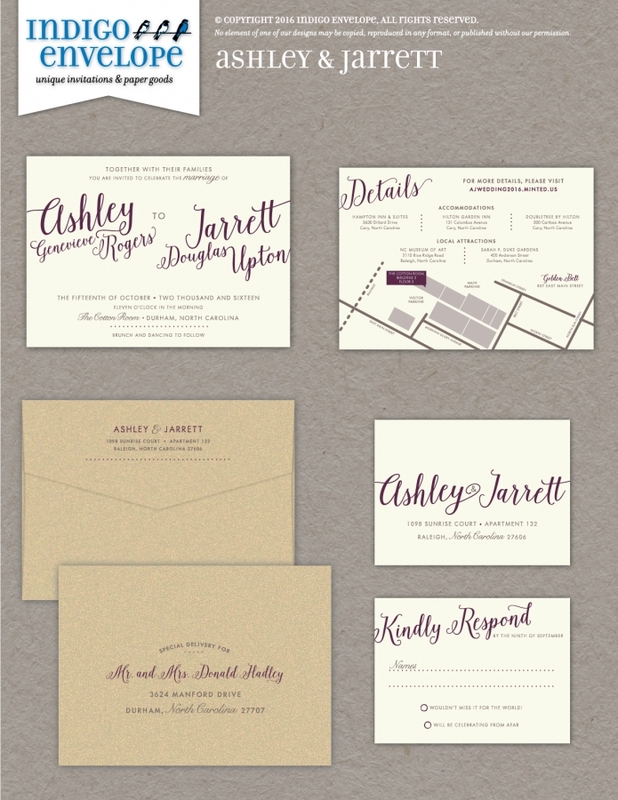 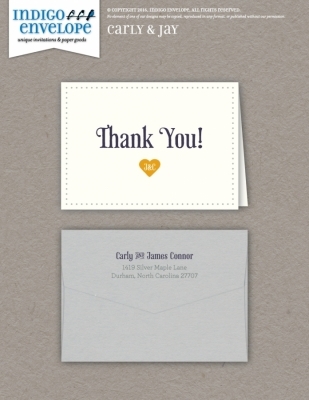 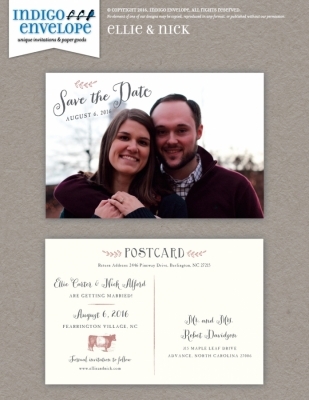 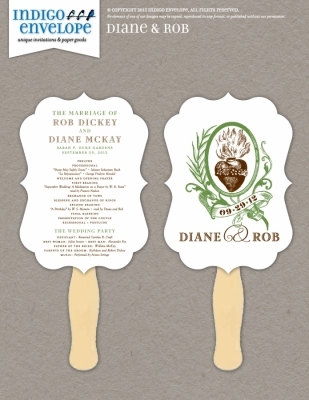 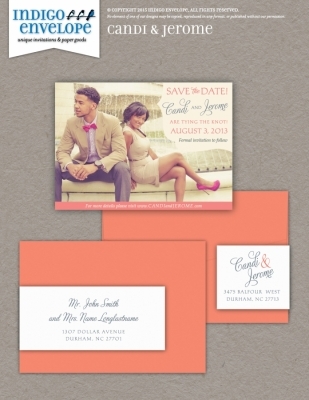 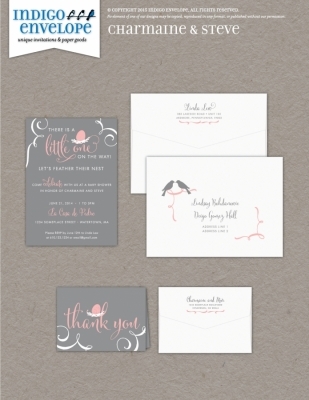 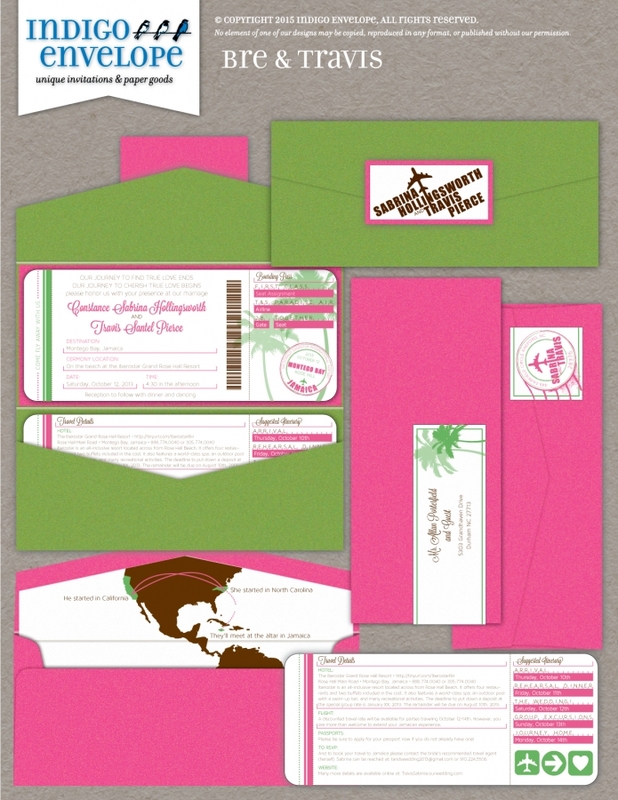 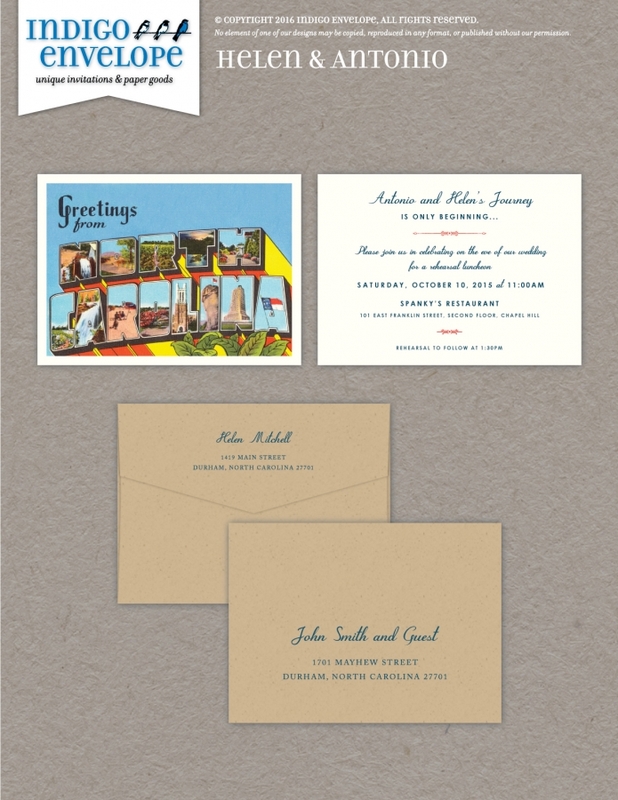 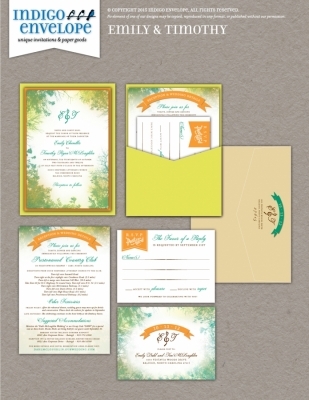 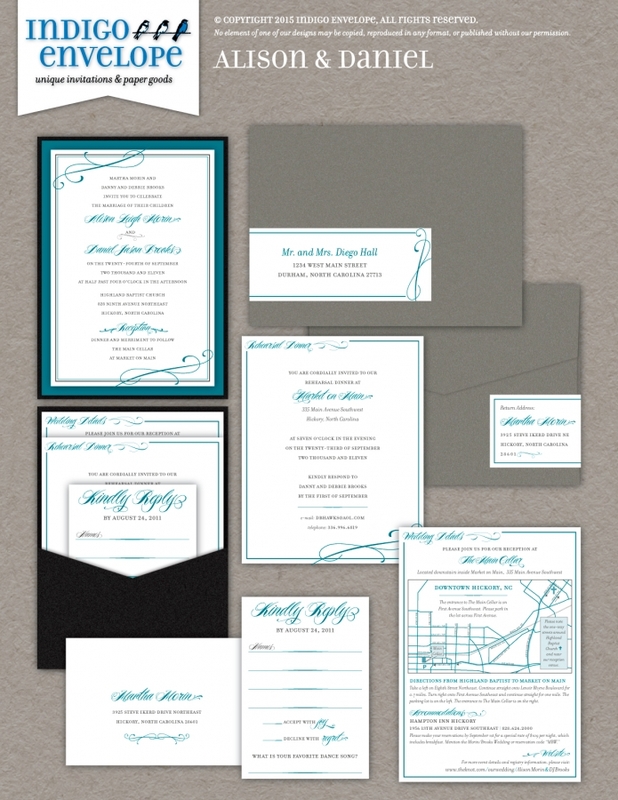 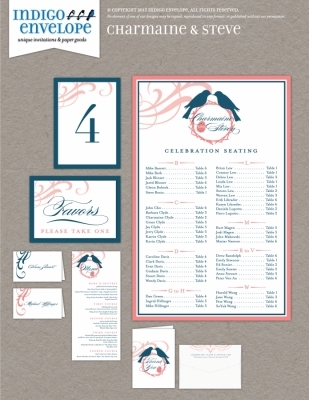 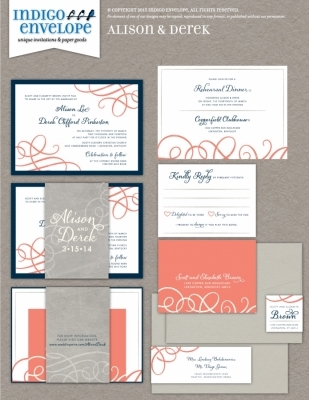 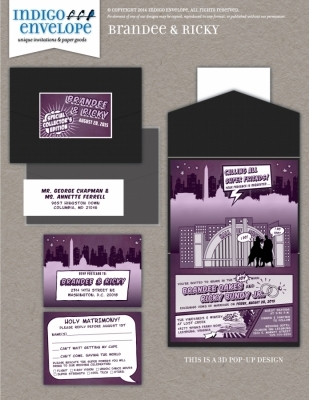 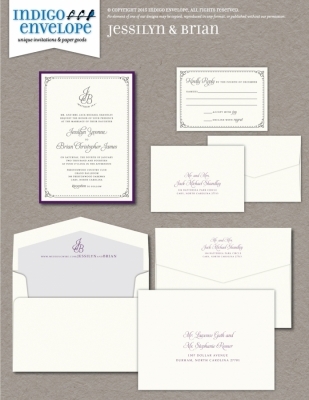 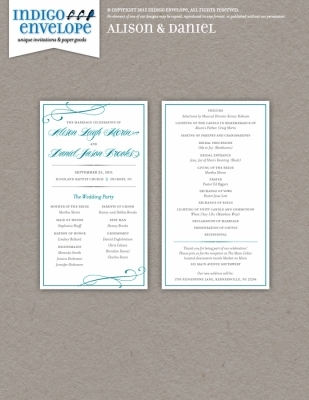 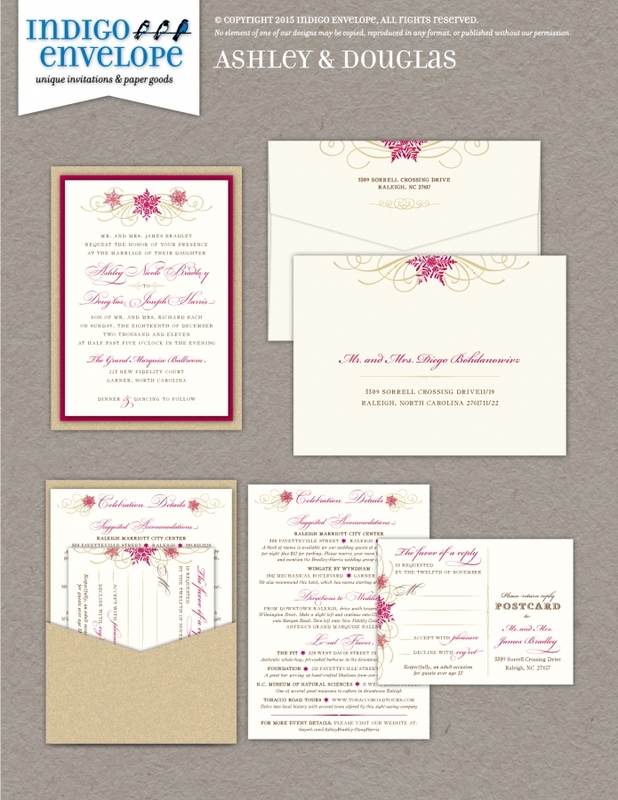 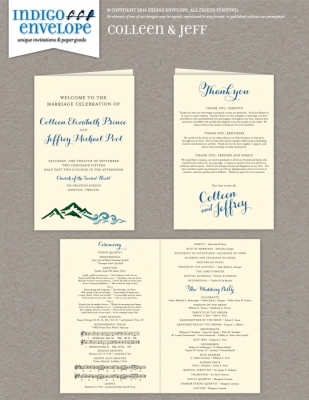 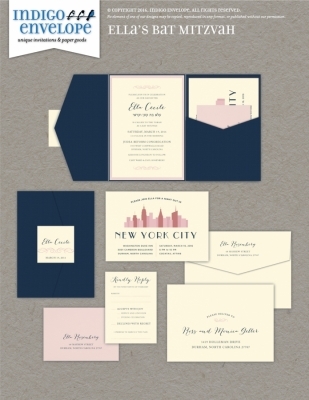 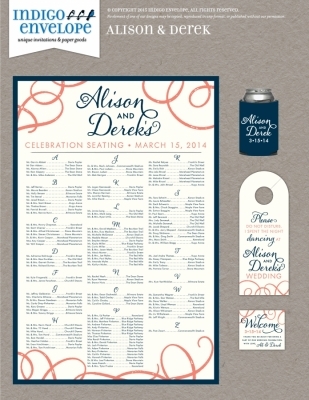 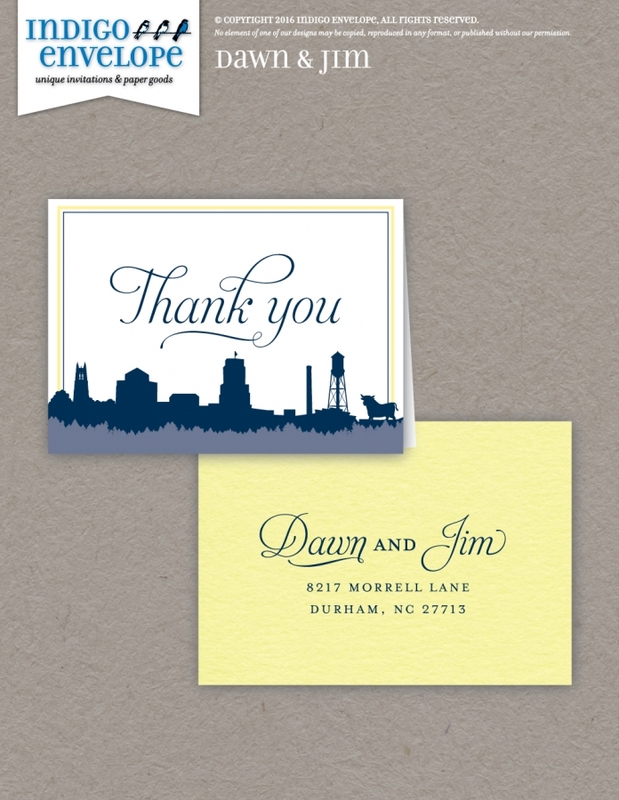 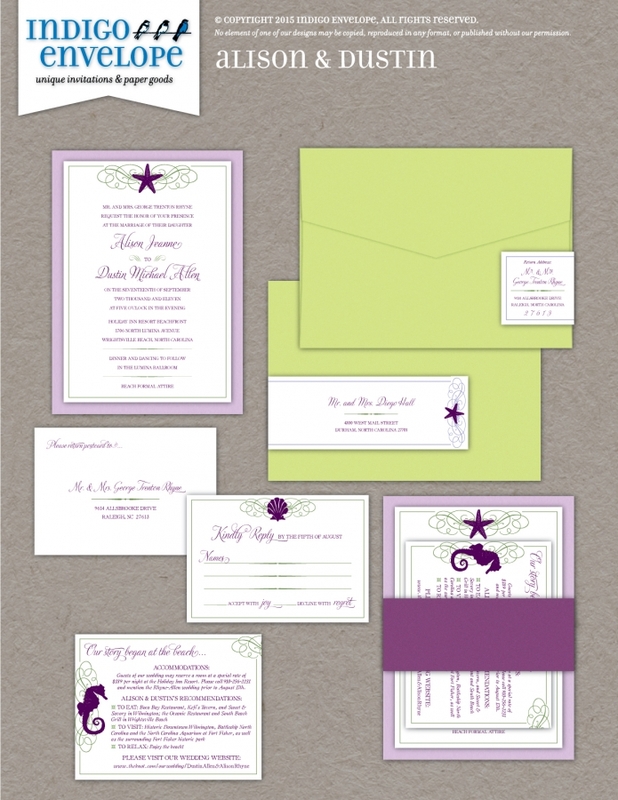 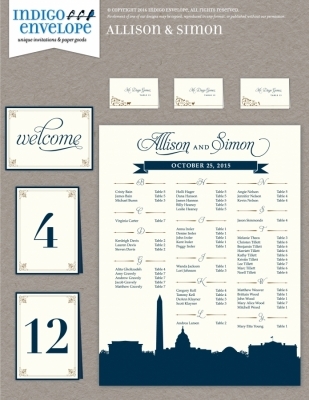 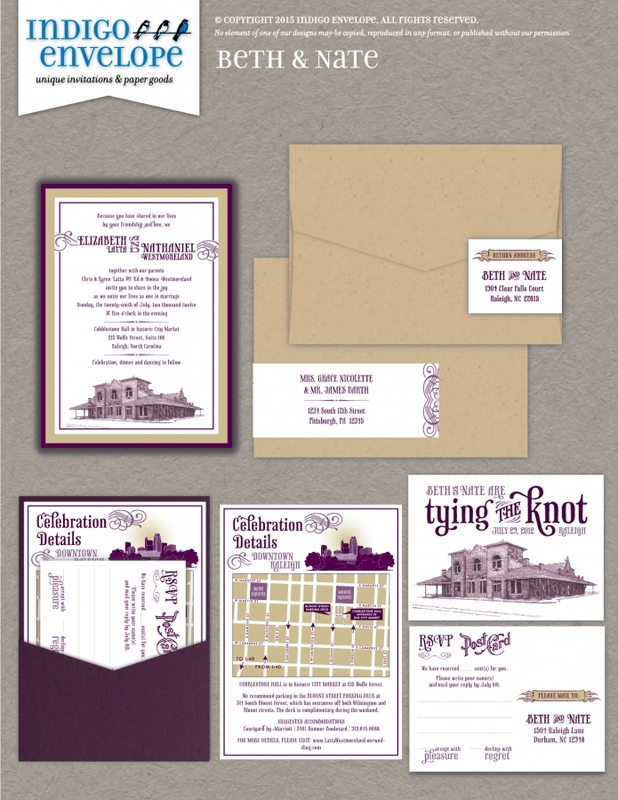 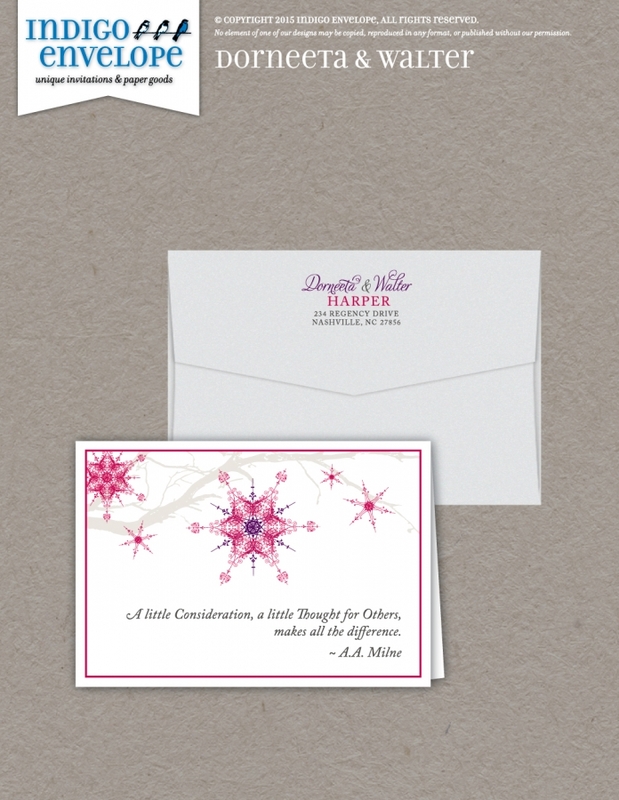 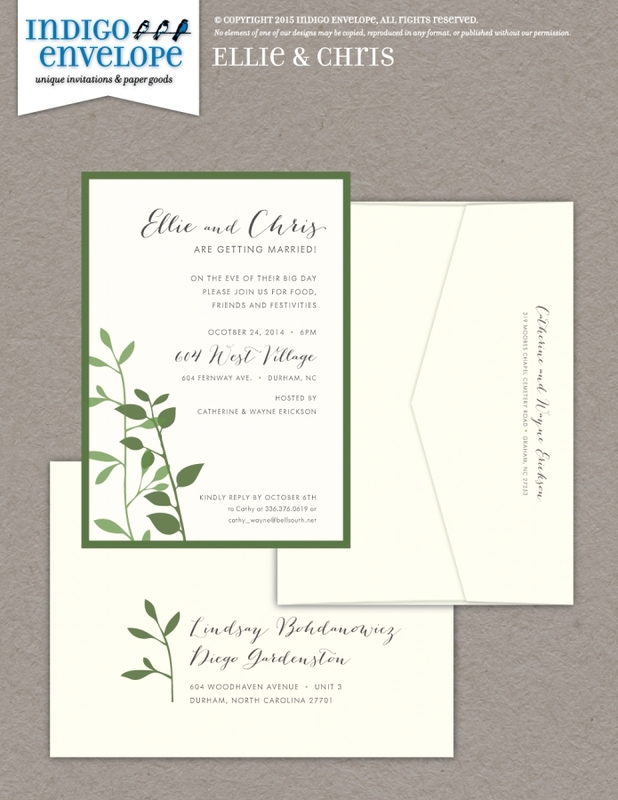 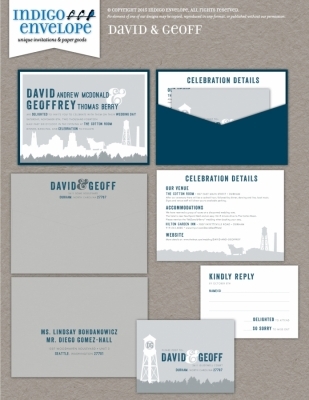 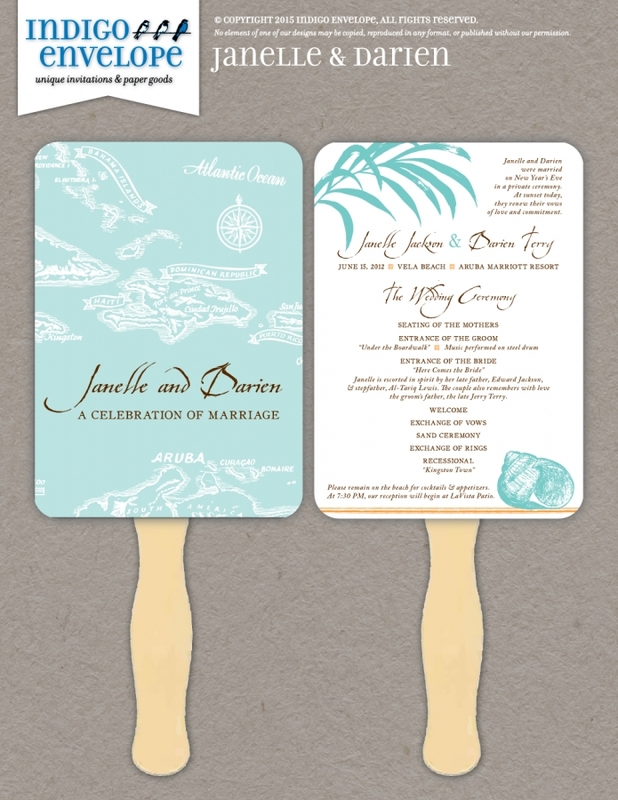 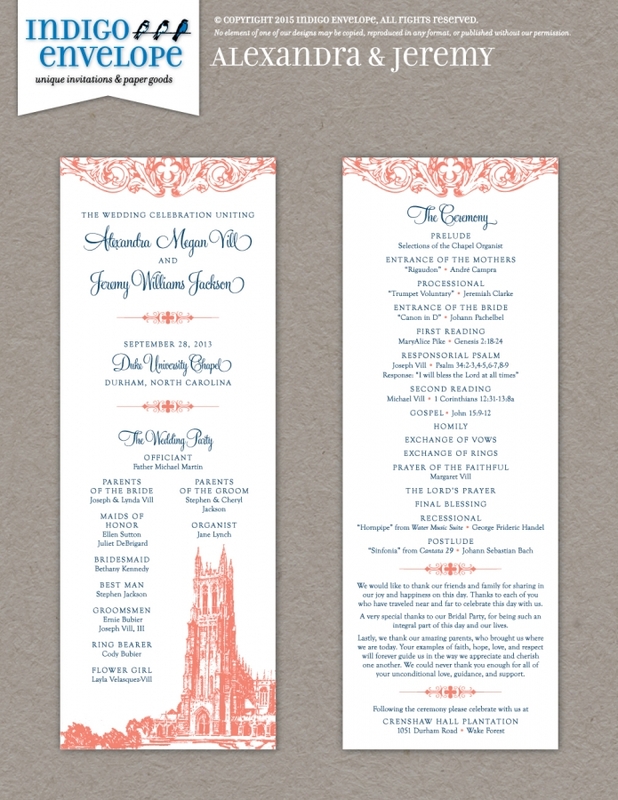 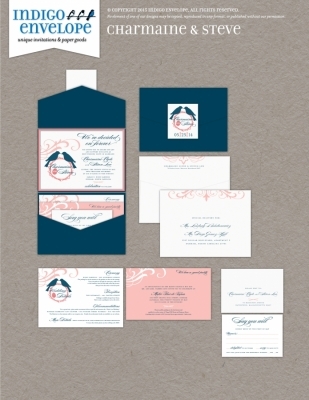 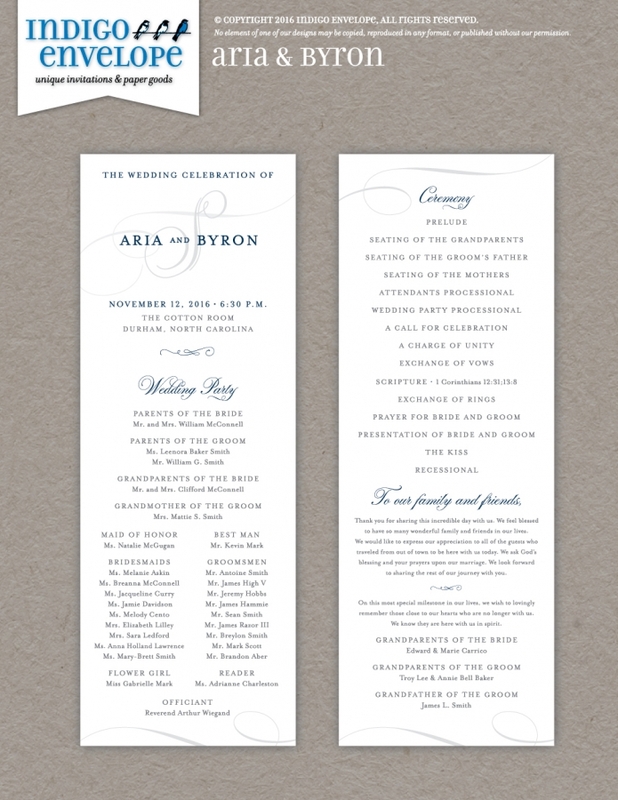 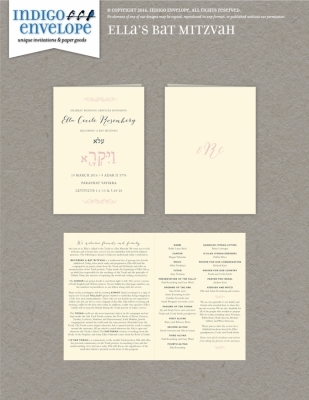 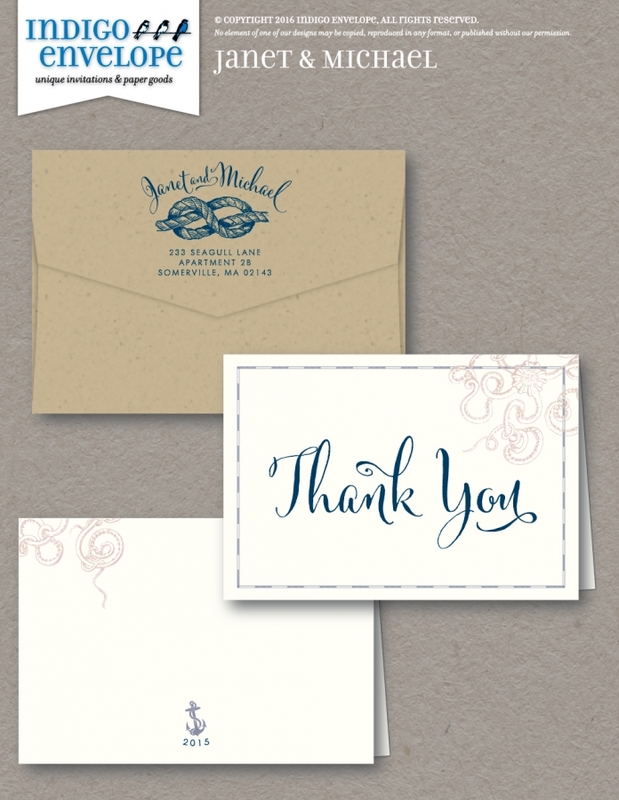 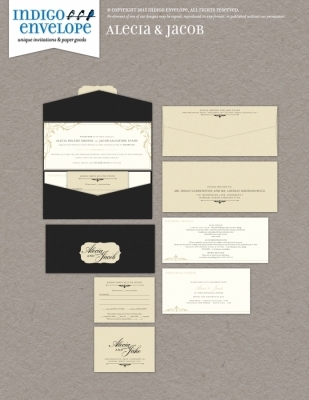 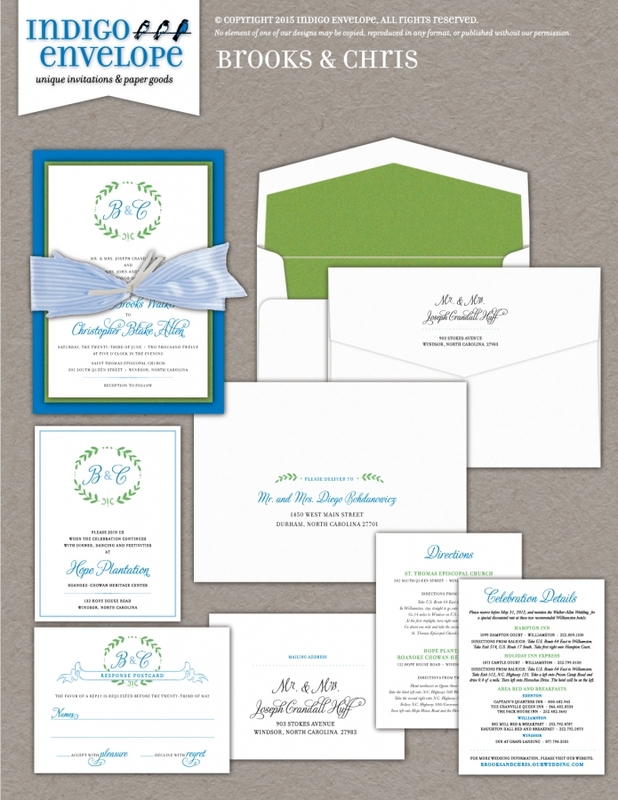 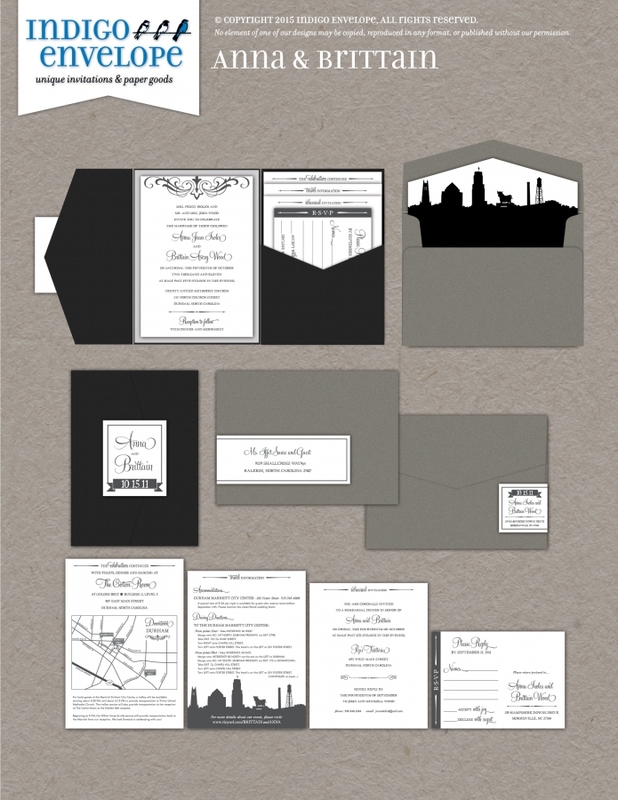 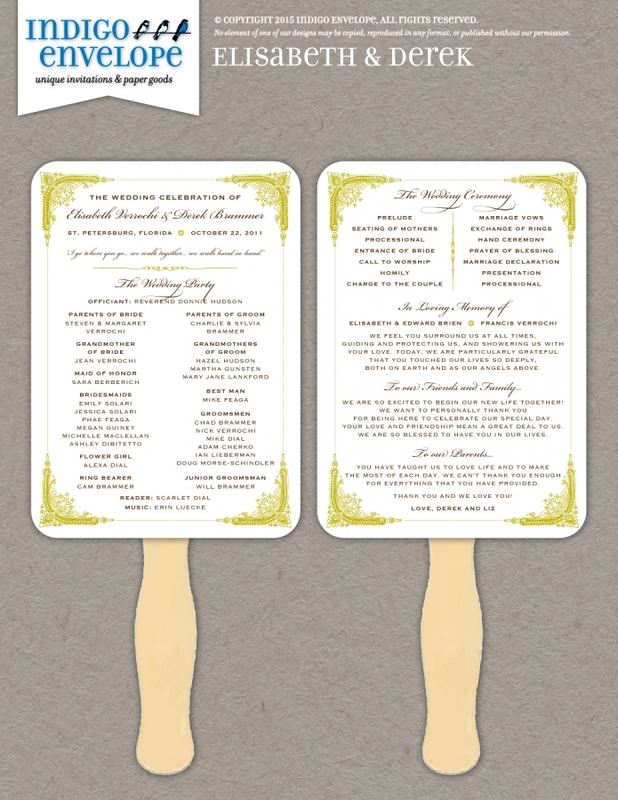 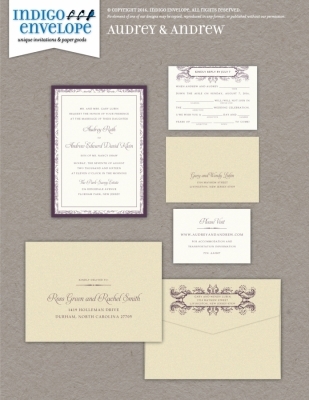 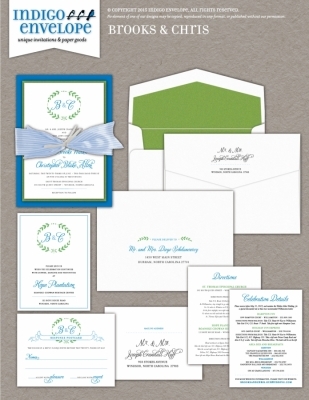 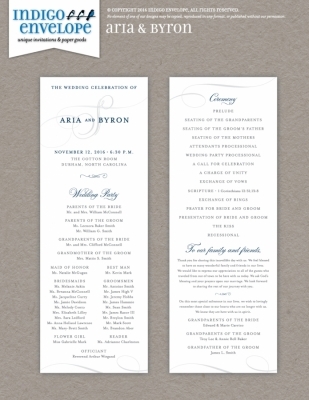 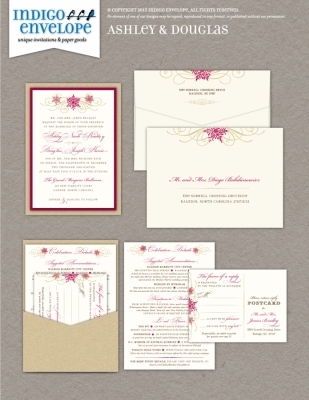 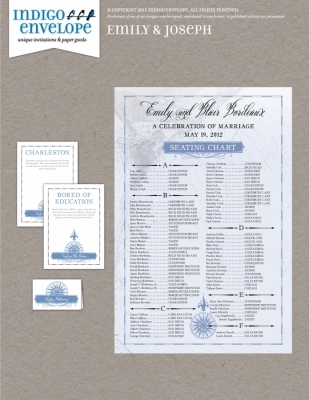 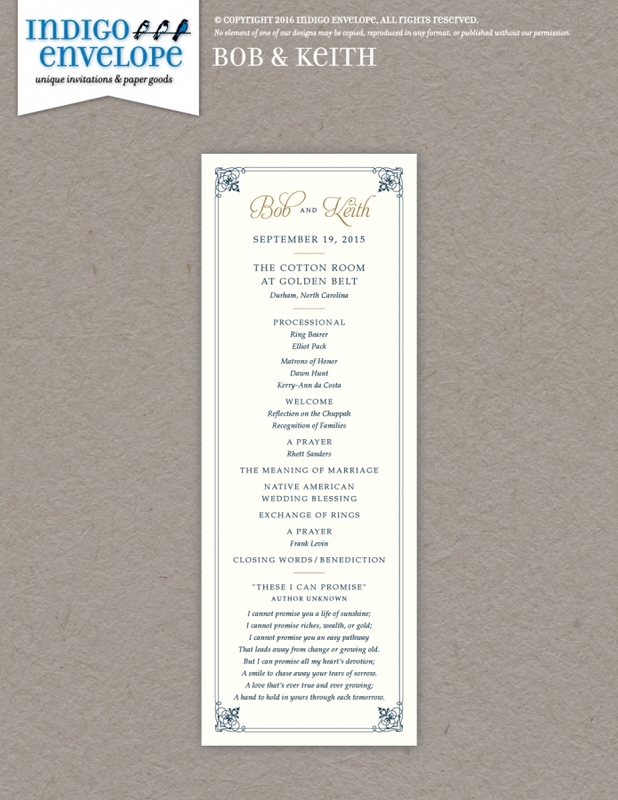 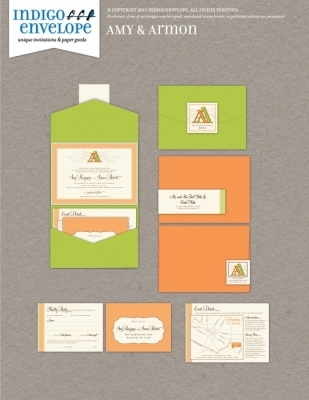 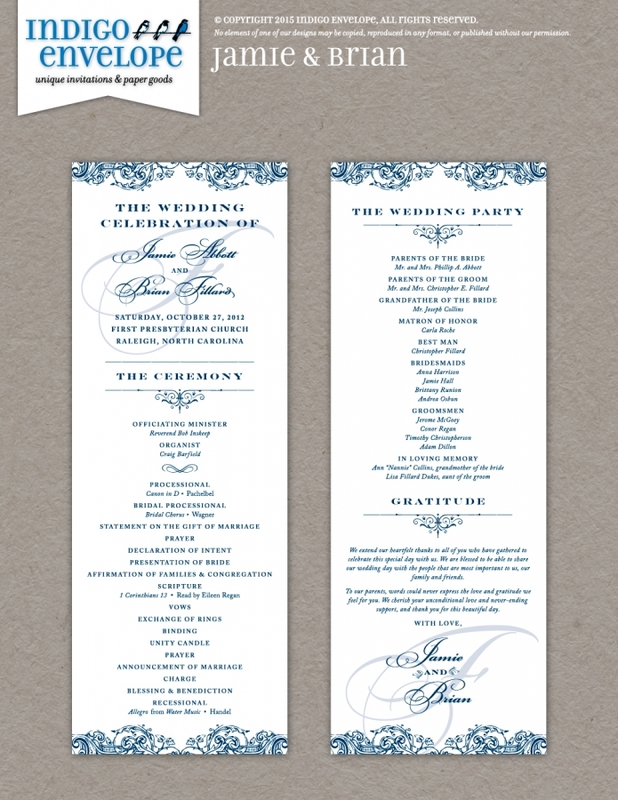 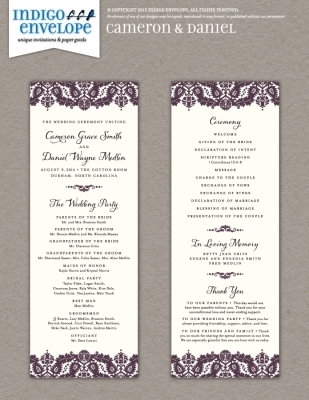 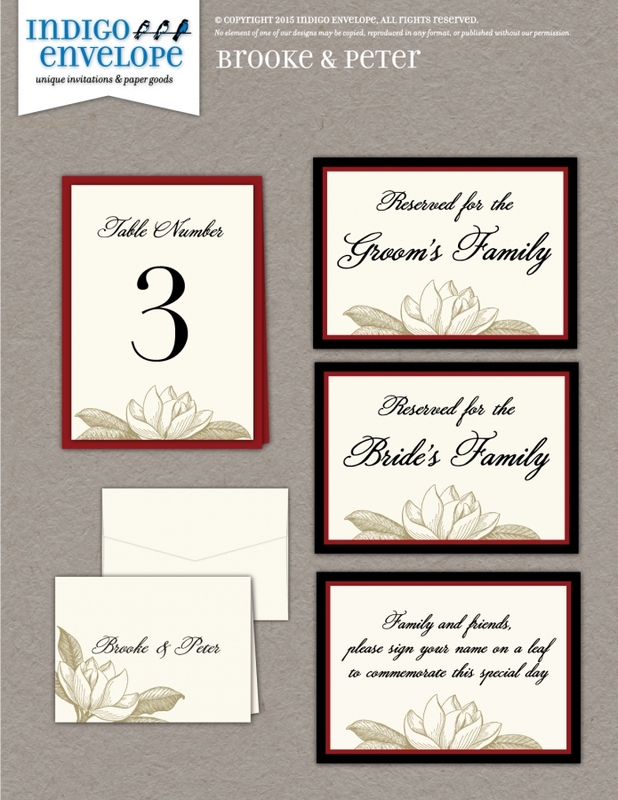 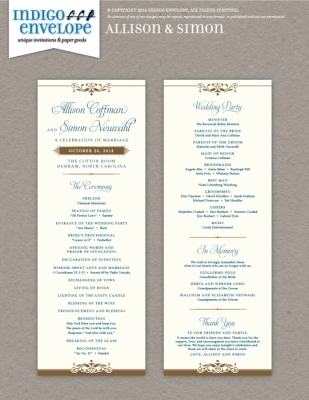 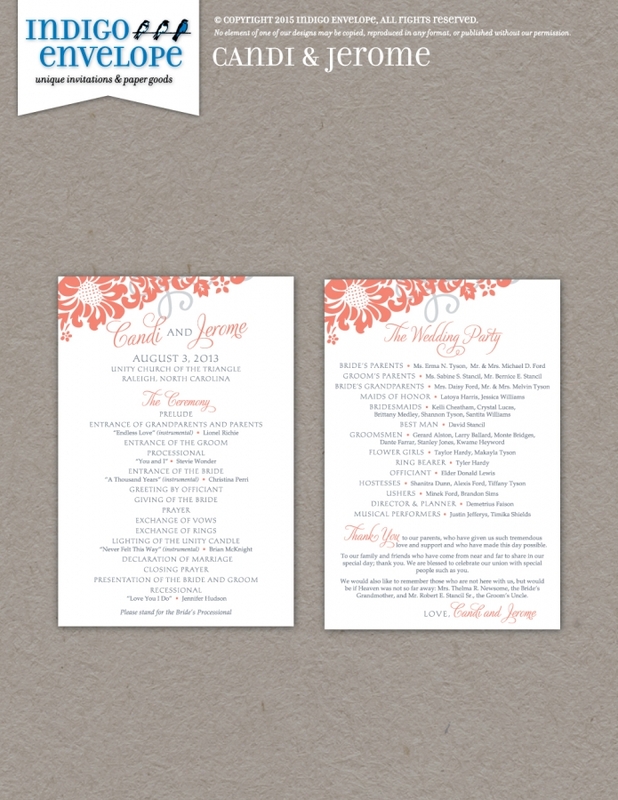 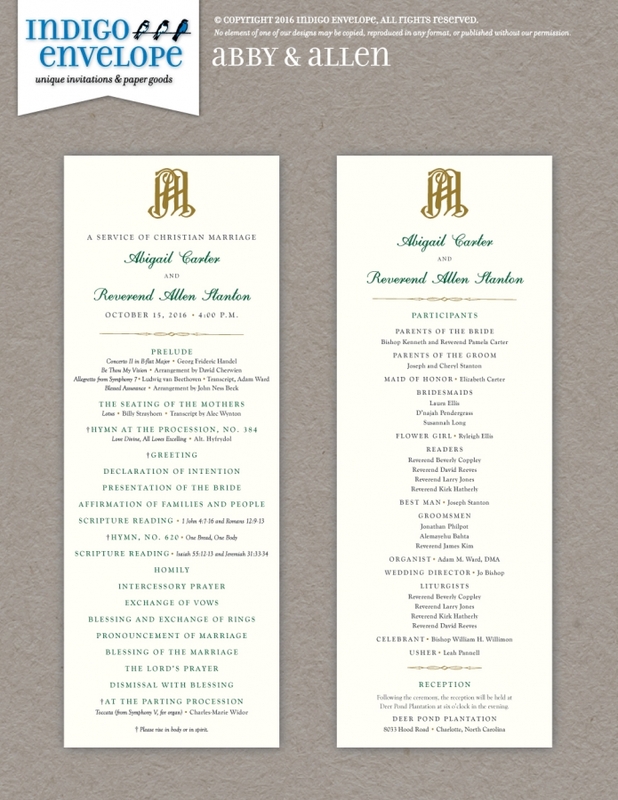 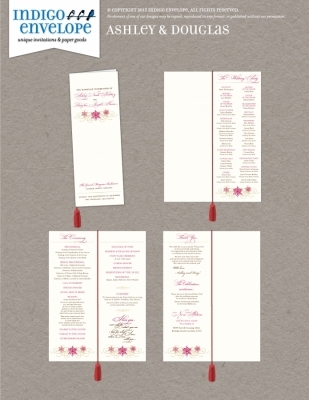 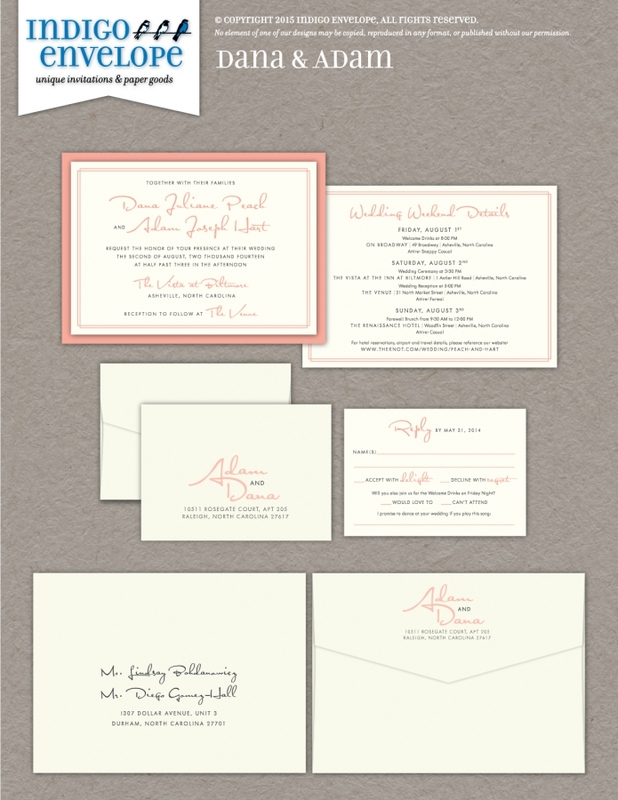 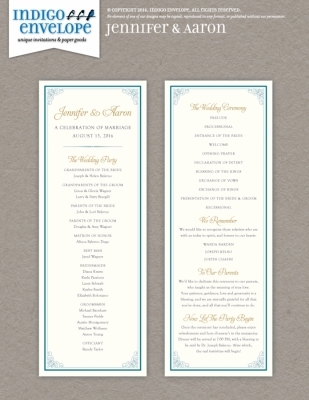 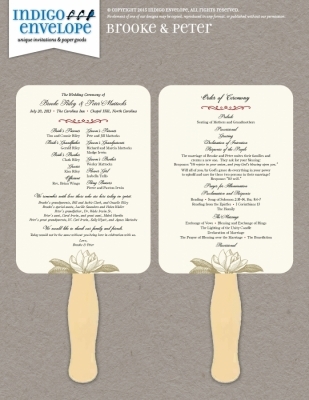 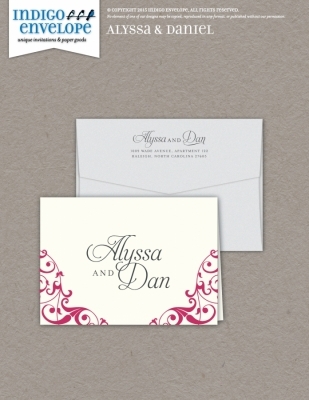 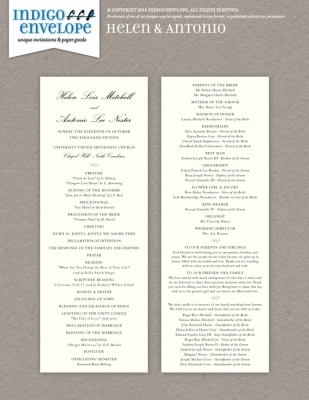 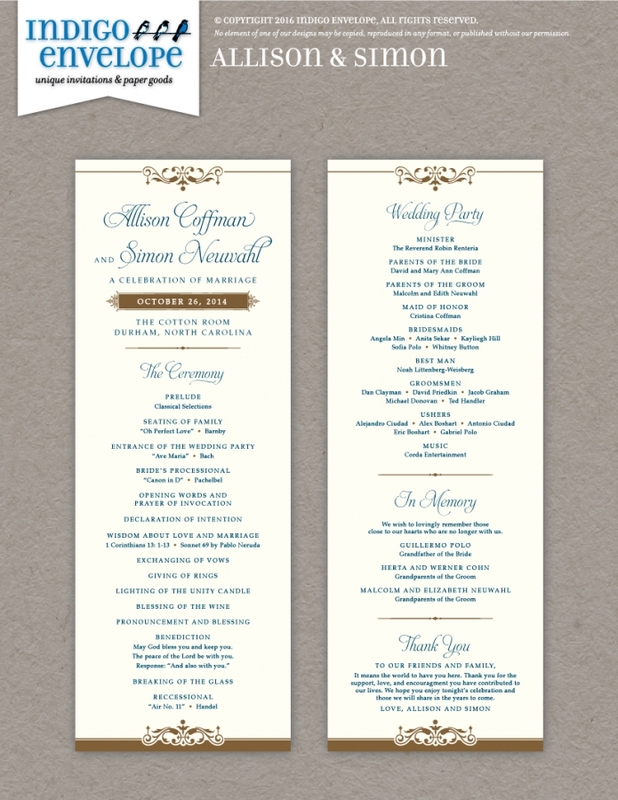 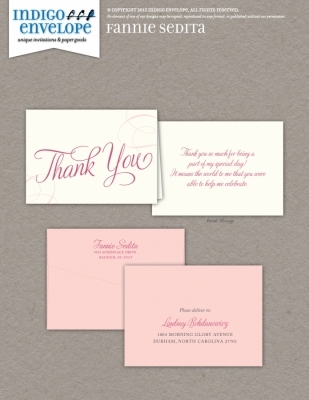 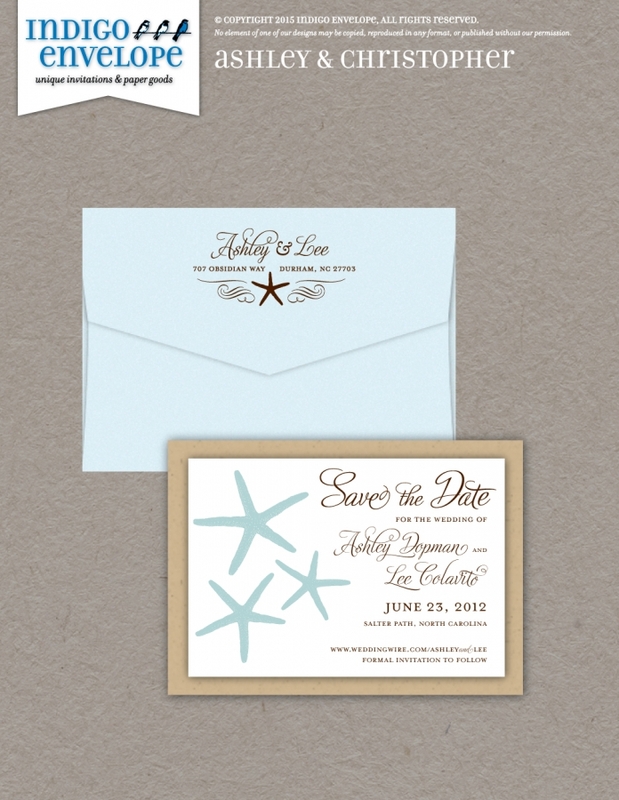 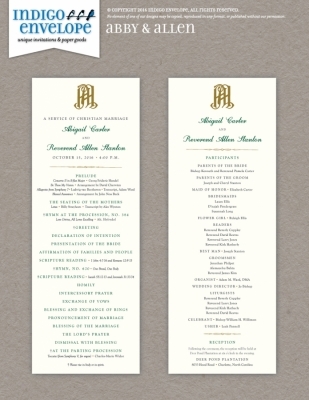 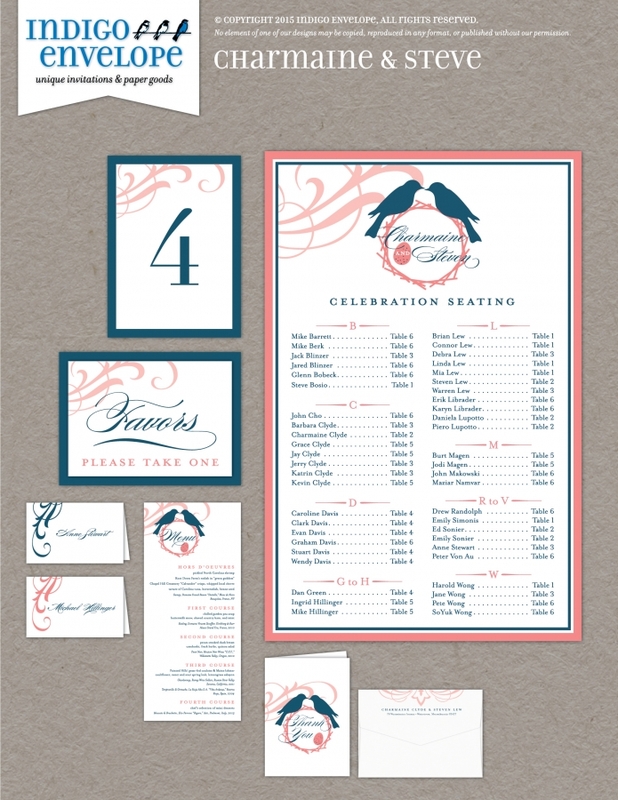 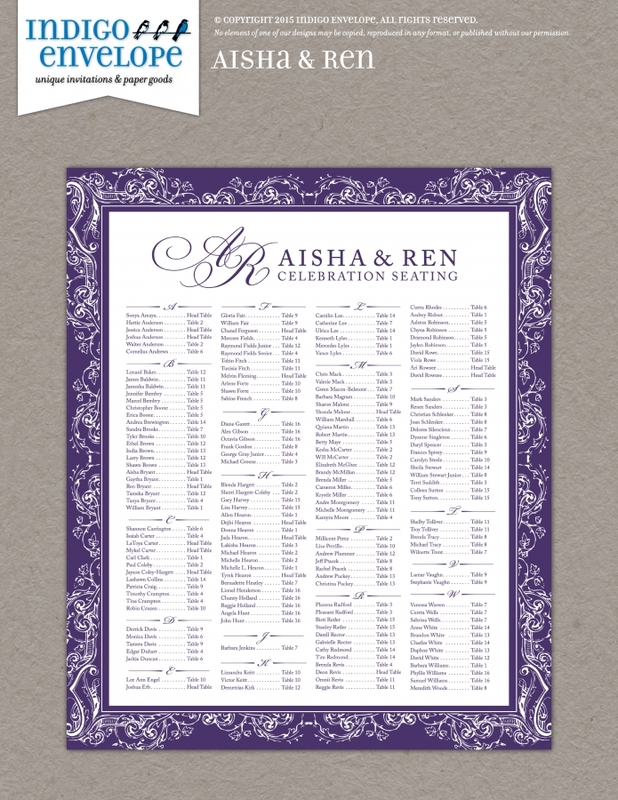 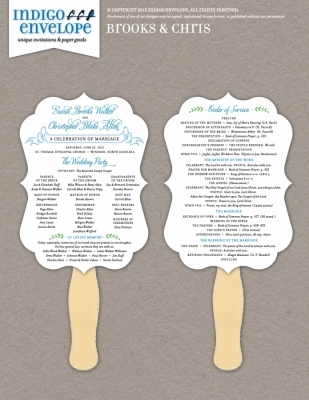 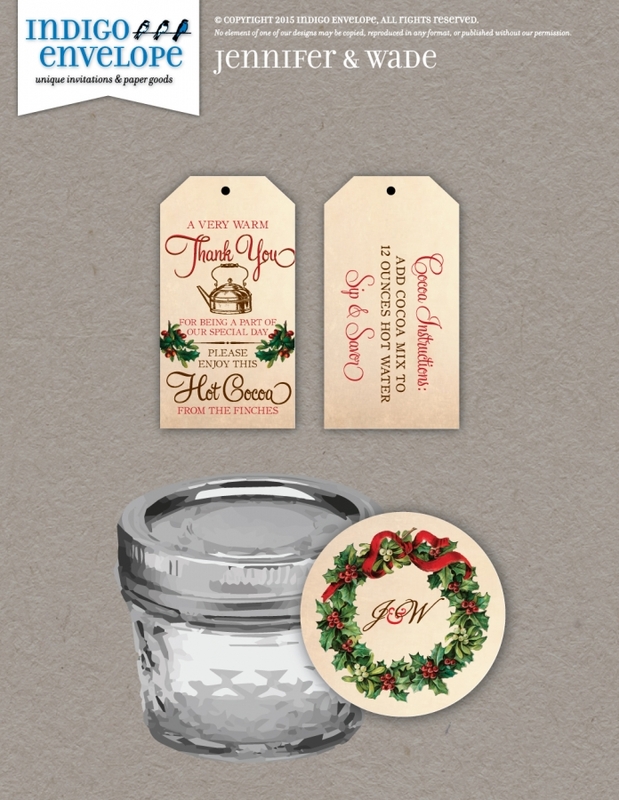 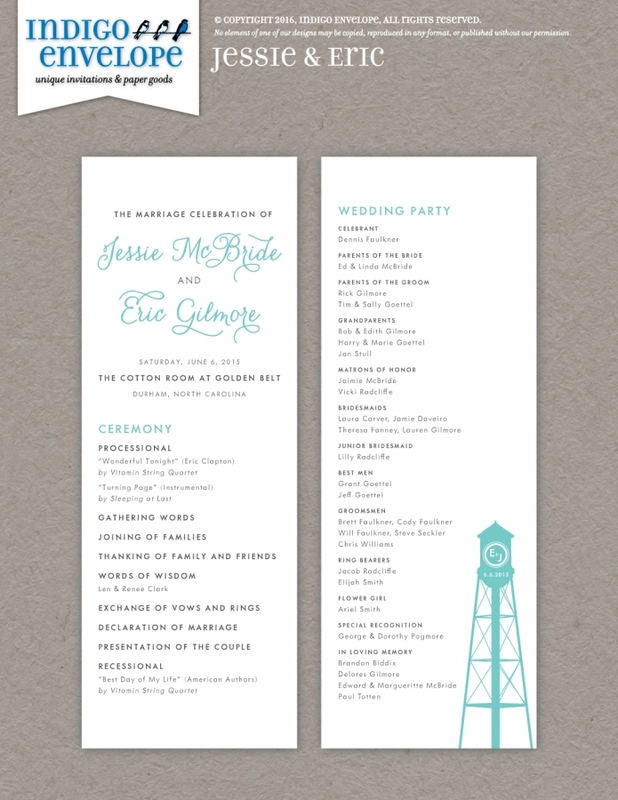 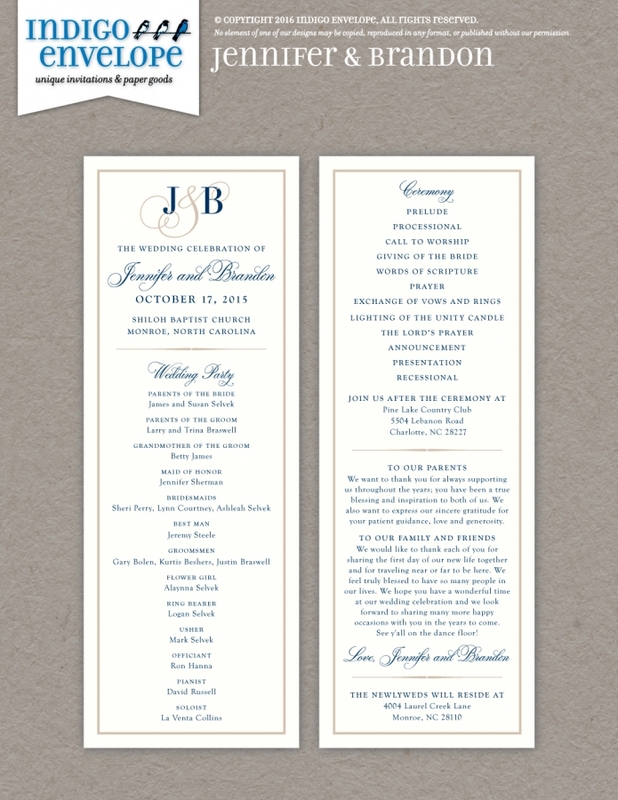 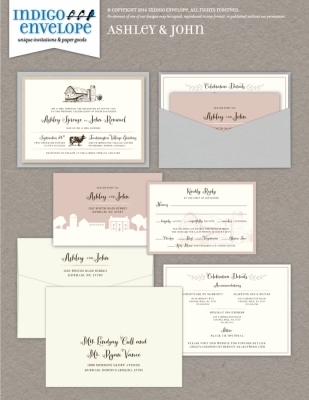 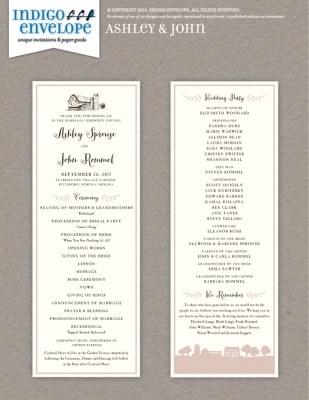 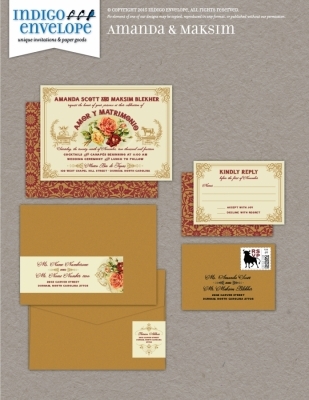 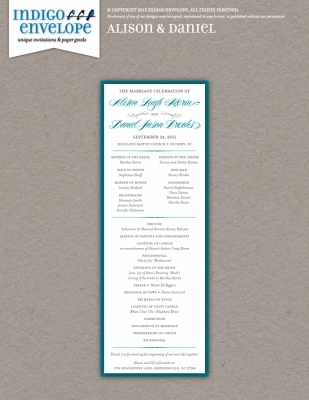 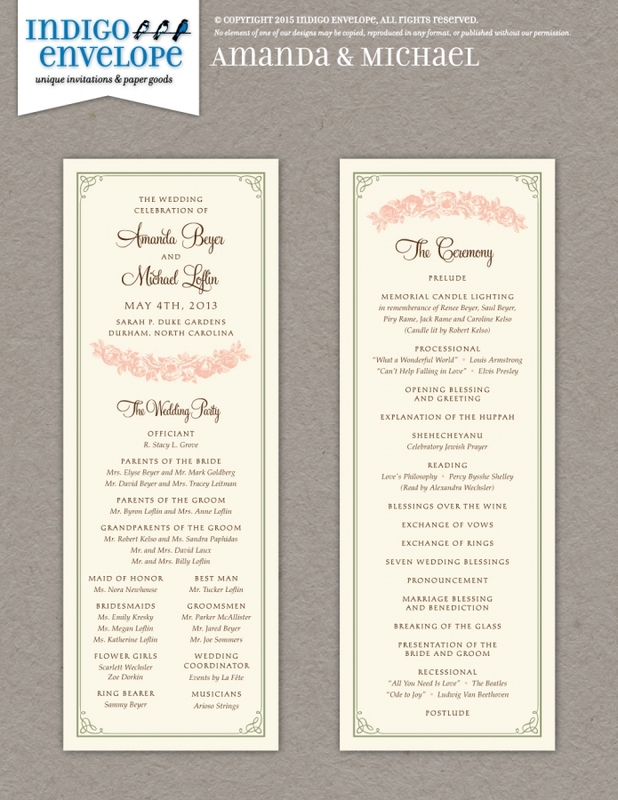 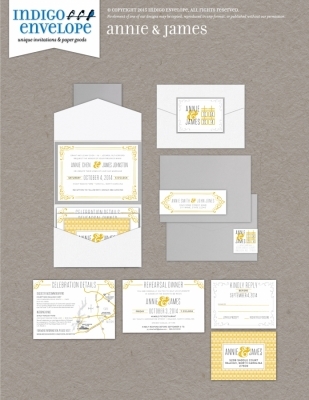 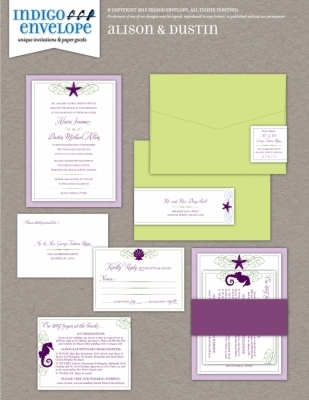 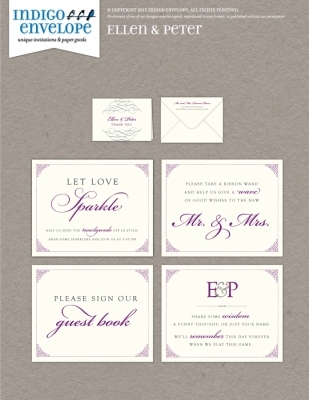 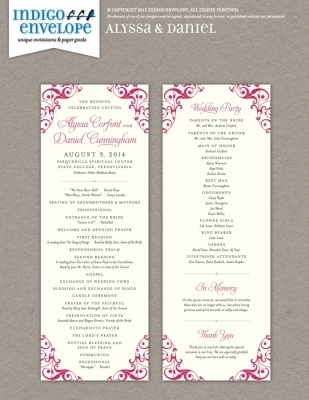 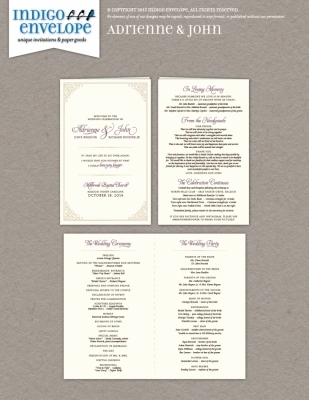 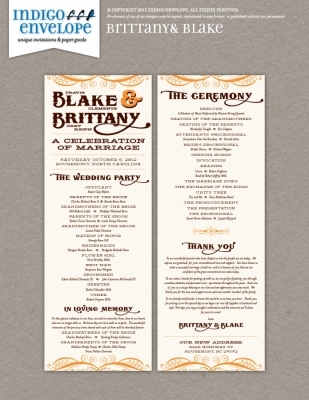 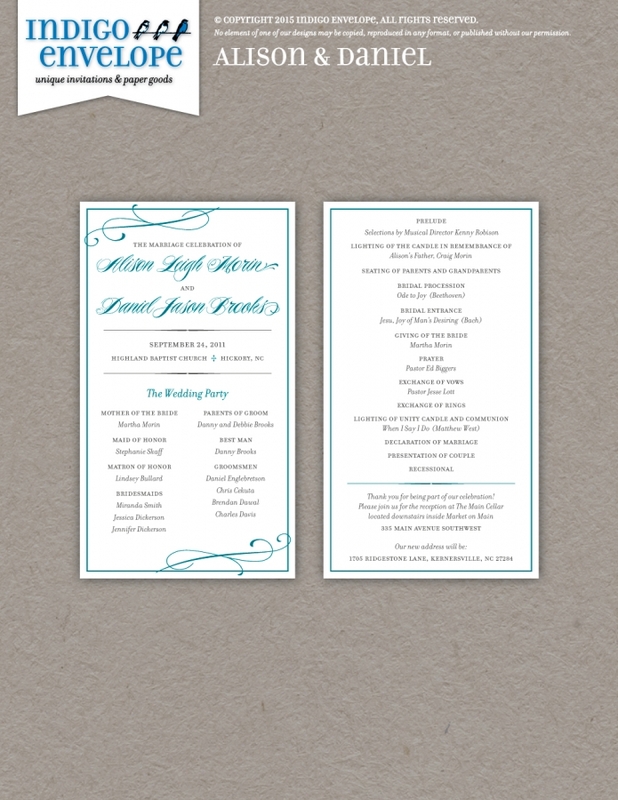 For additional templates, please browse our collection of Envelopments designs.